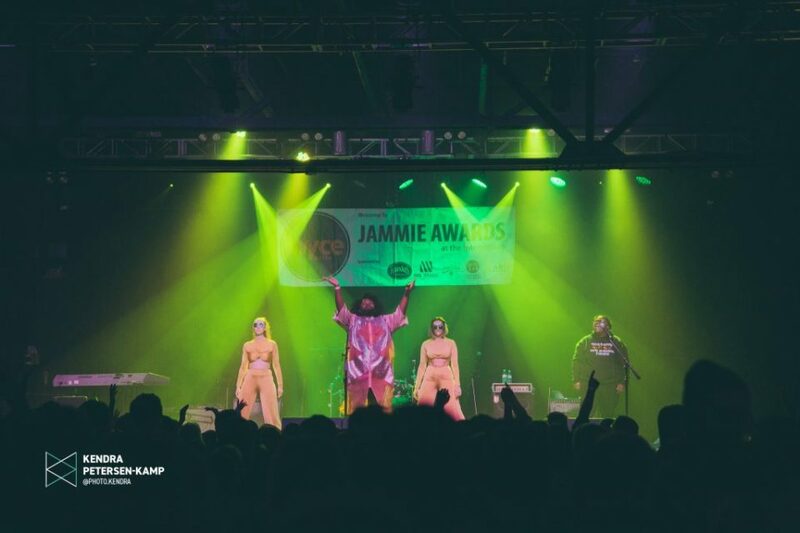 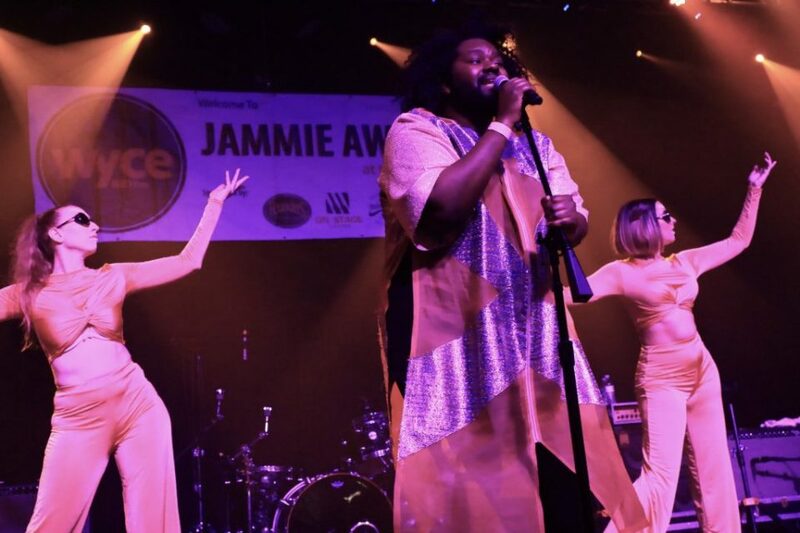 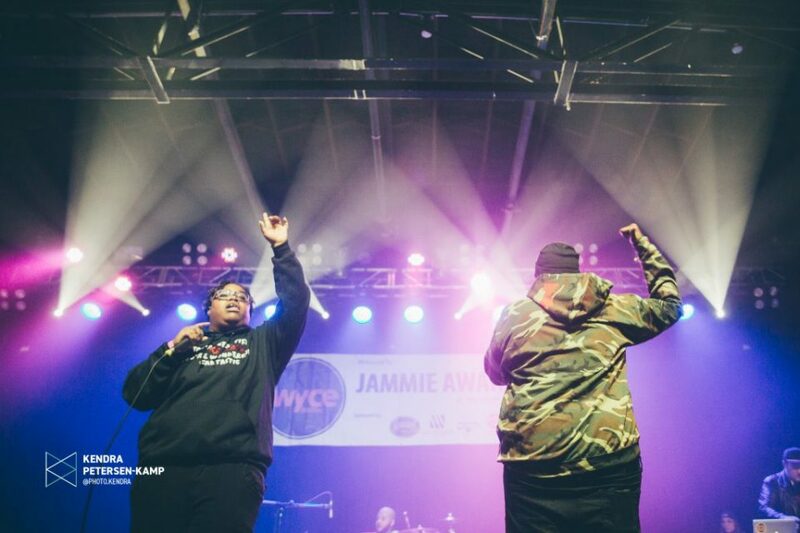 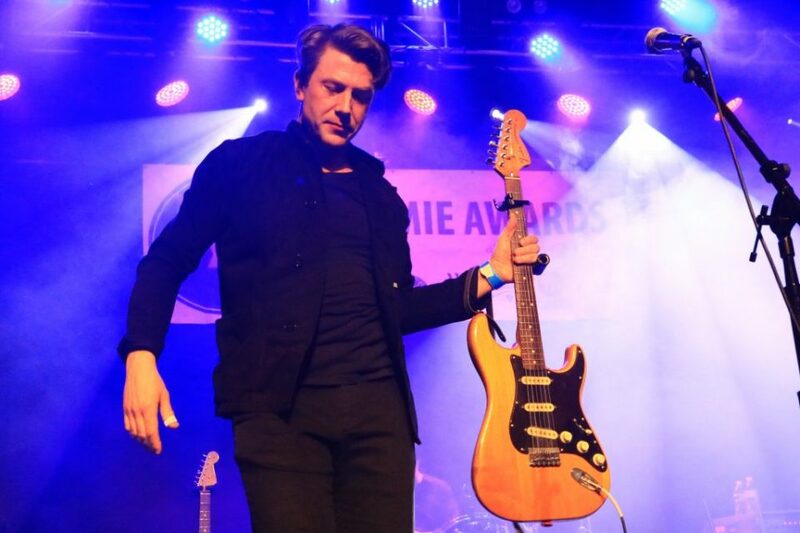 “It was crazy.” Friday’s 20th Jammie Awards show hosted by WYCE at The Intersection drew 1,600 people for show-stopping sets. 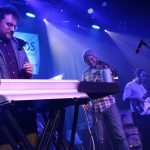 Highlights in words, photos, video at Local Spins. 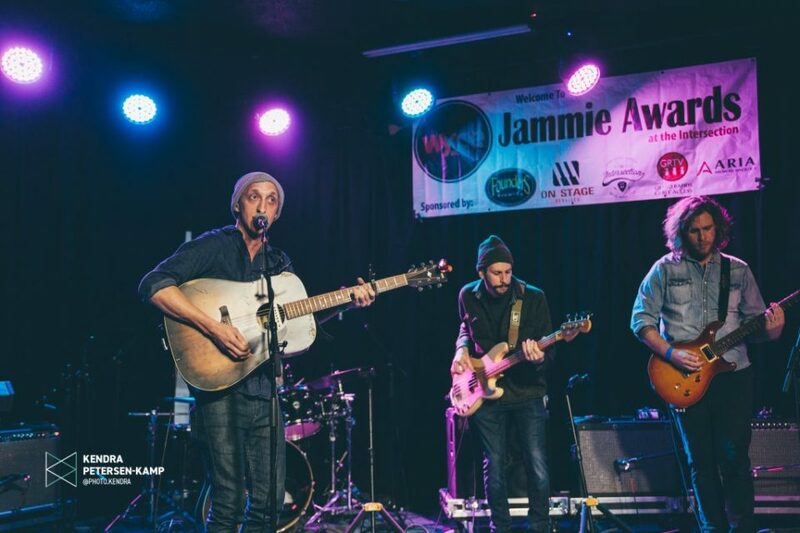 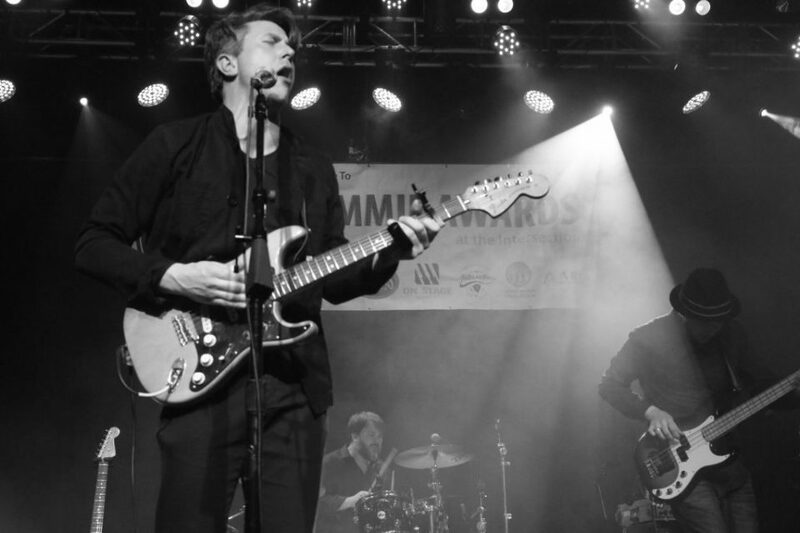 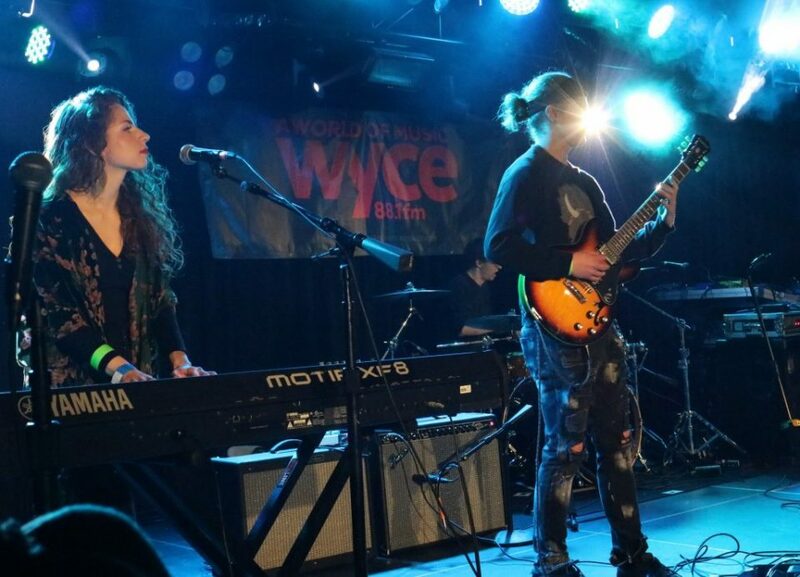 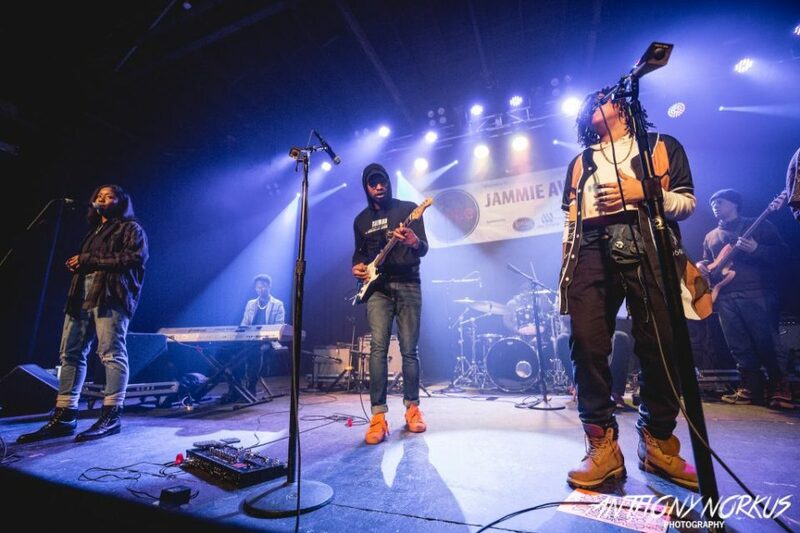 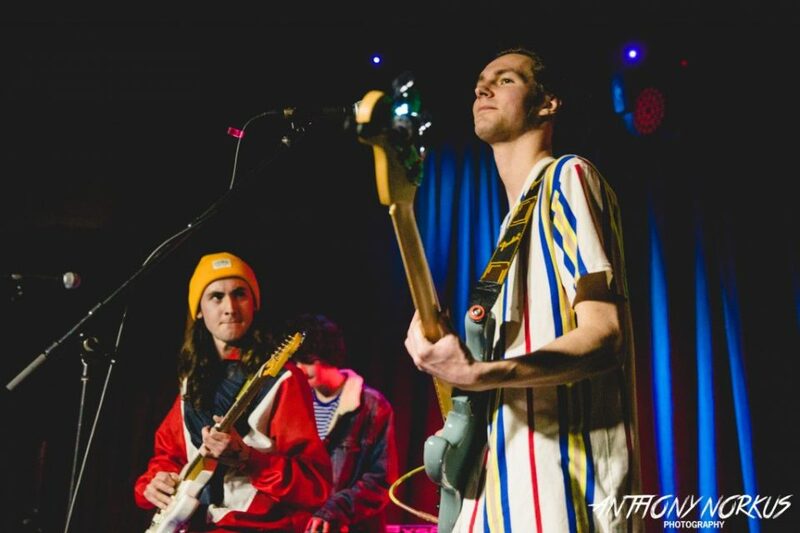 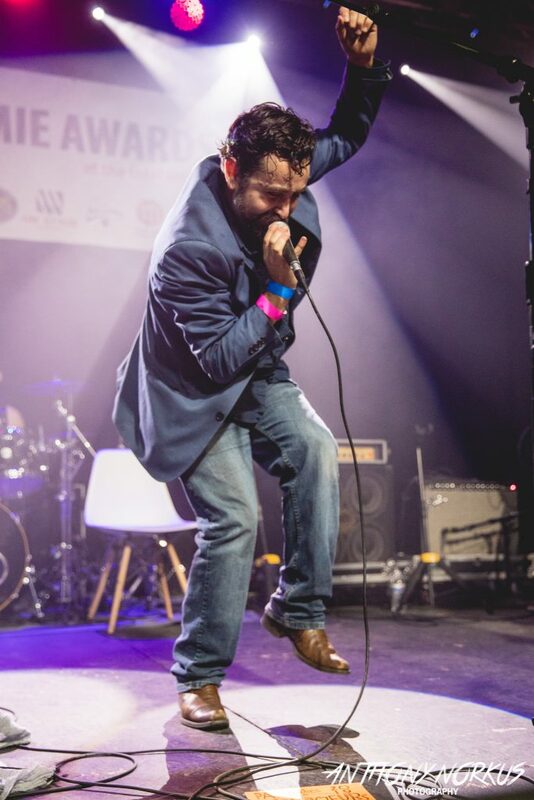 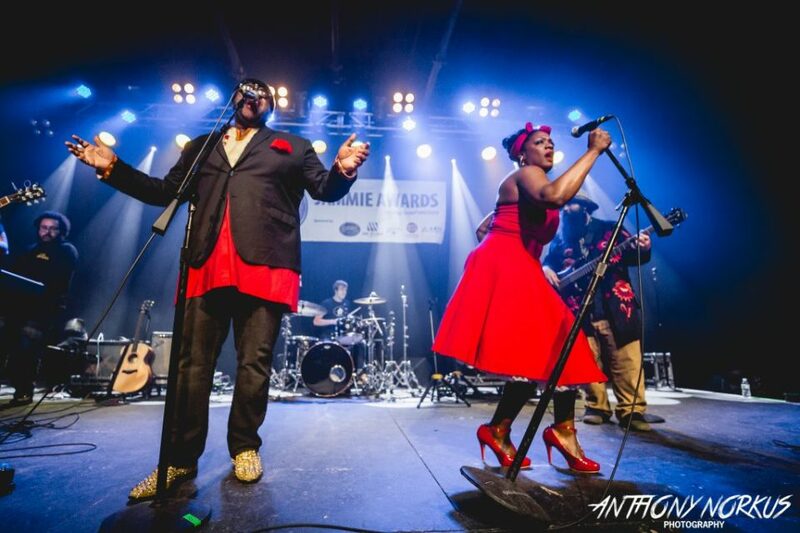 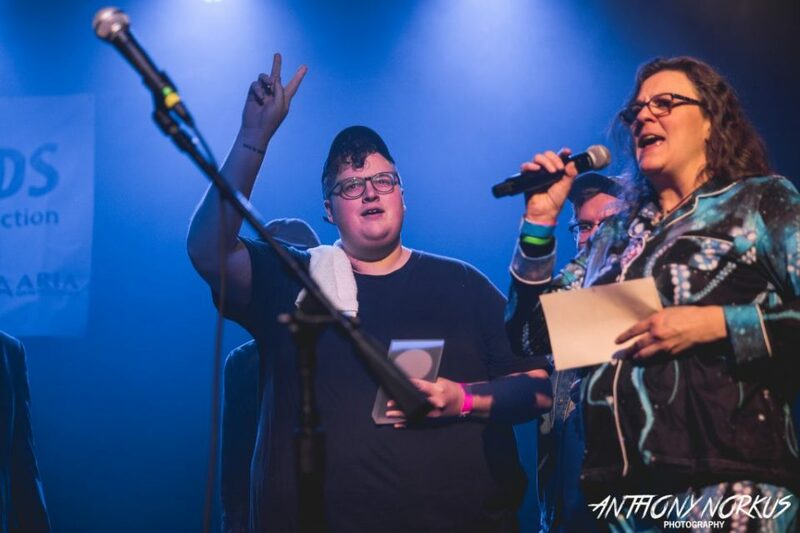 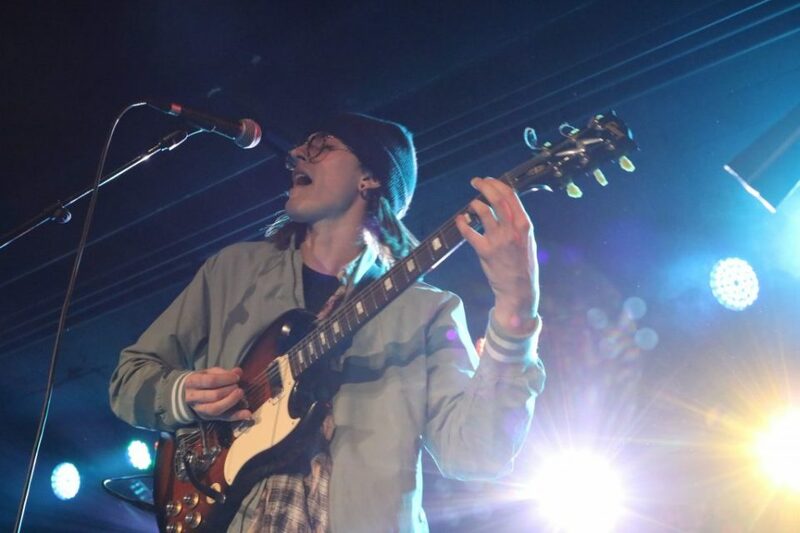 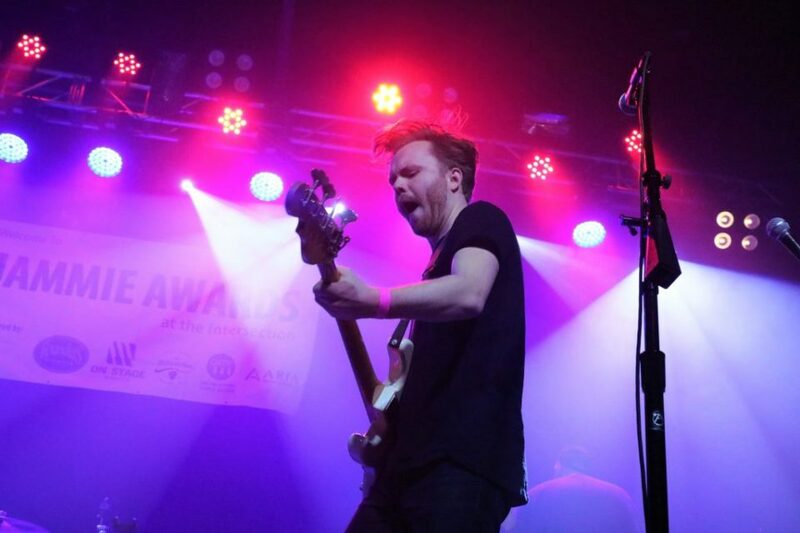 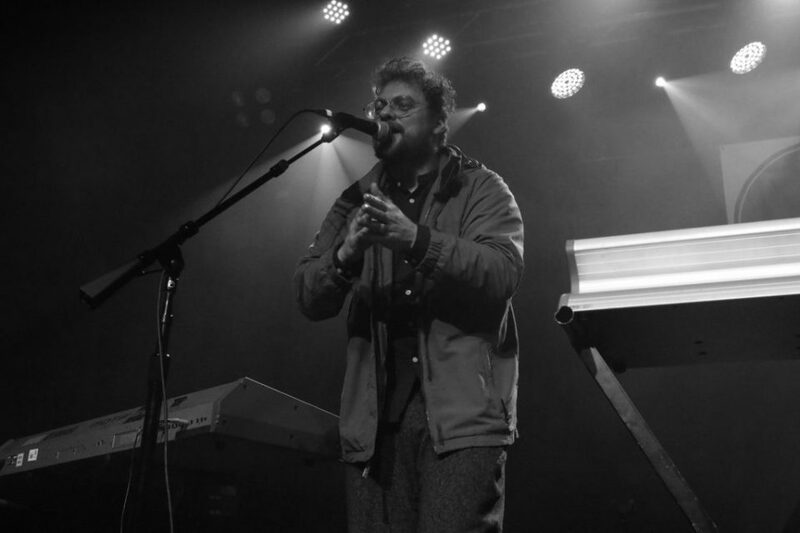 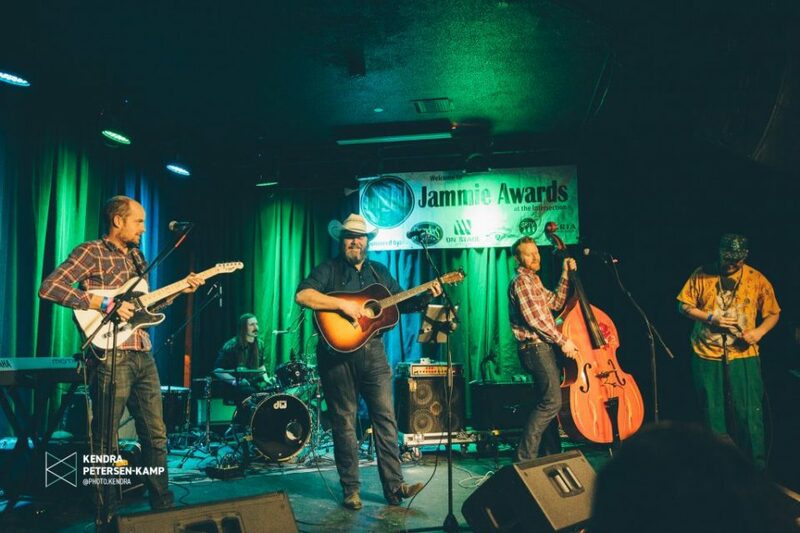 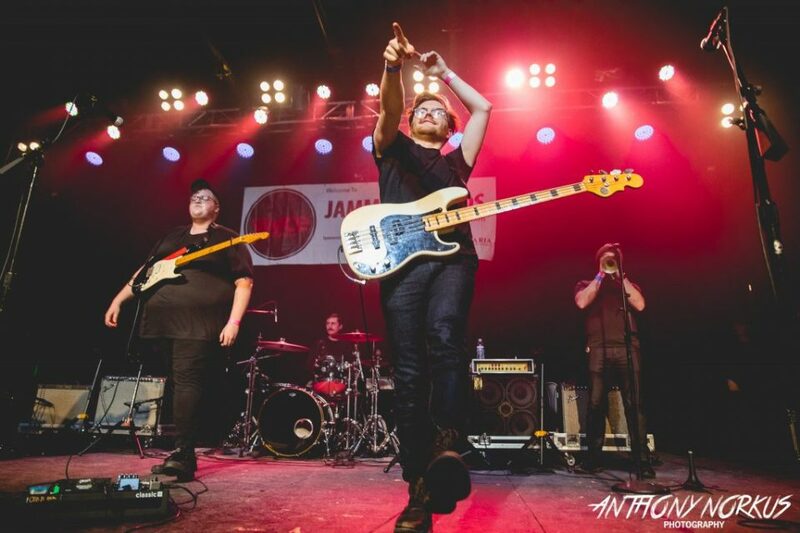 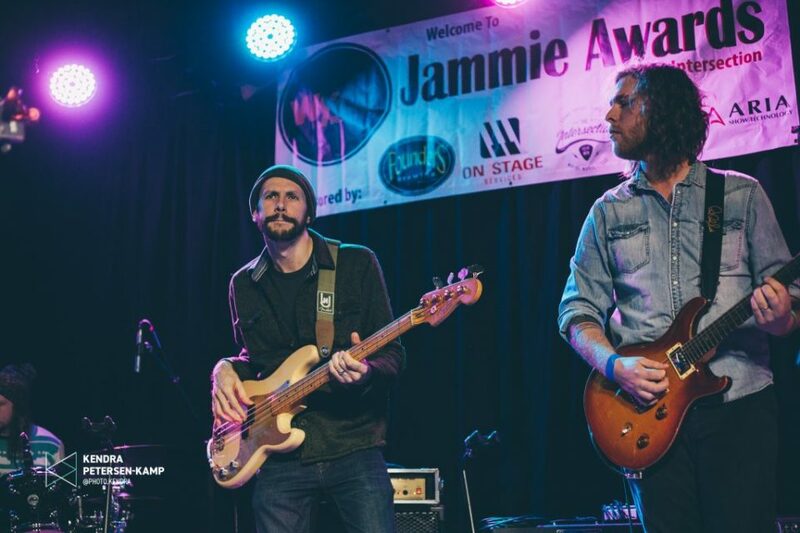 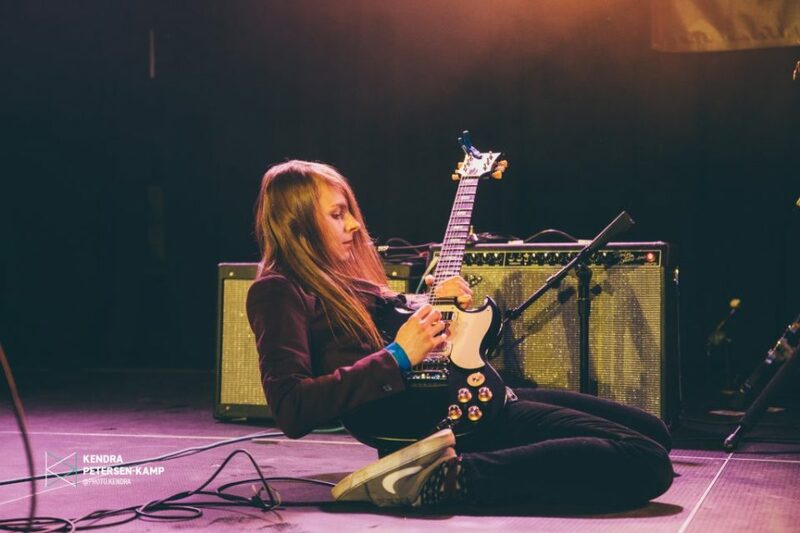 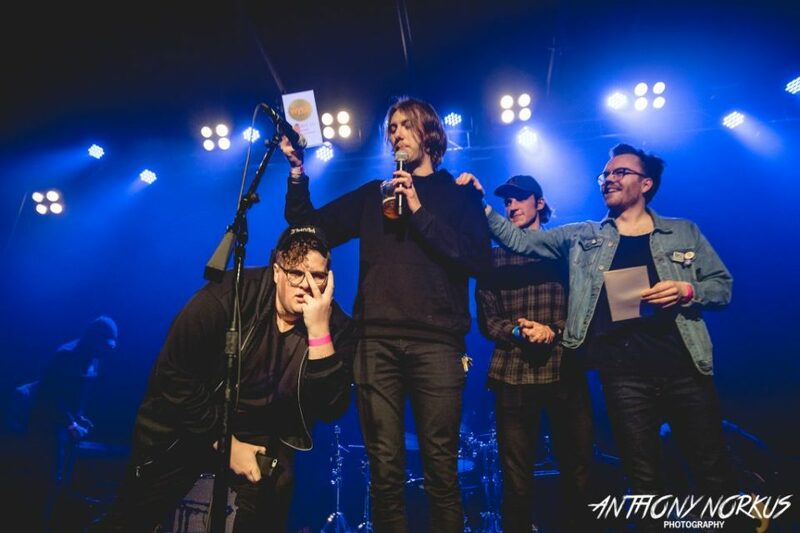 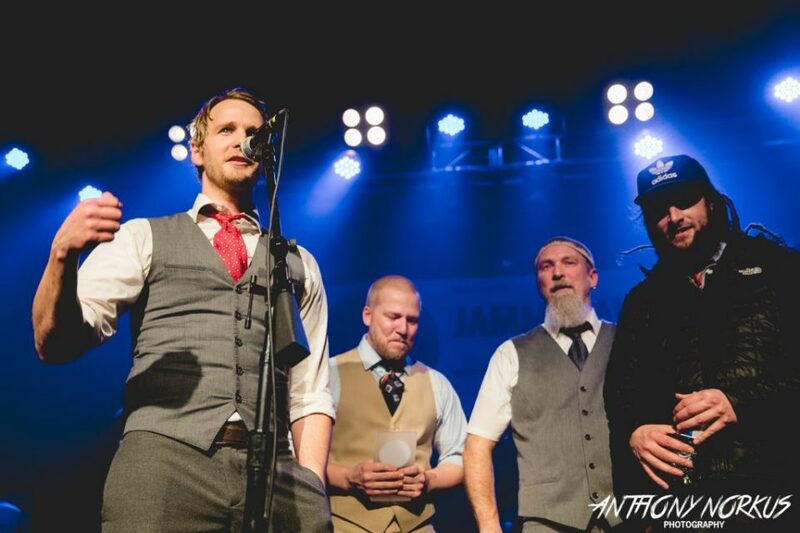 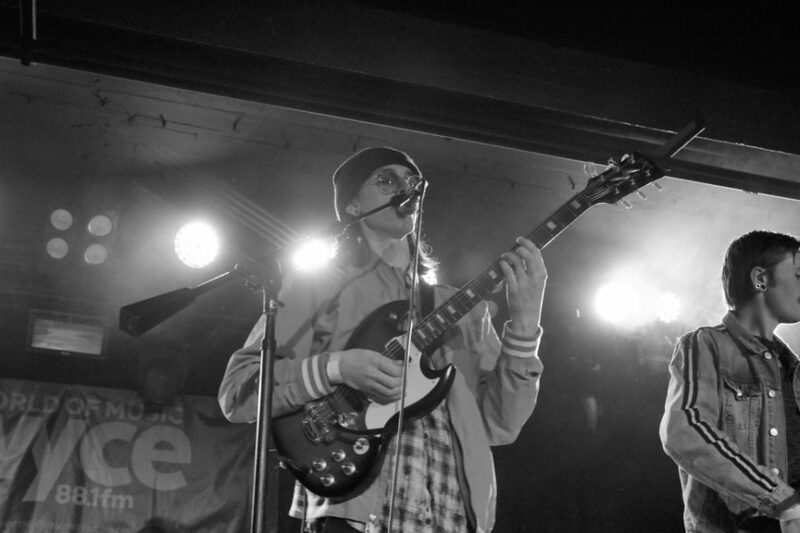 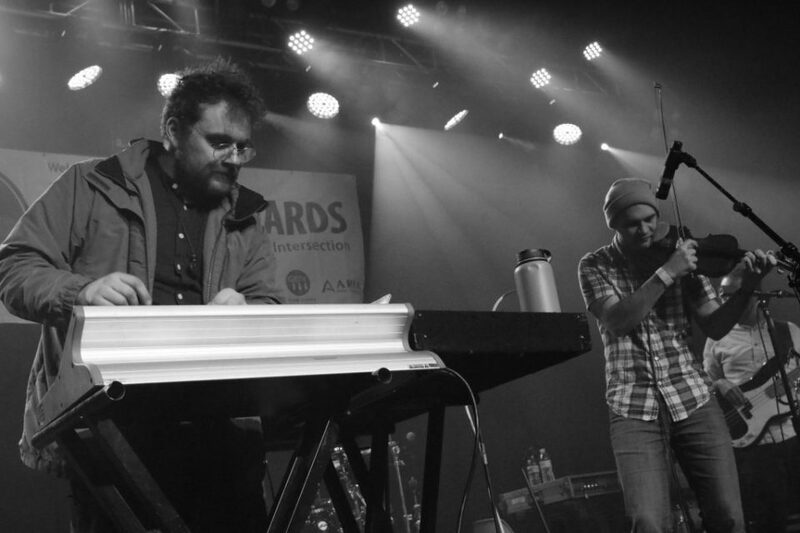 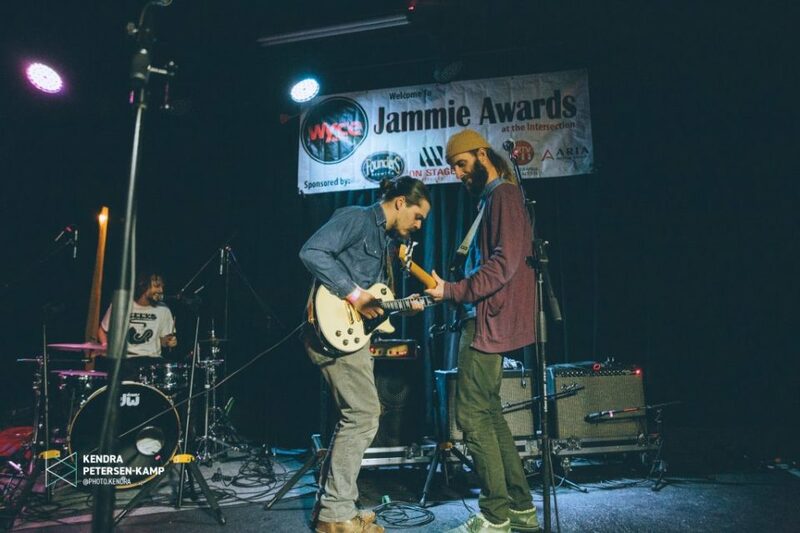 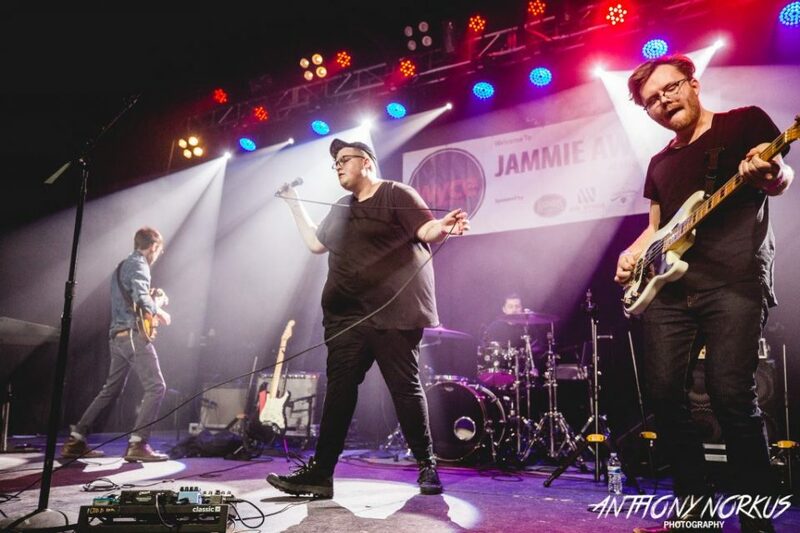 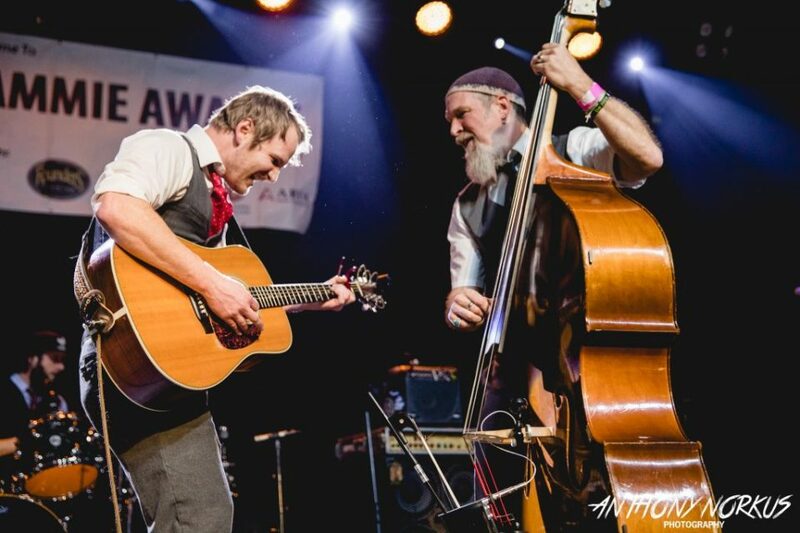 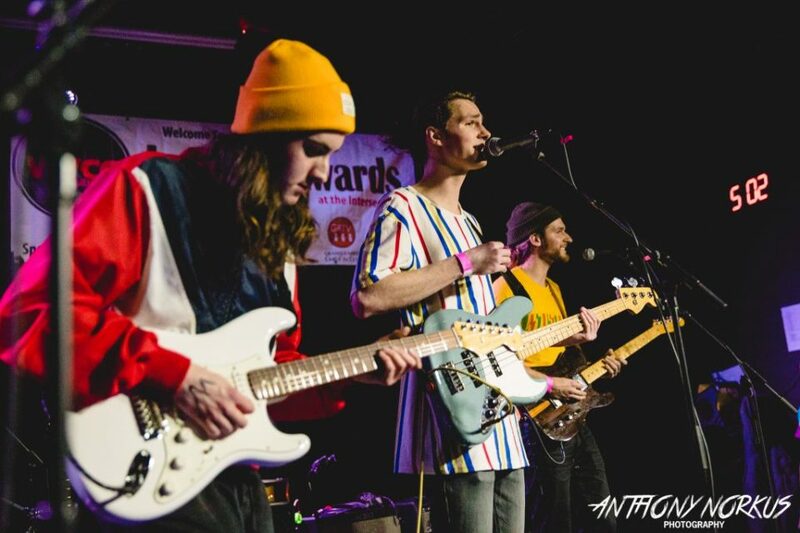 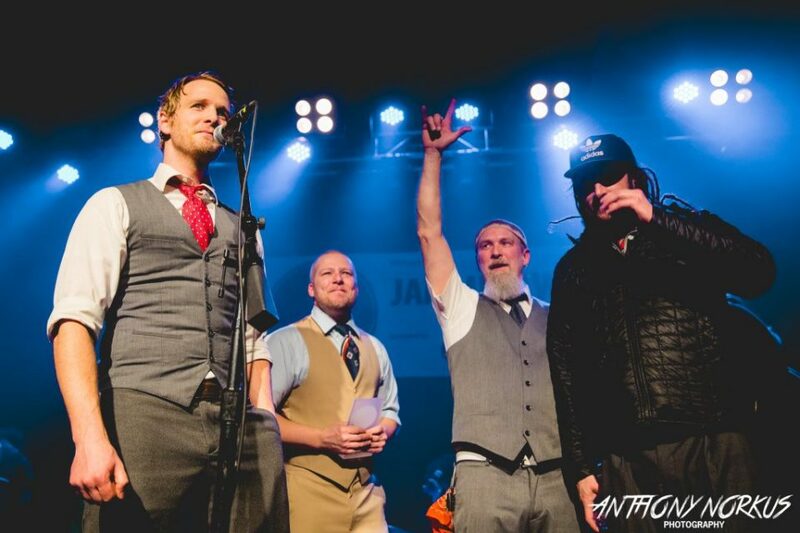 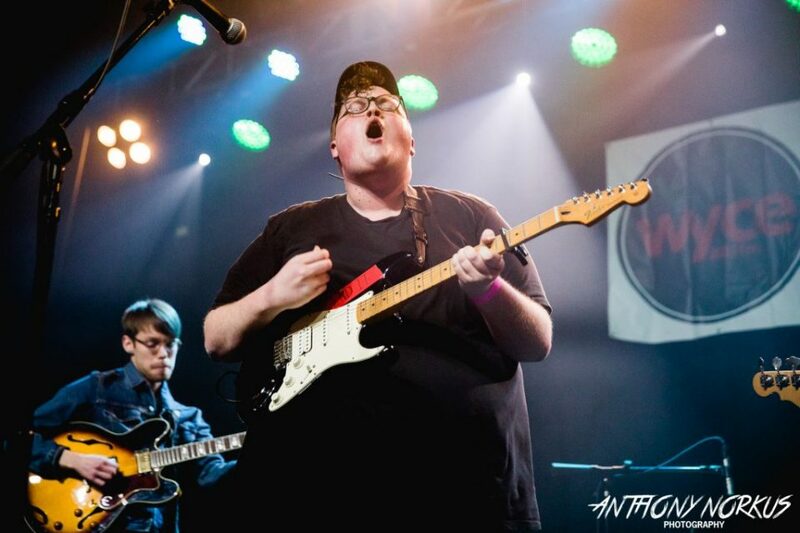 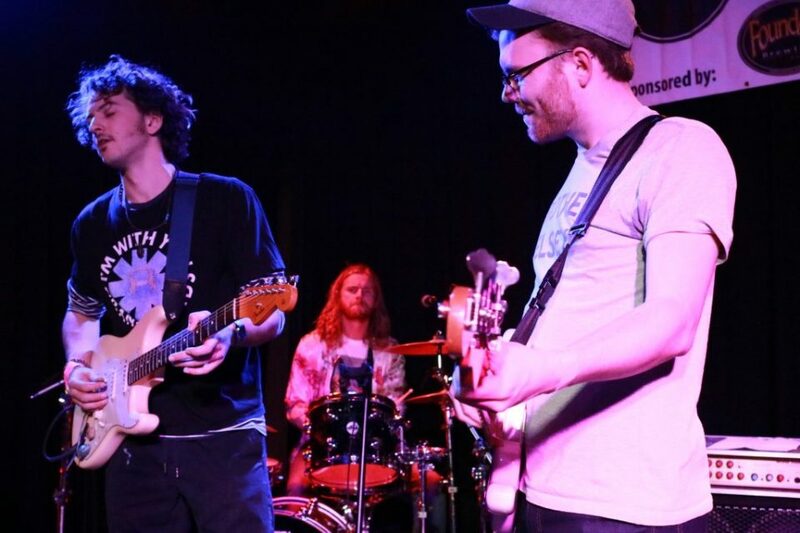 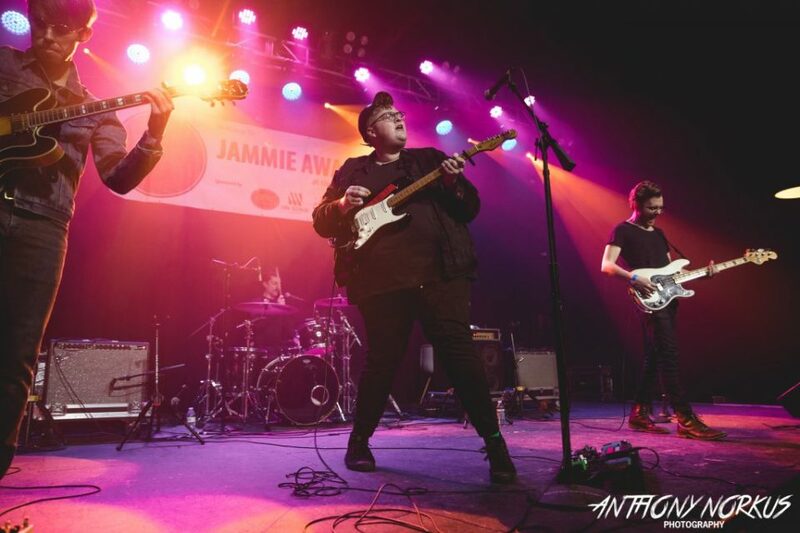 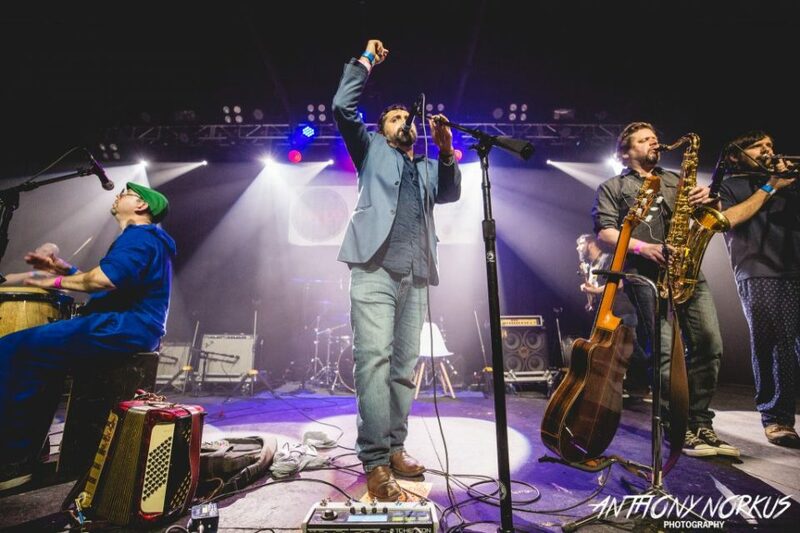 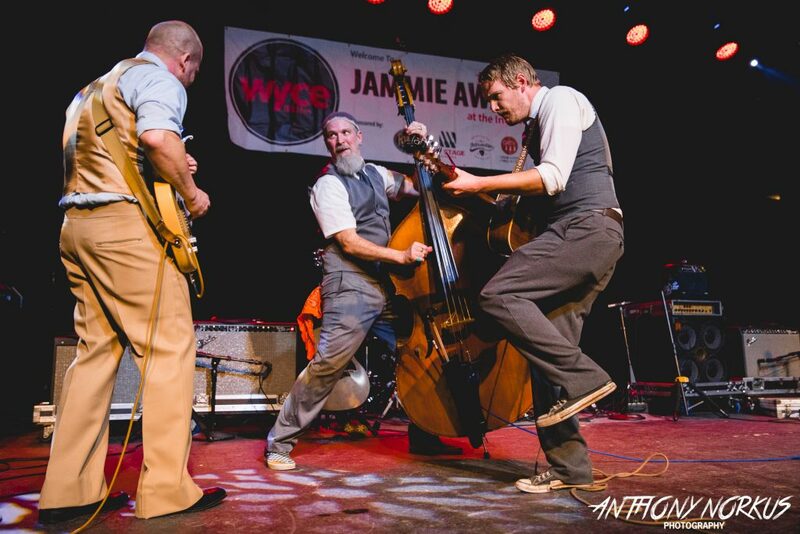 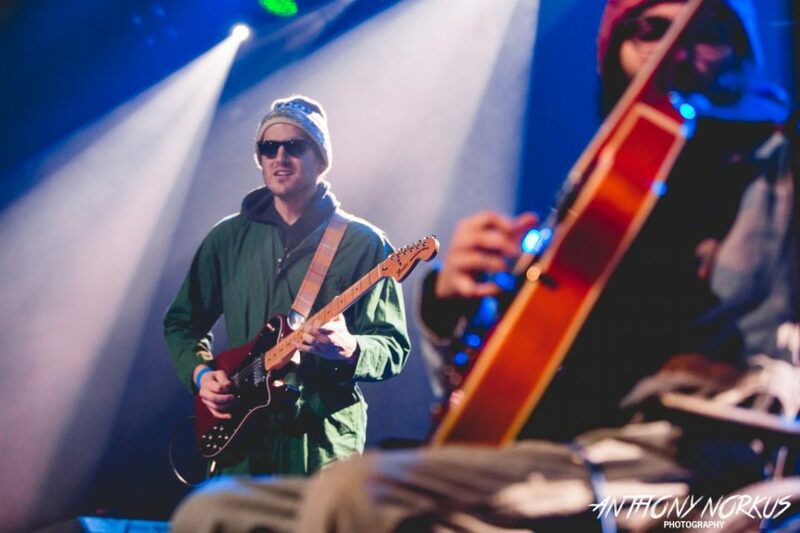 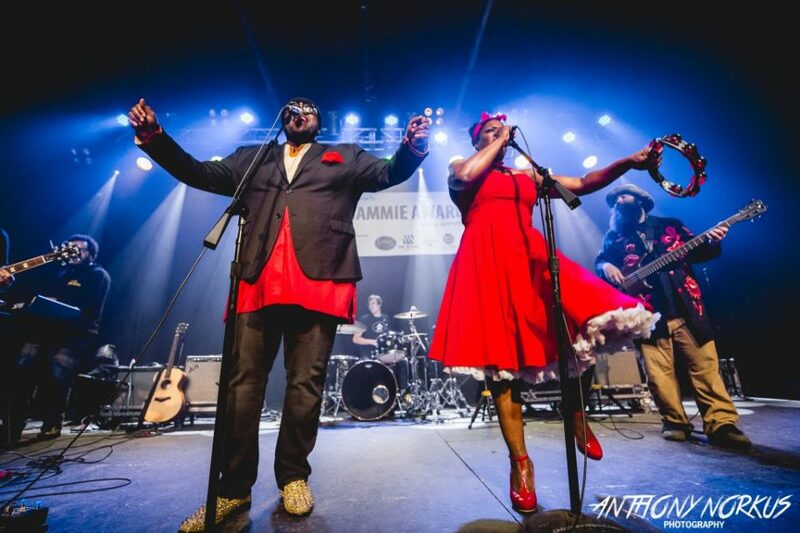 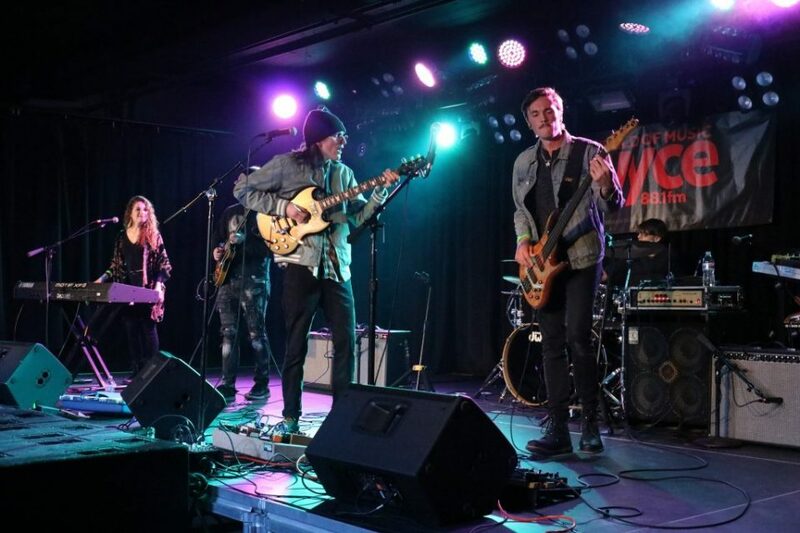 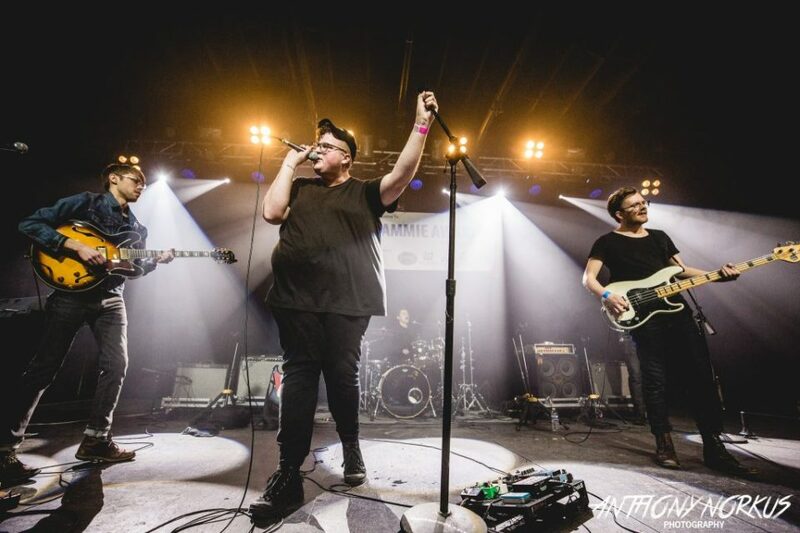 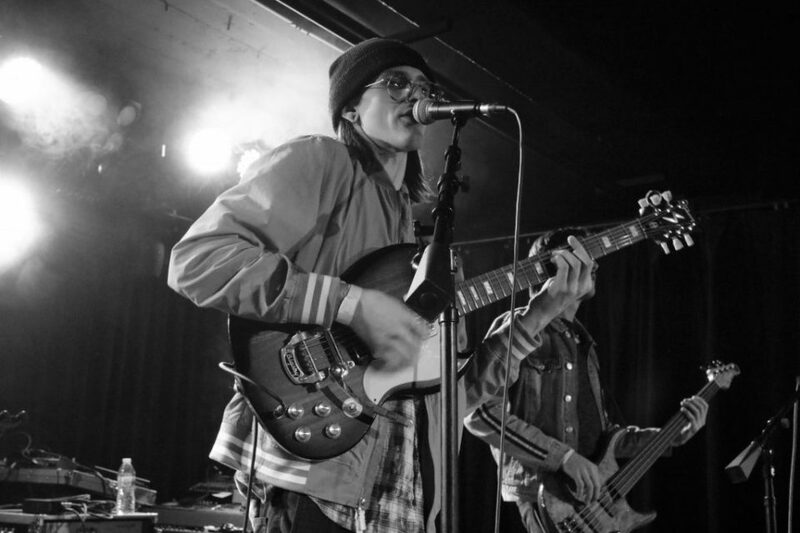 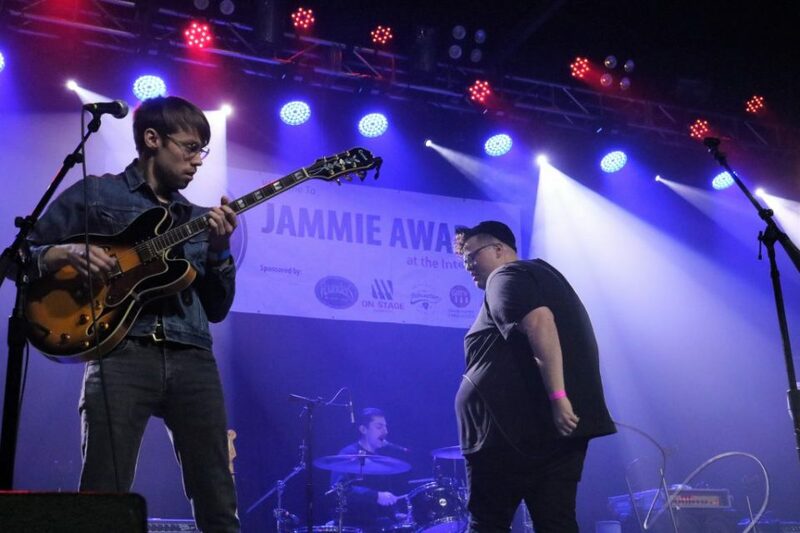 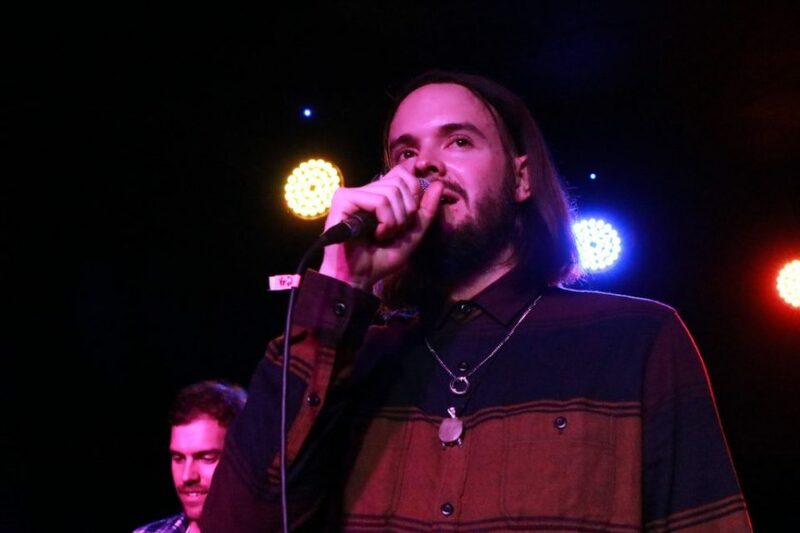 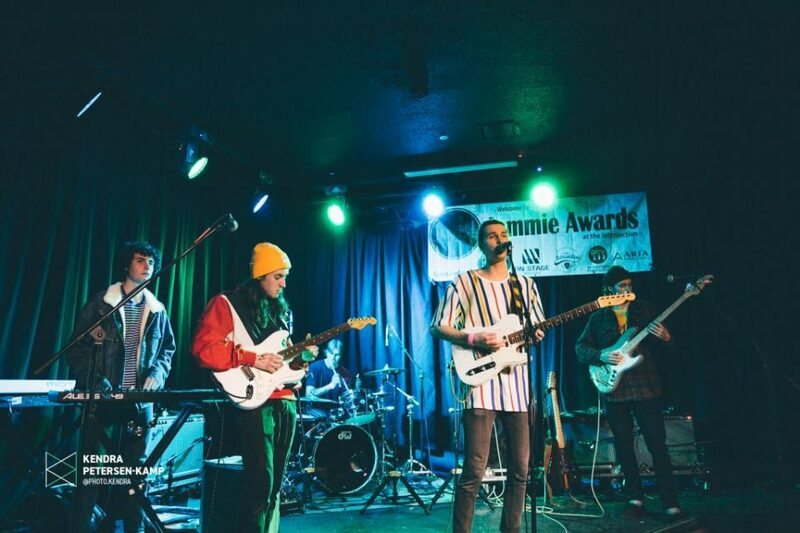 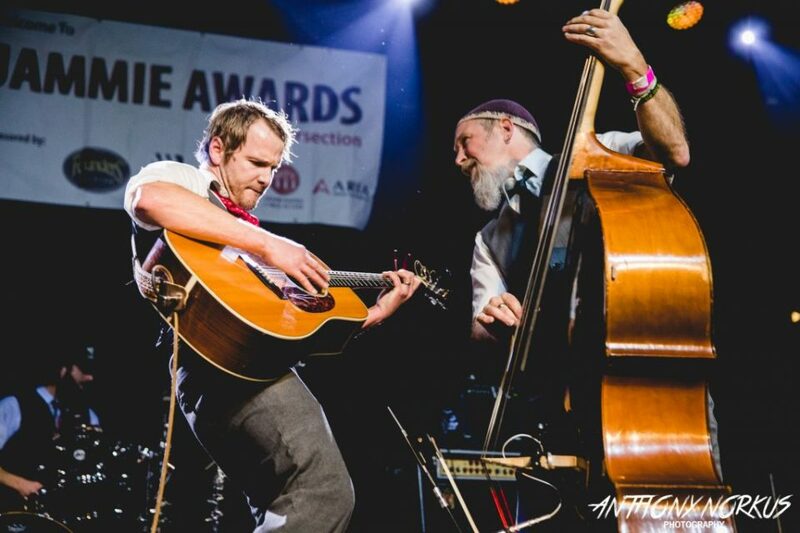 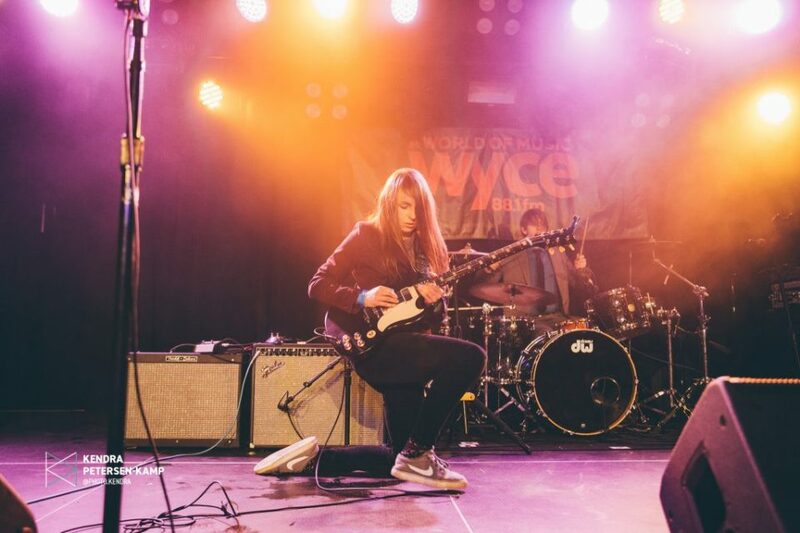 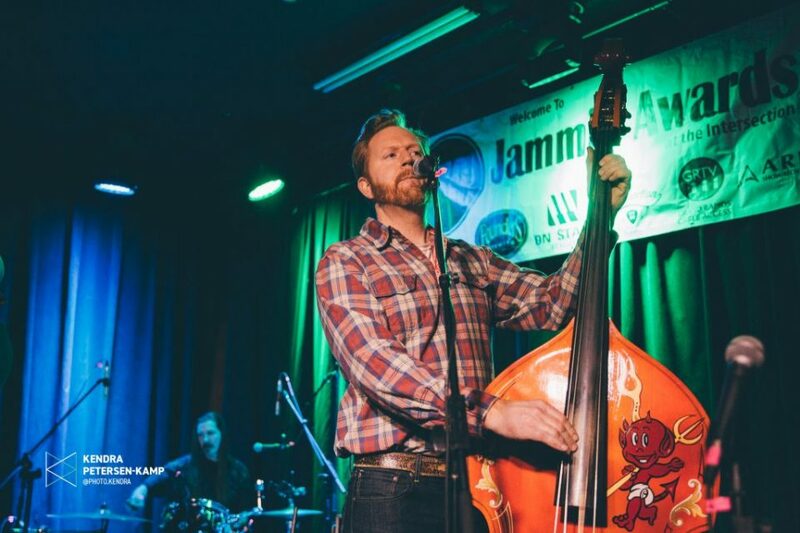 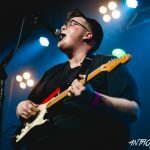 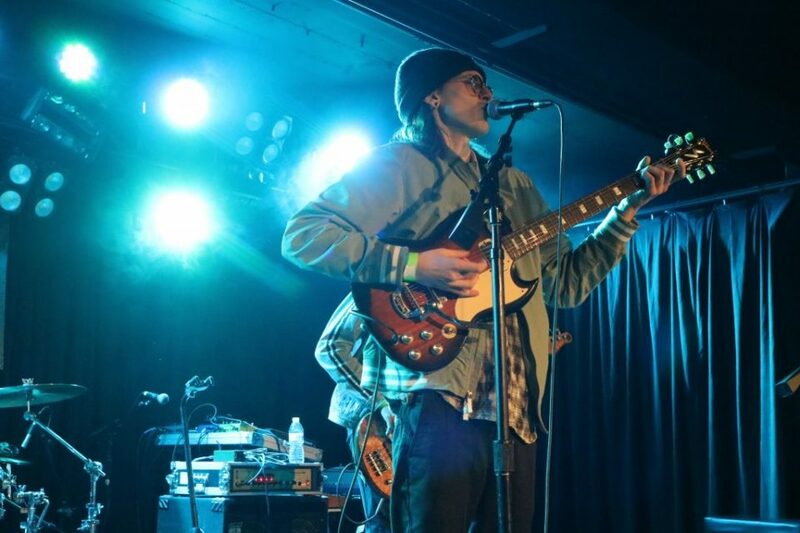 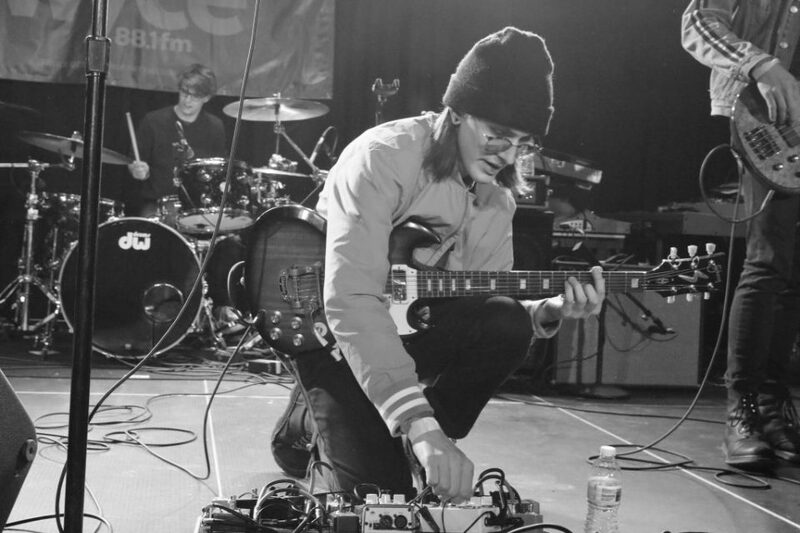 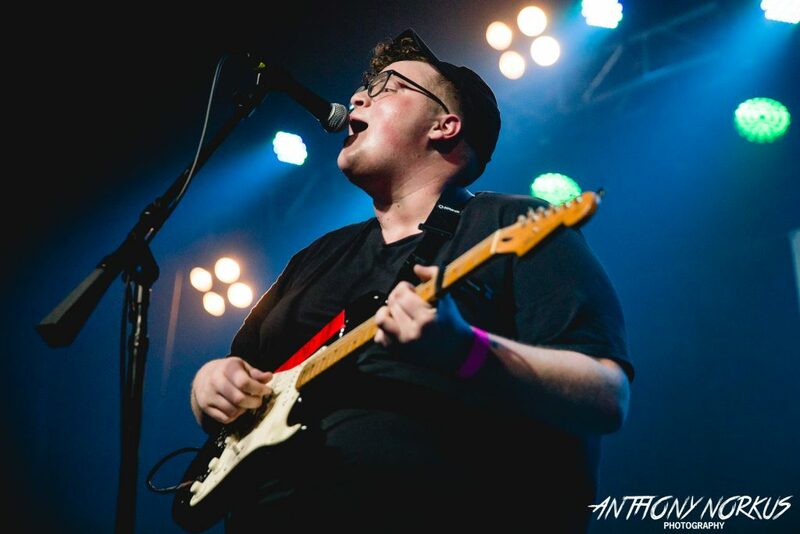 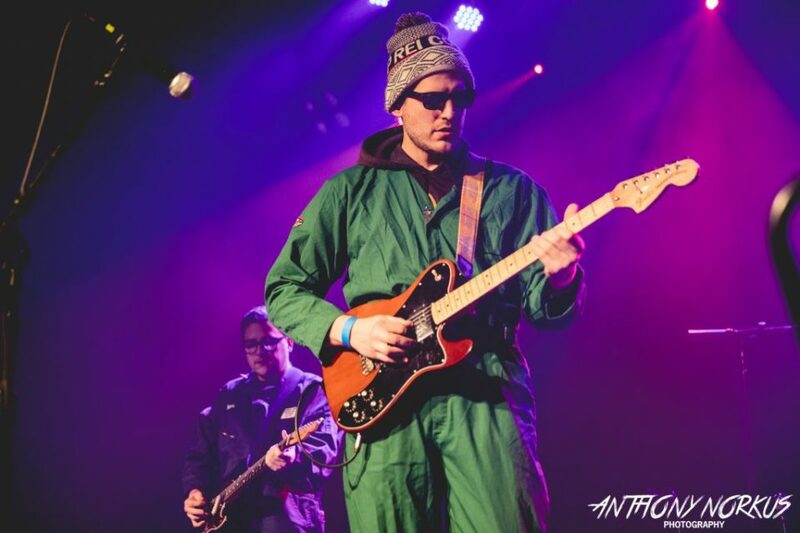 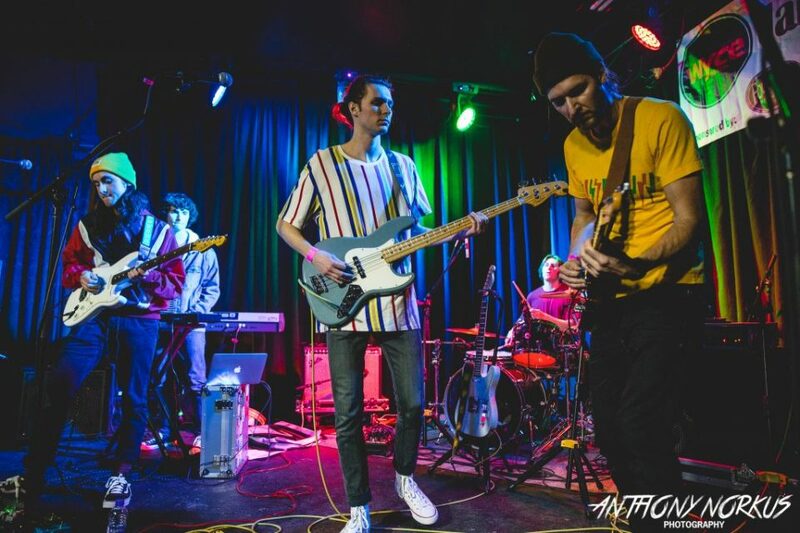 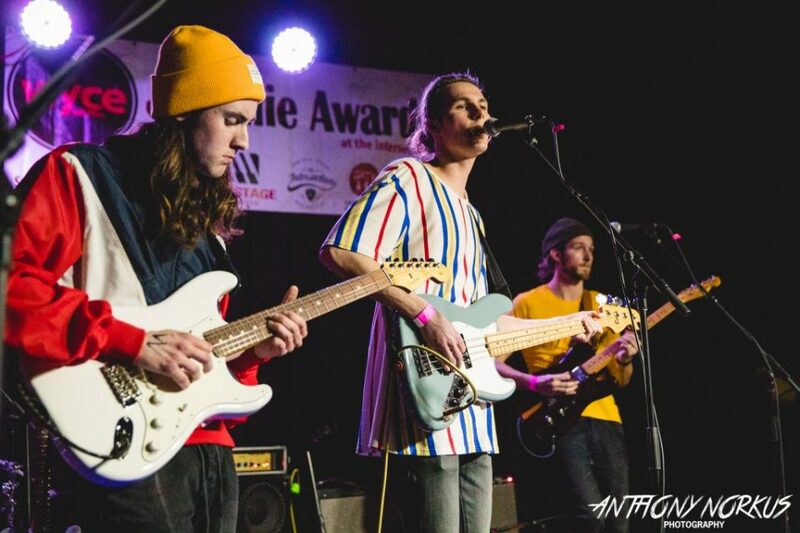 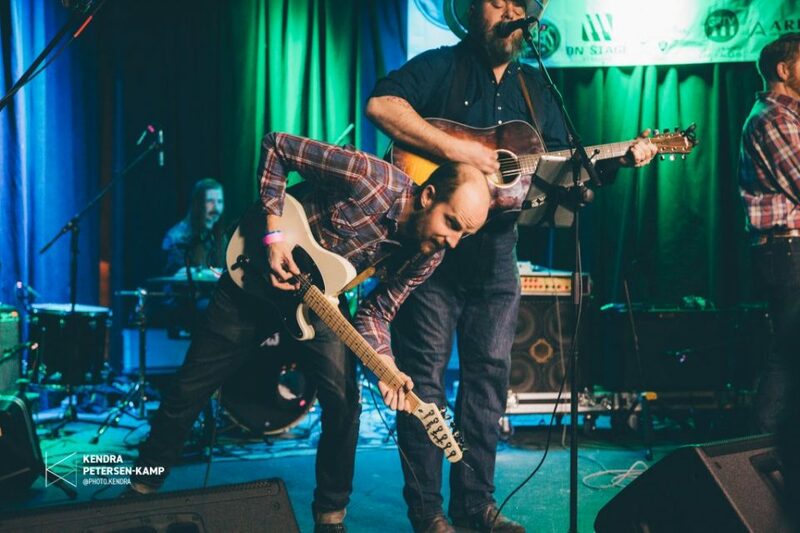 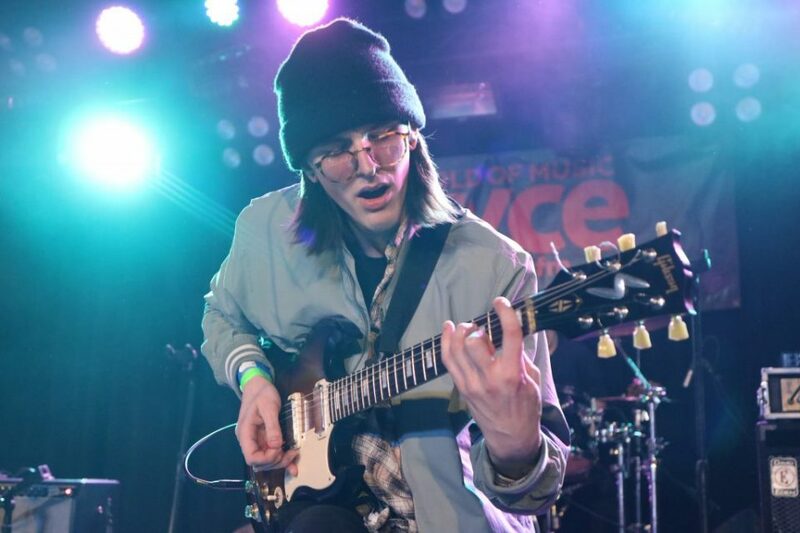 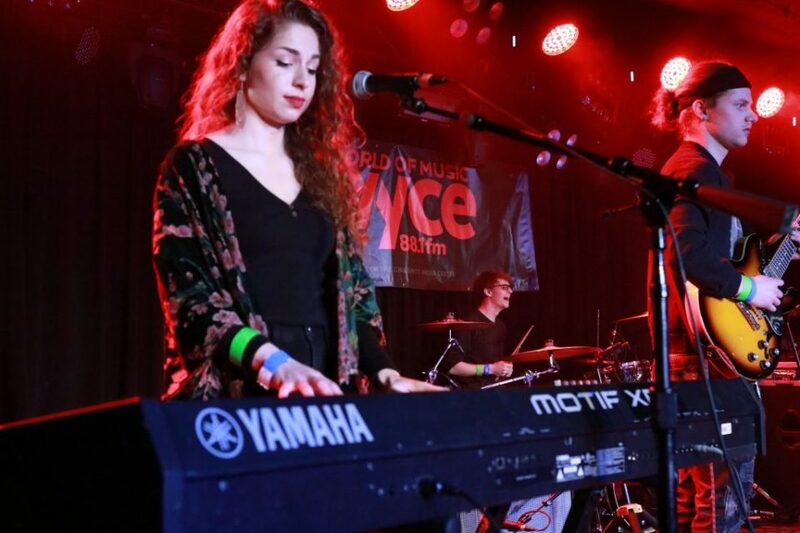 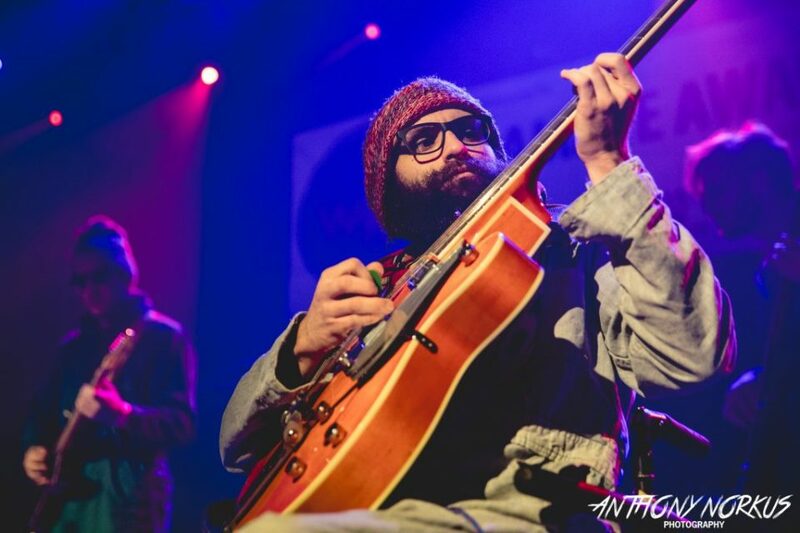 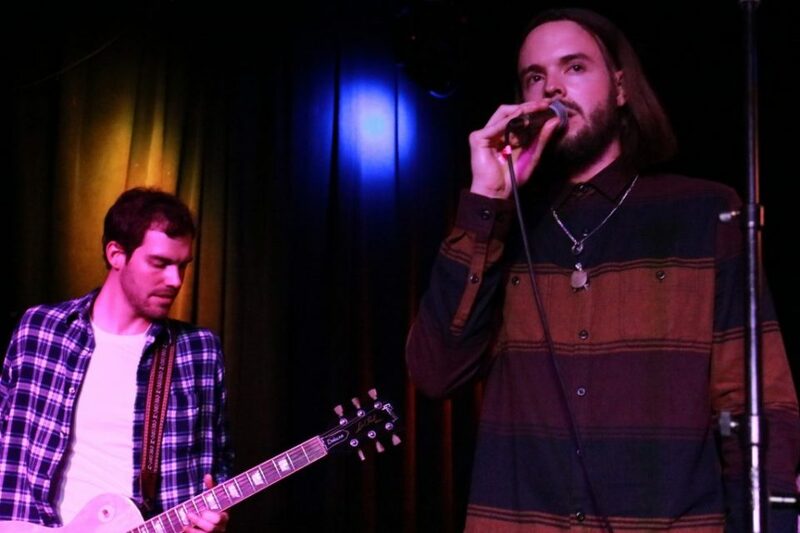 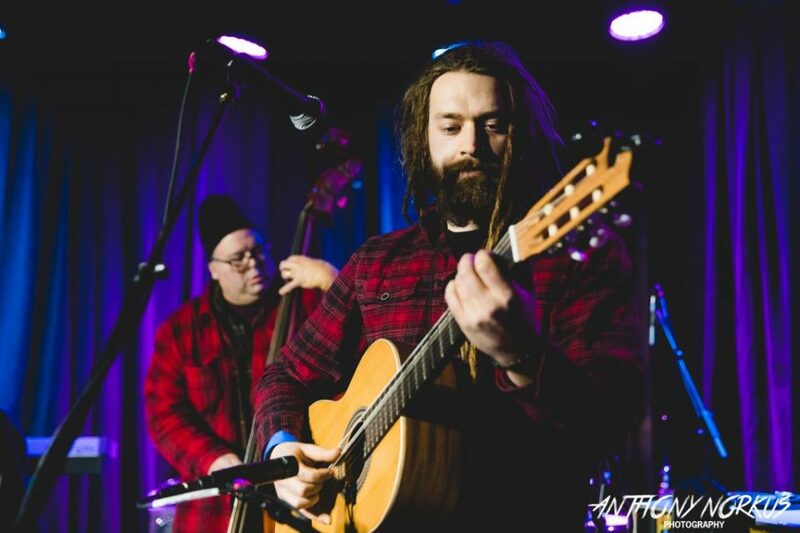 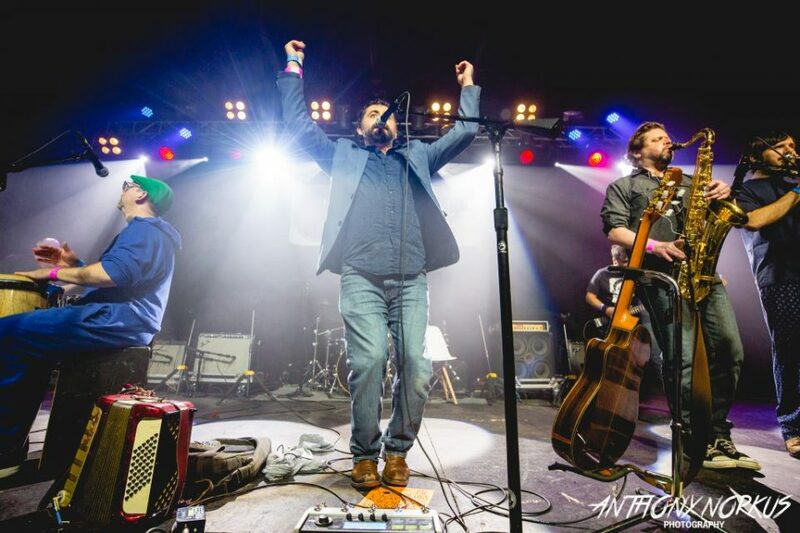 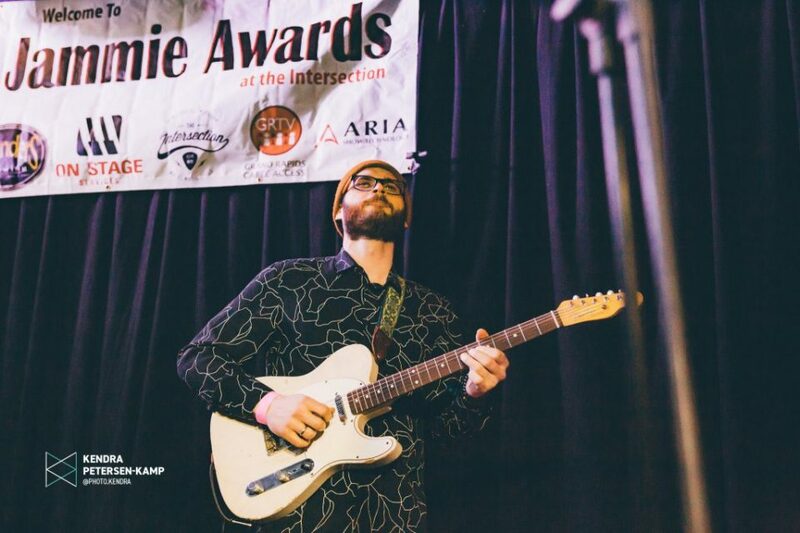 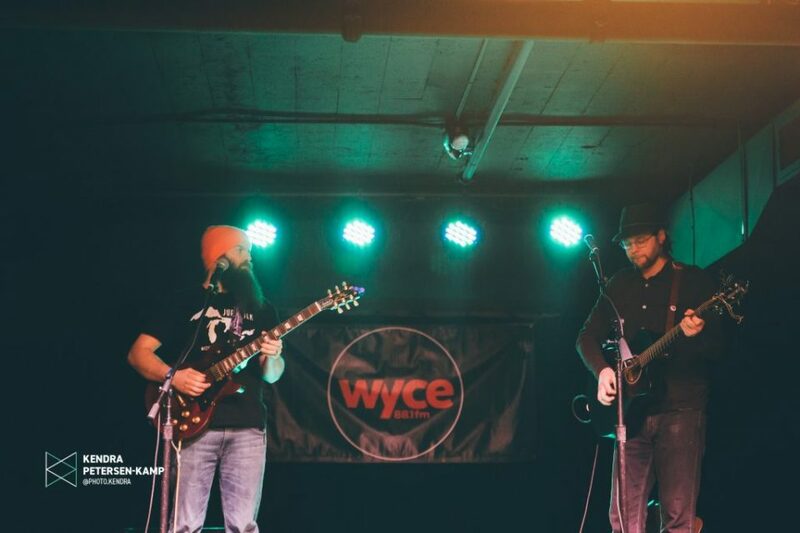 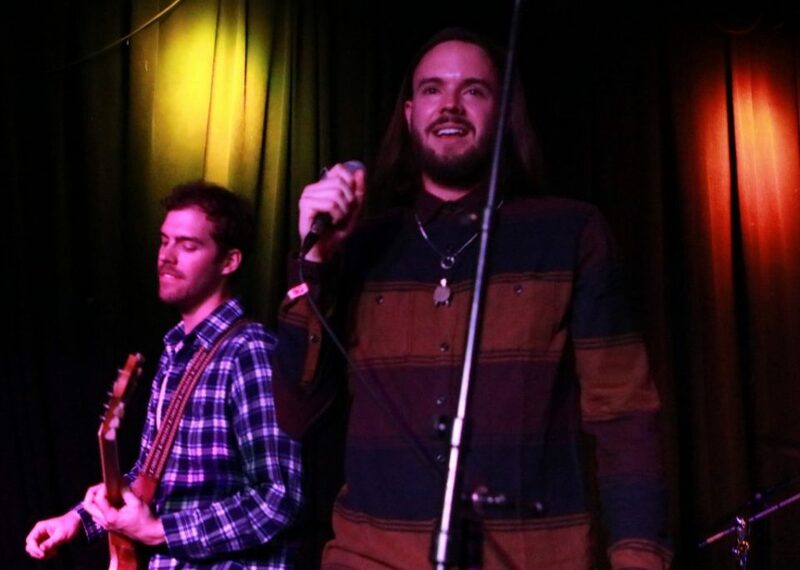 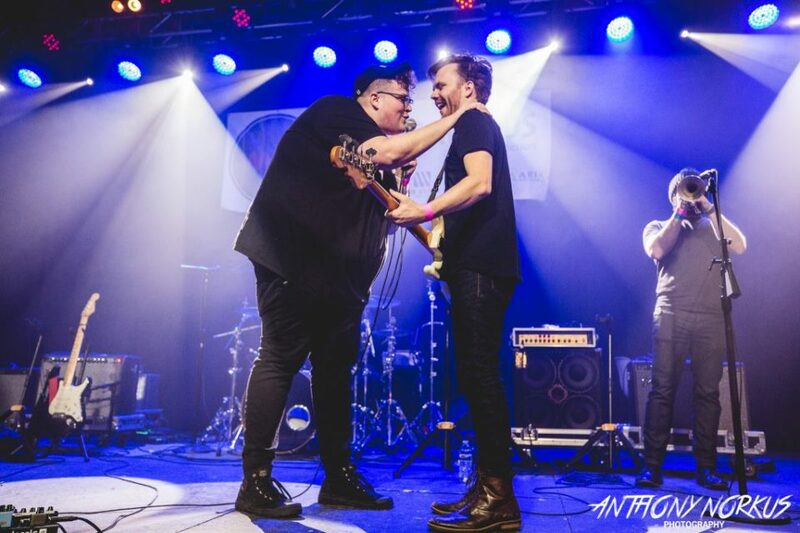 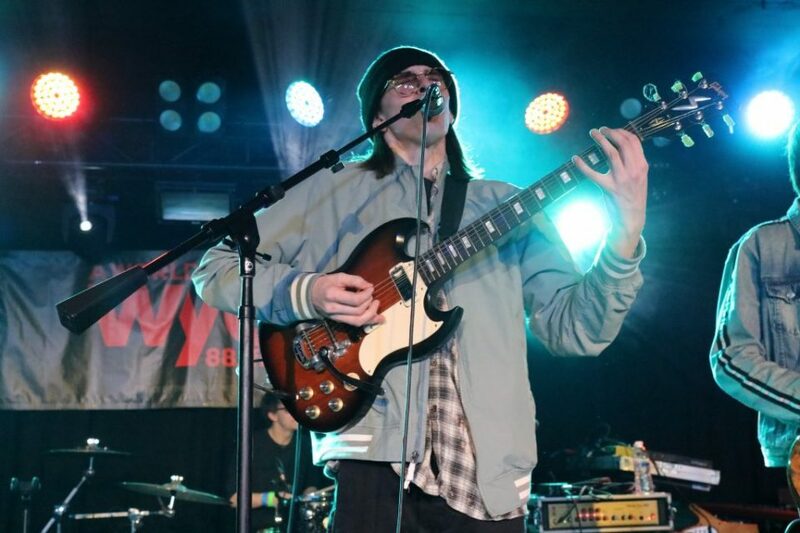 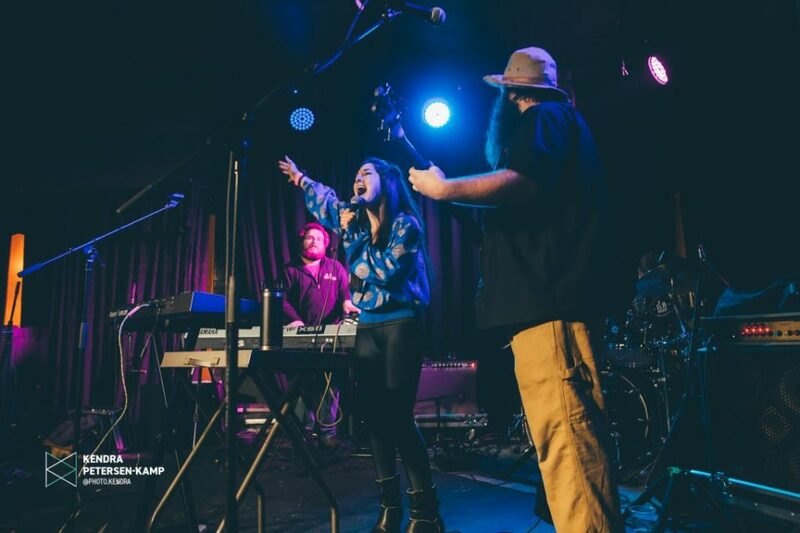 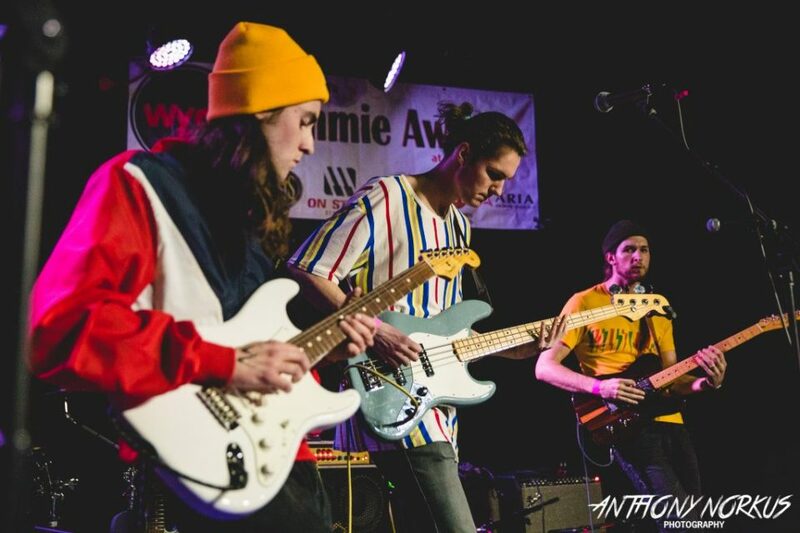 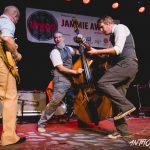 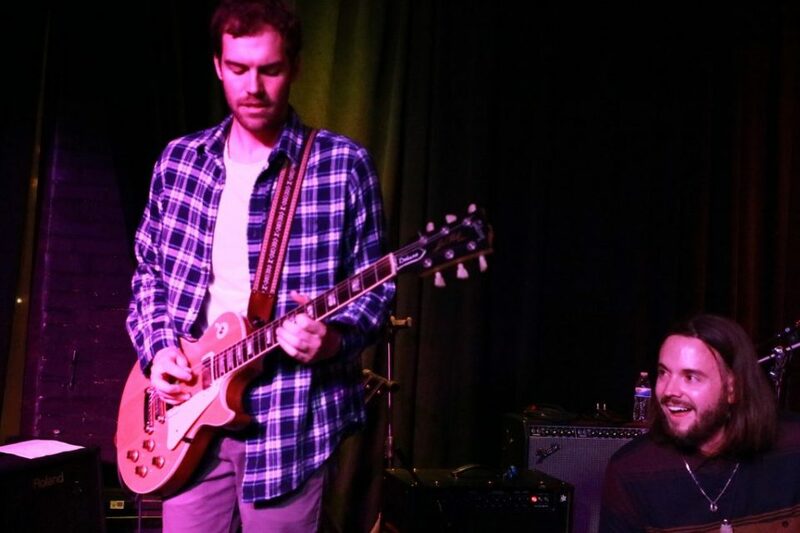 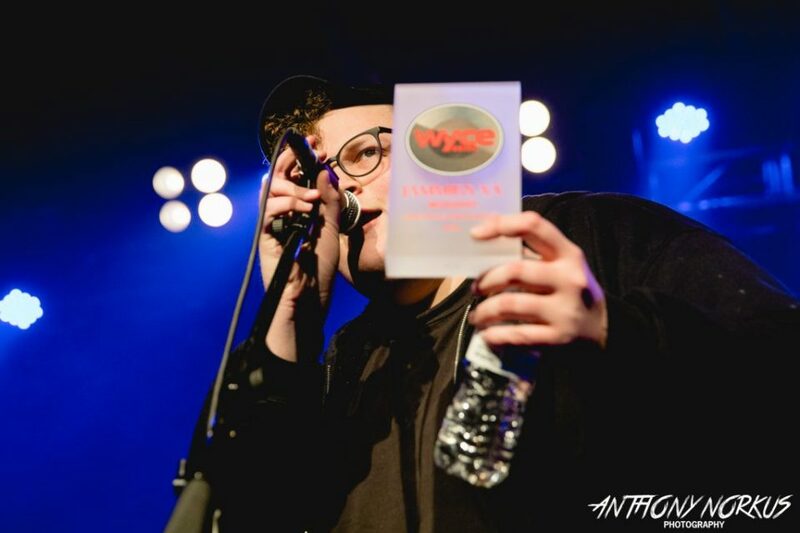 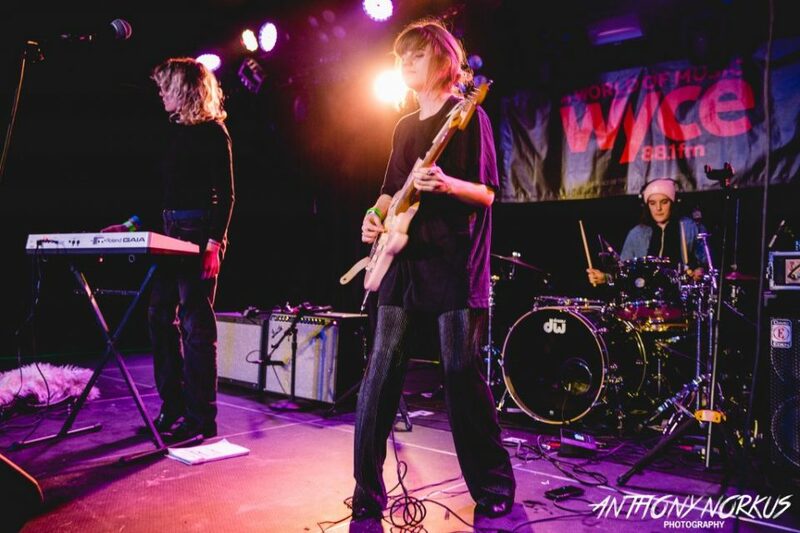 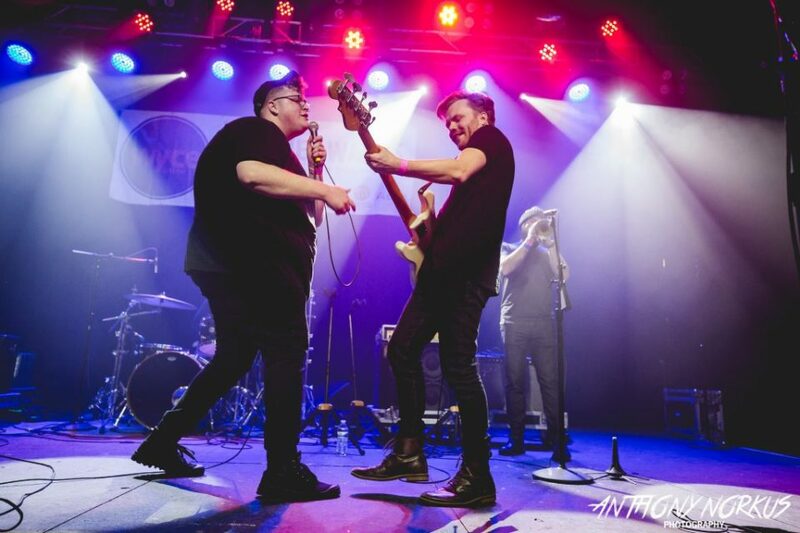 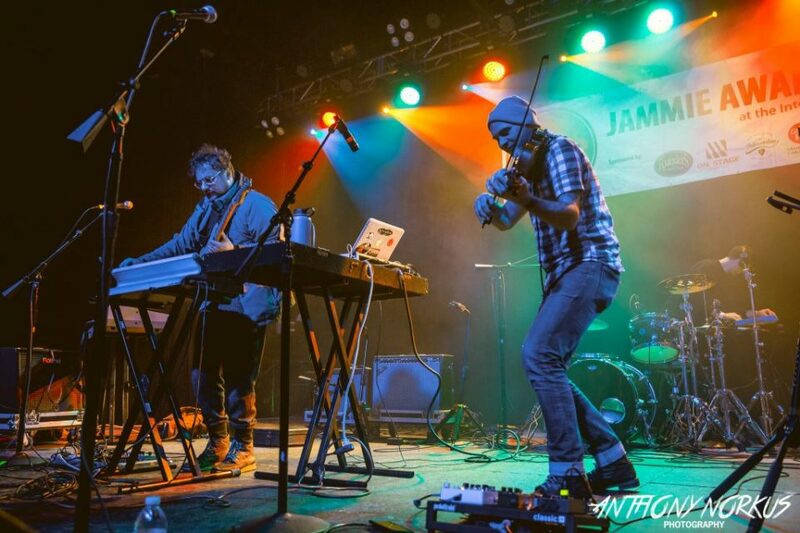 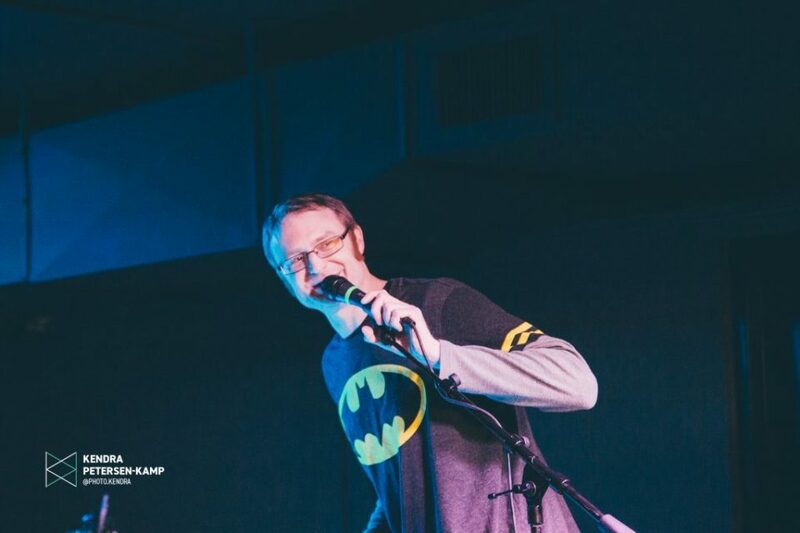 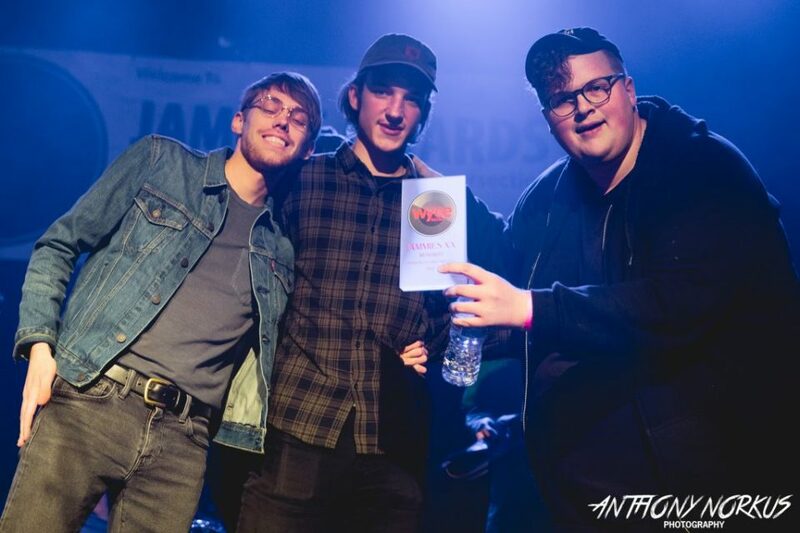 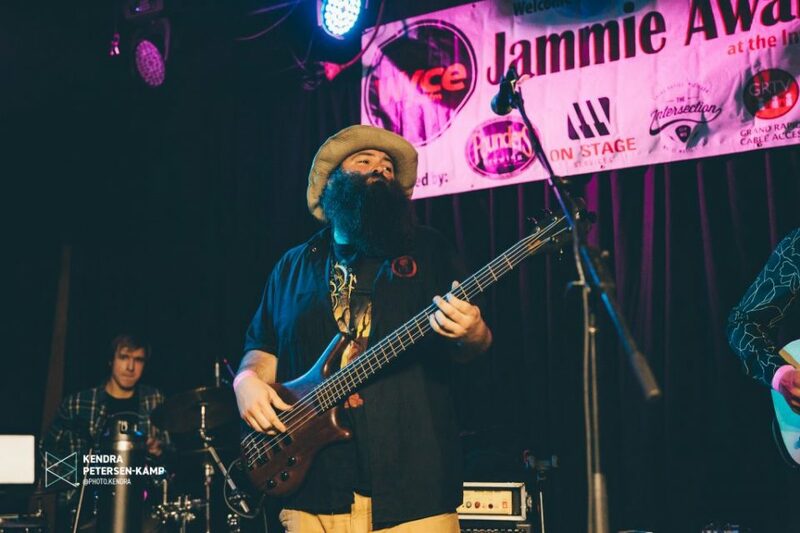 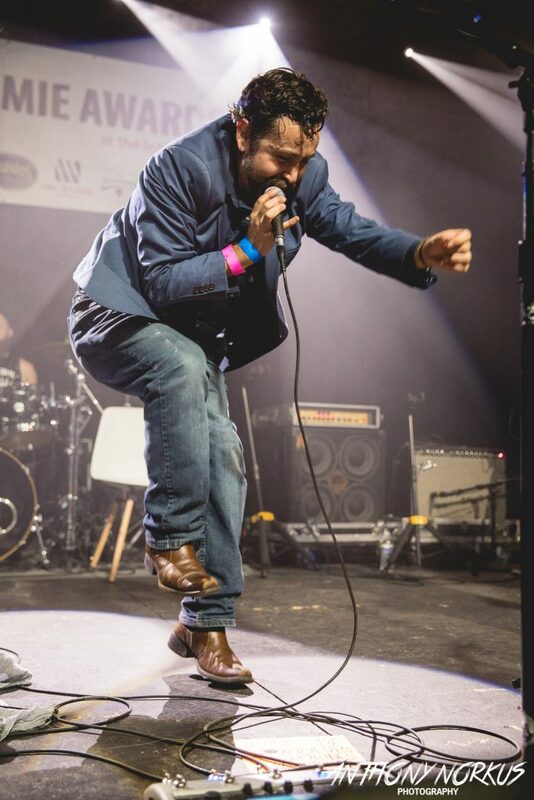 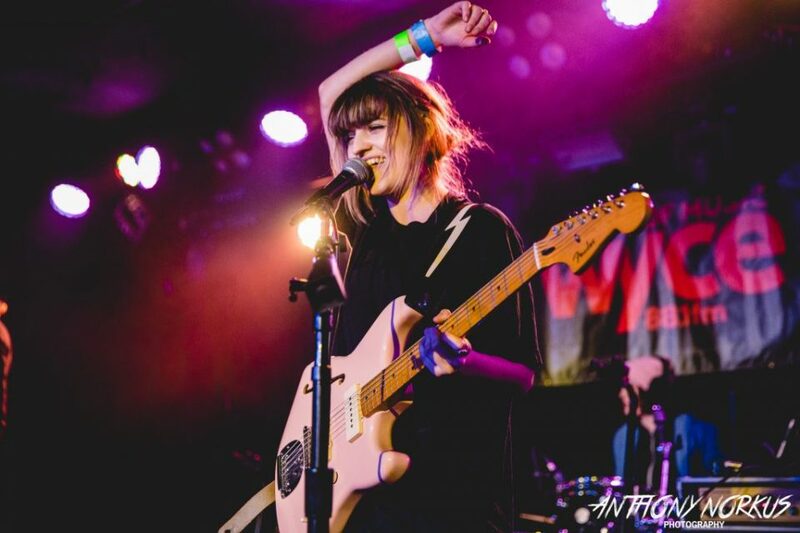 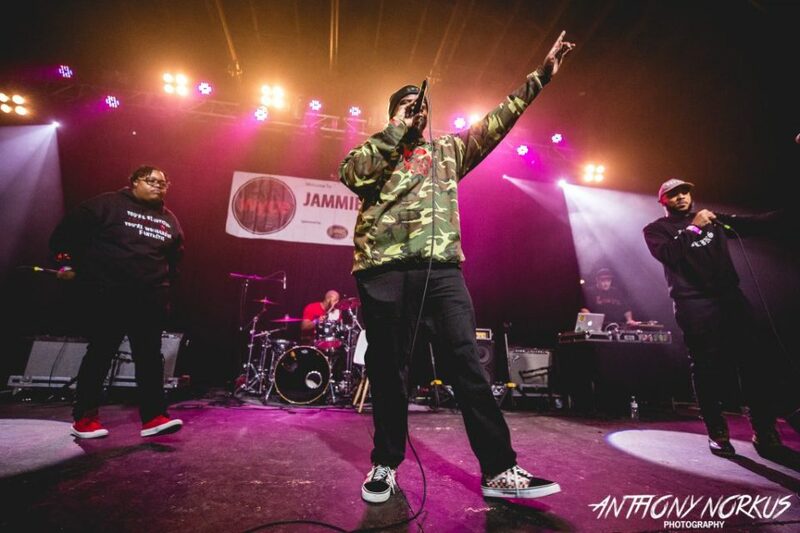 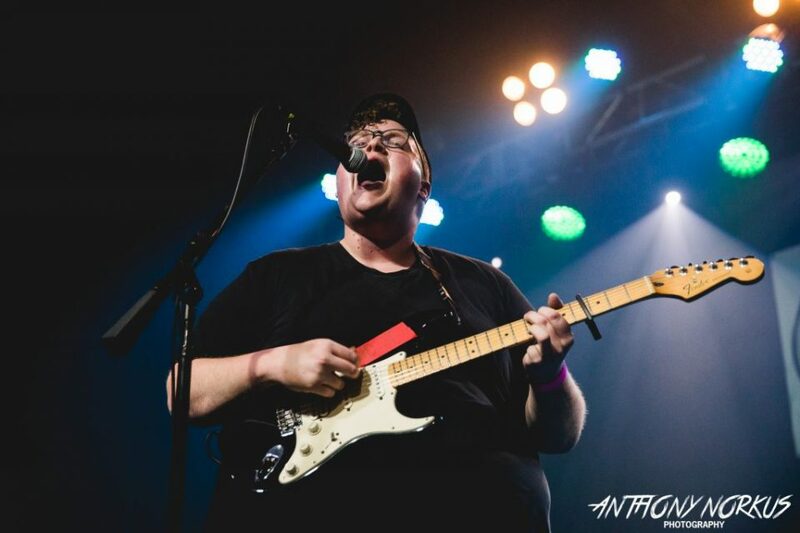 With The Hacky Turtles unleashing an upbeat after-party set, the jam-packed Stache inside The Intersection at the end of the night told the story of the 20th Jammie Awards show presented by community radio station WYCE-FM on Friday. 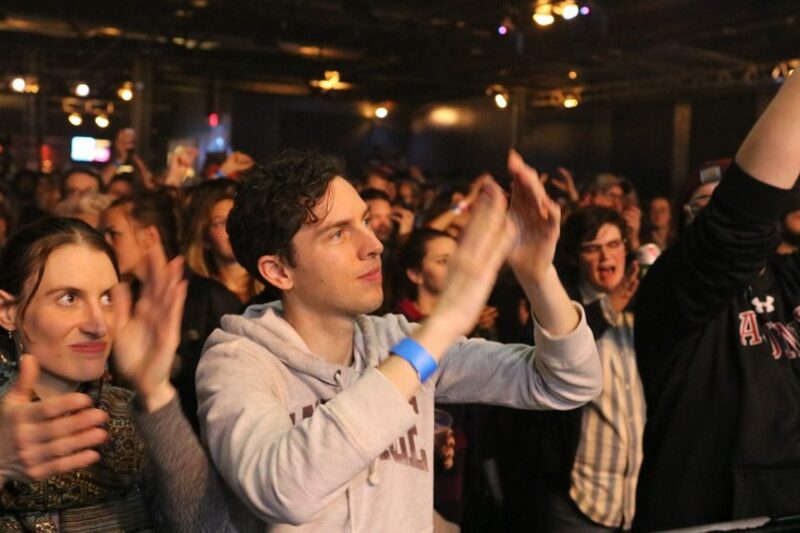 Revelers just didn’t want the inspiring celebration of regional music to end. 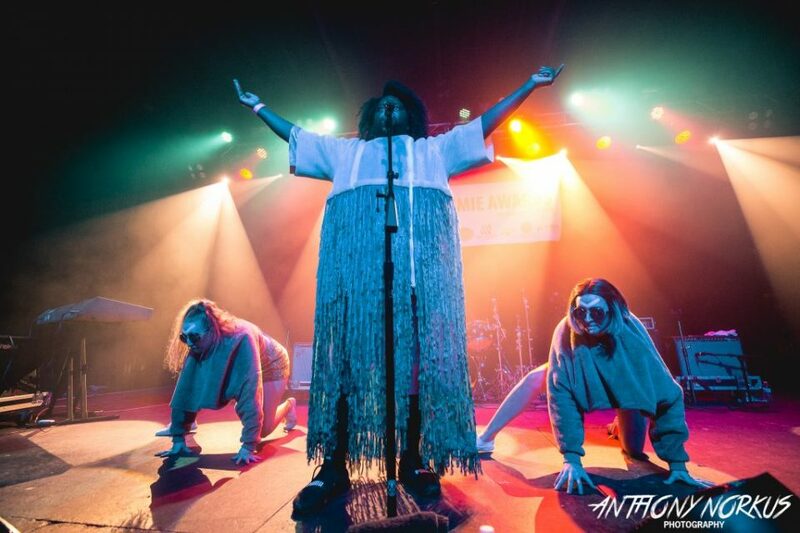 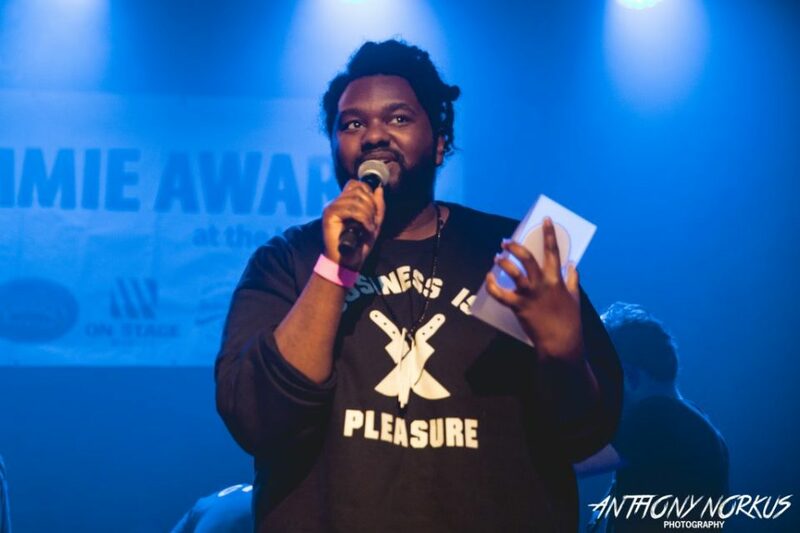 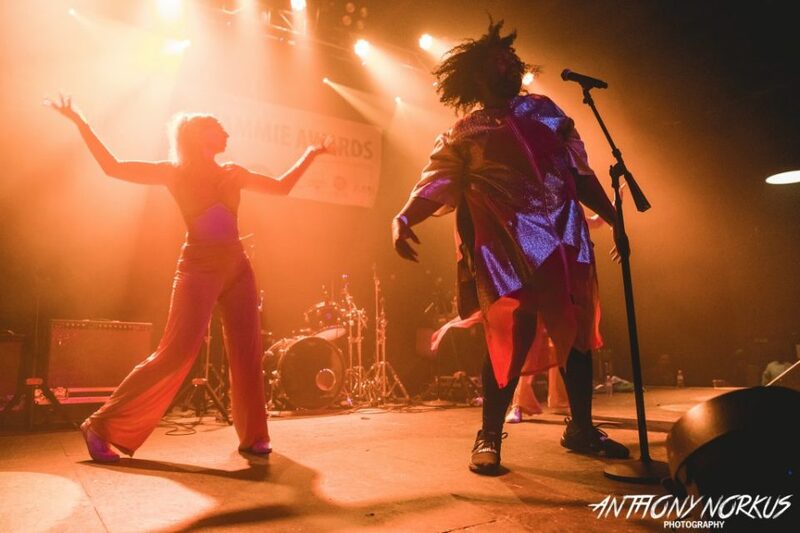 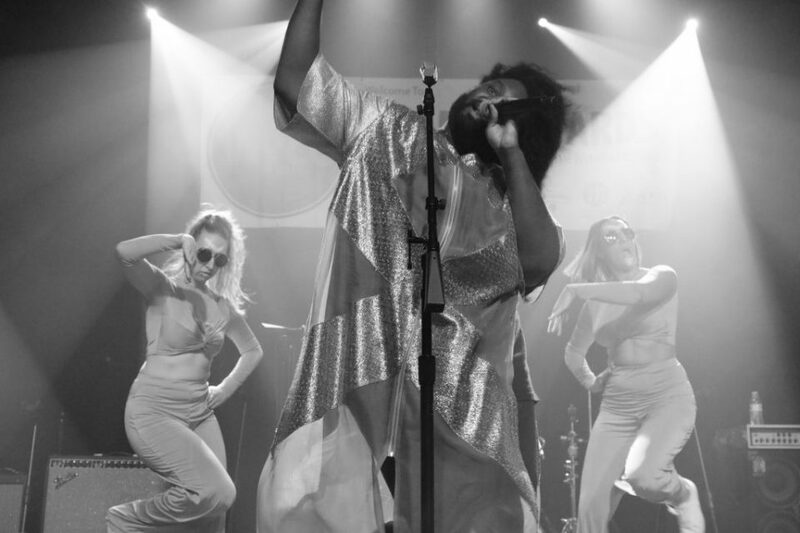 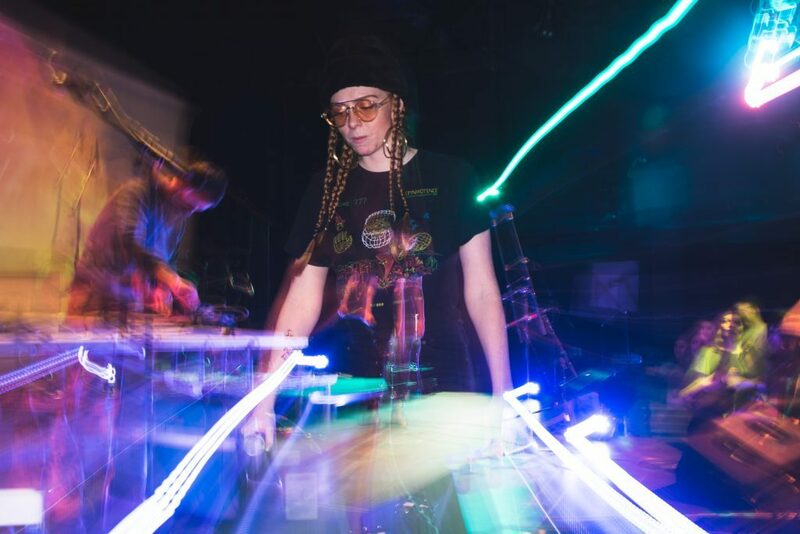 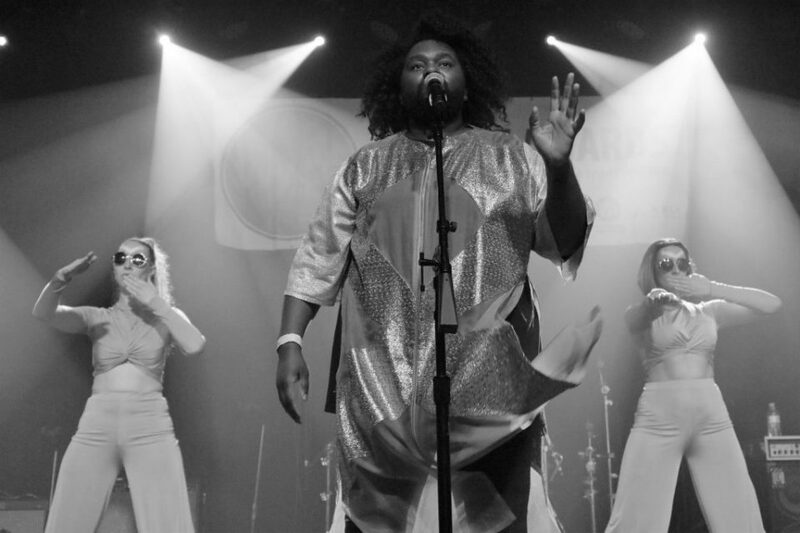 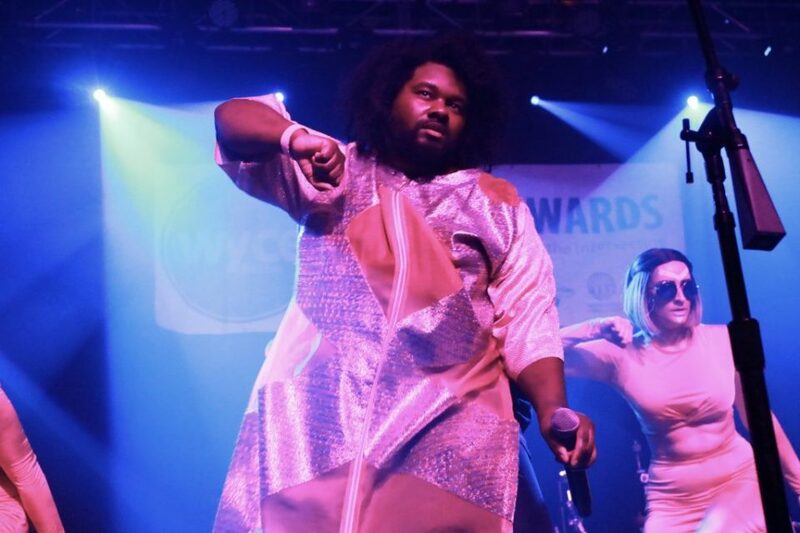 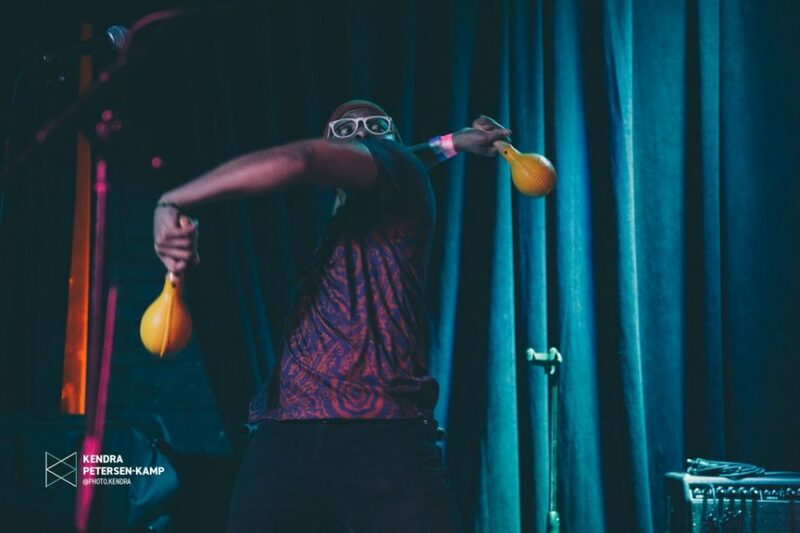 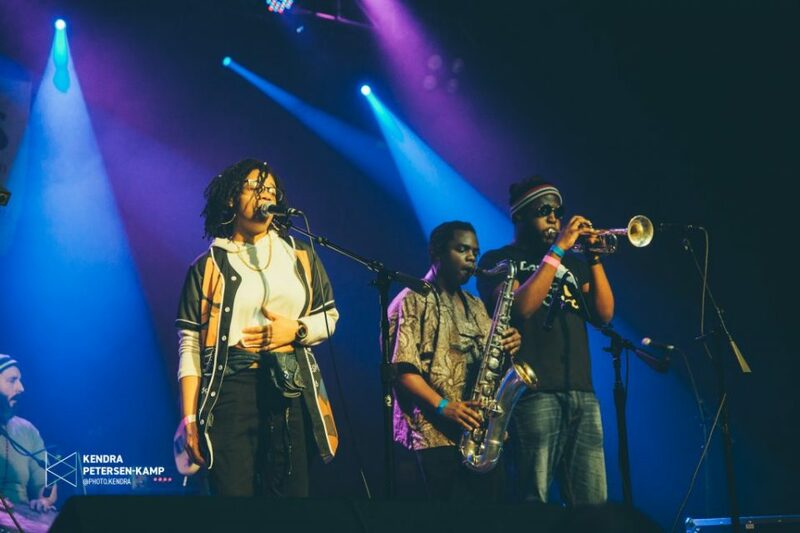 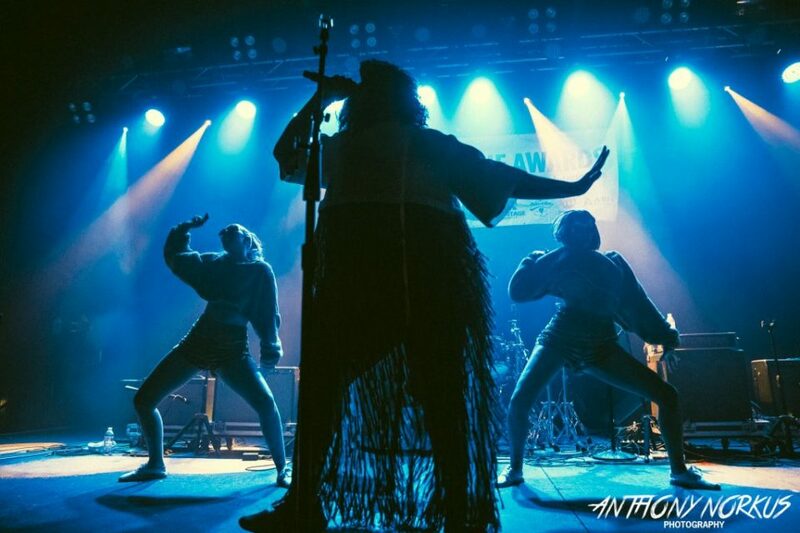 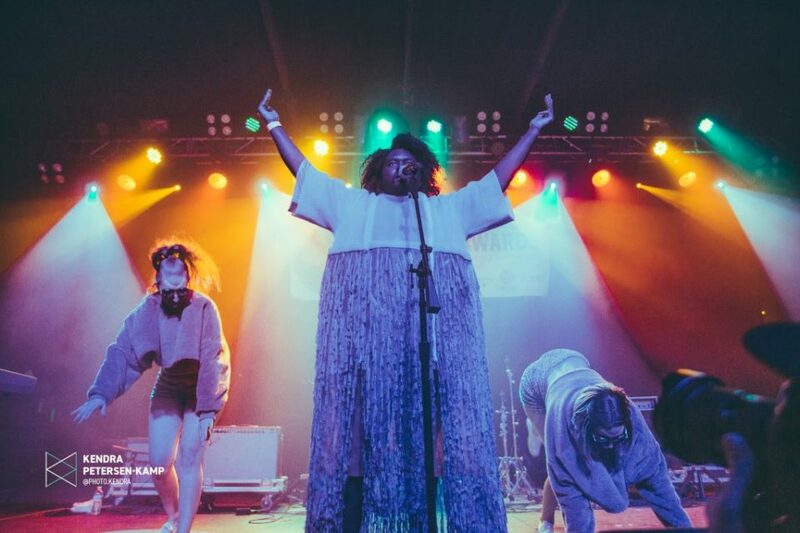 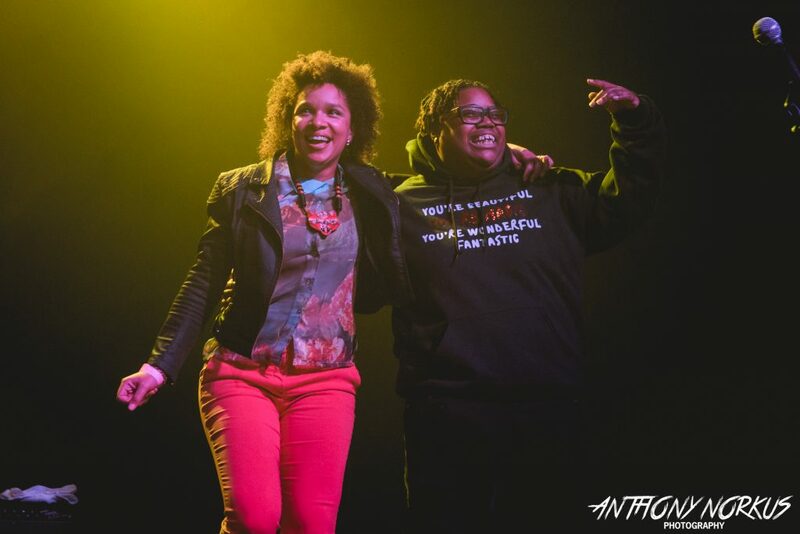 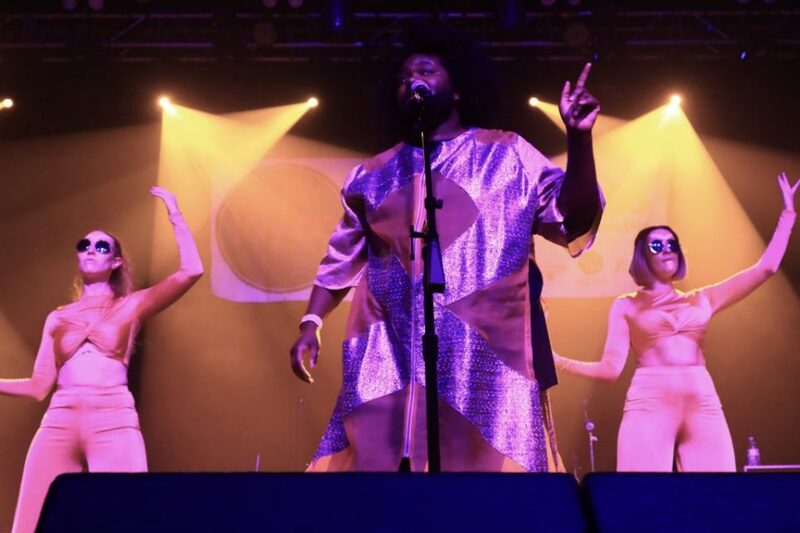 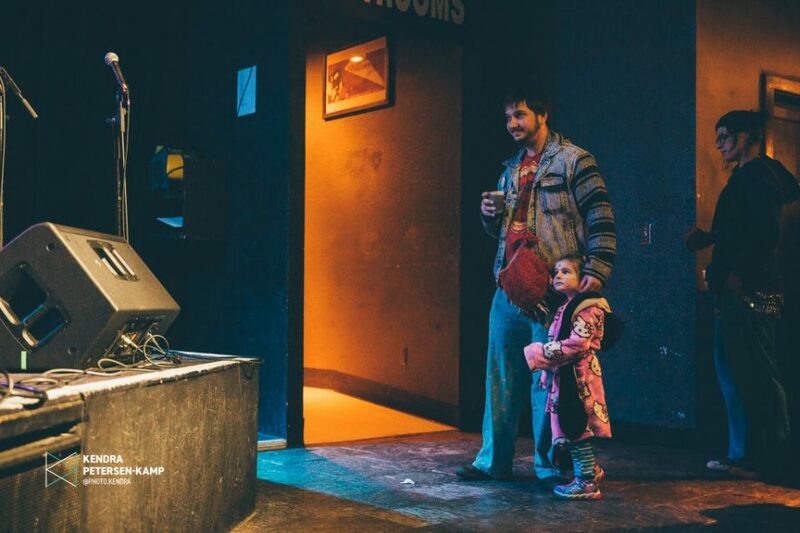 More than 1,600 people strolled The Intersection’s four venues throughout the night, with a myriad of genres represented — sometimes all in one performance (Last Gasp Collective, Tunde Olaniran, Public Access). 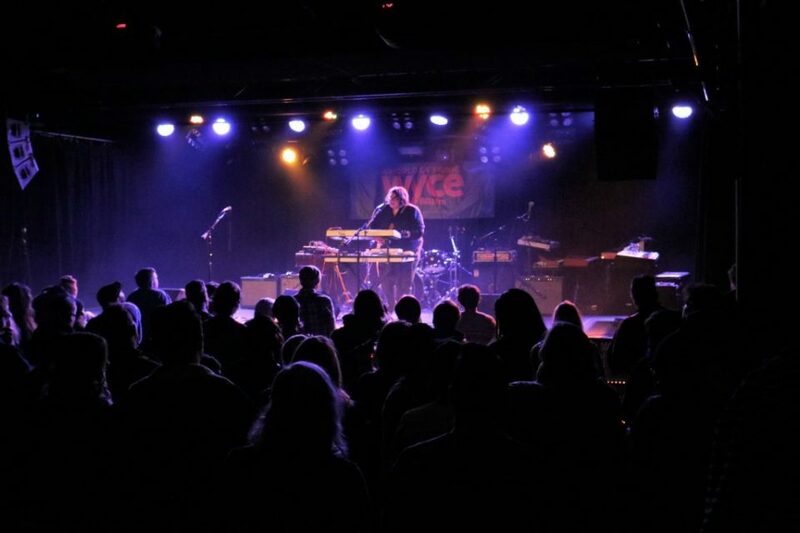 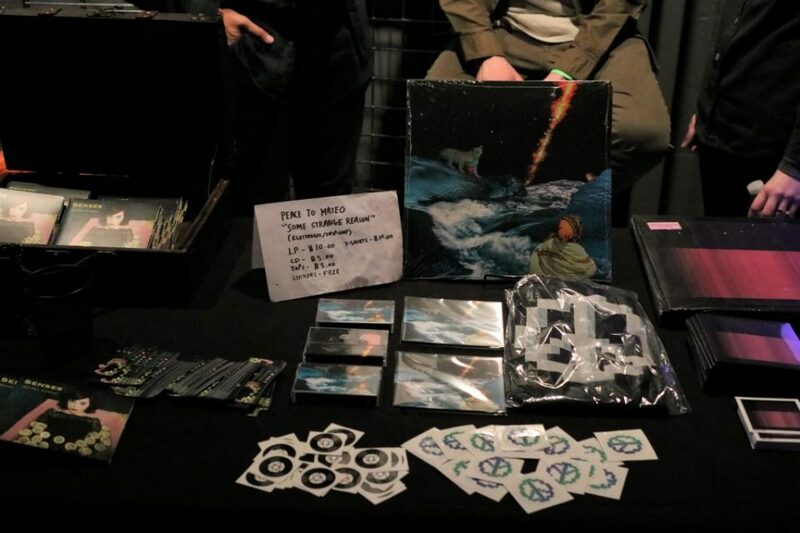 Indeed, WYCE staffers and volunteers hit it out of the ballpark when it comes to managing the challenging logistics of staging so many short sets in four locations, with performances staying on schedule all night. 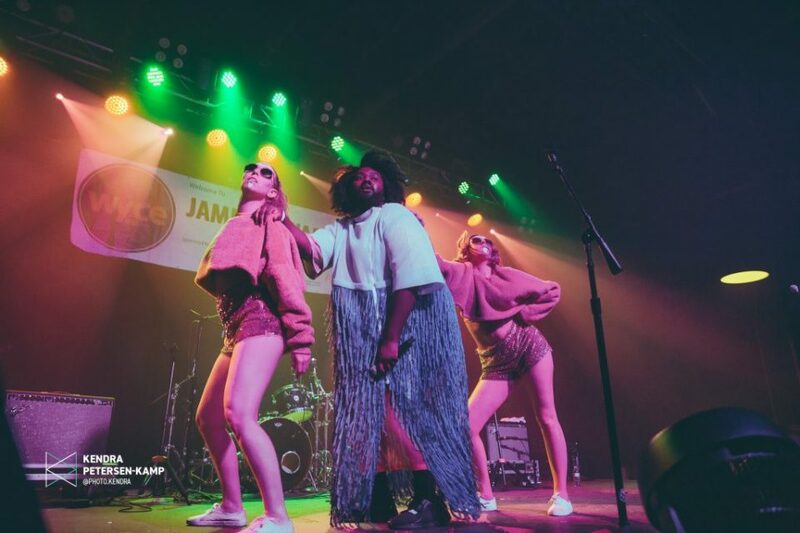 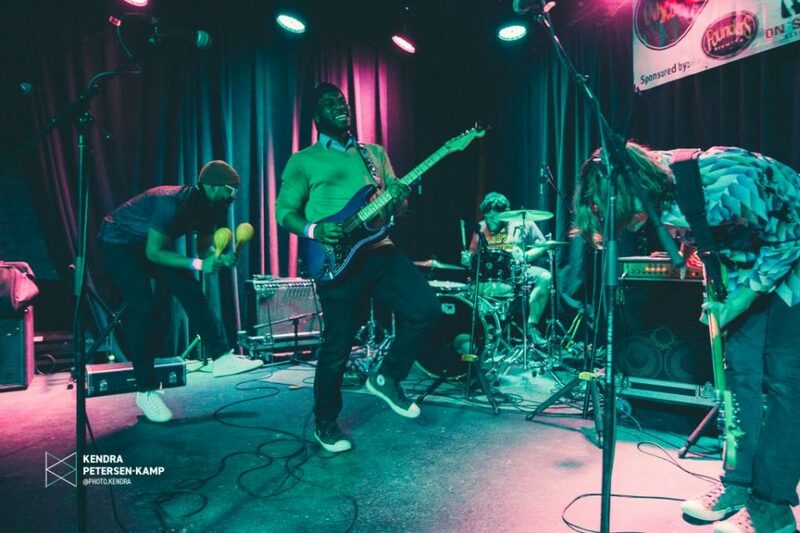 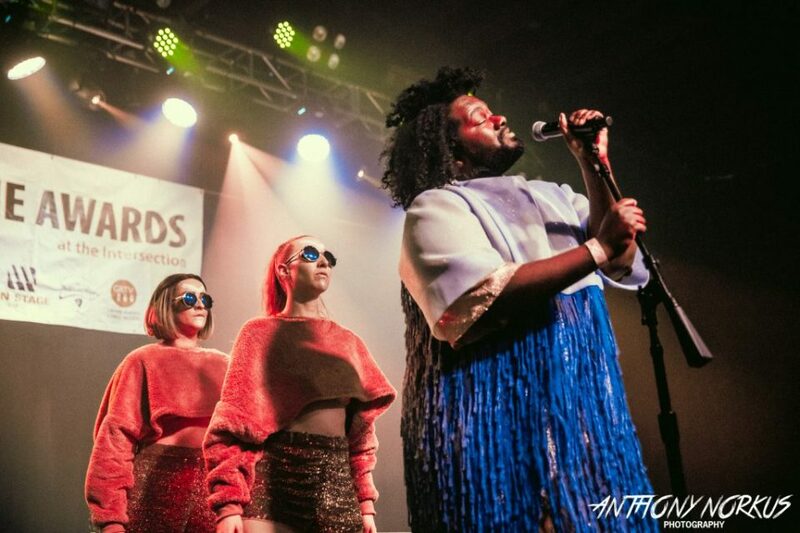 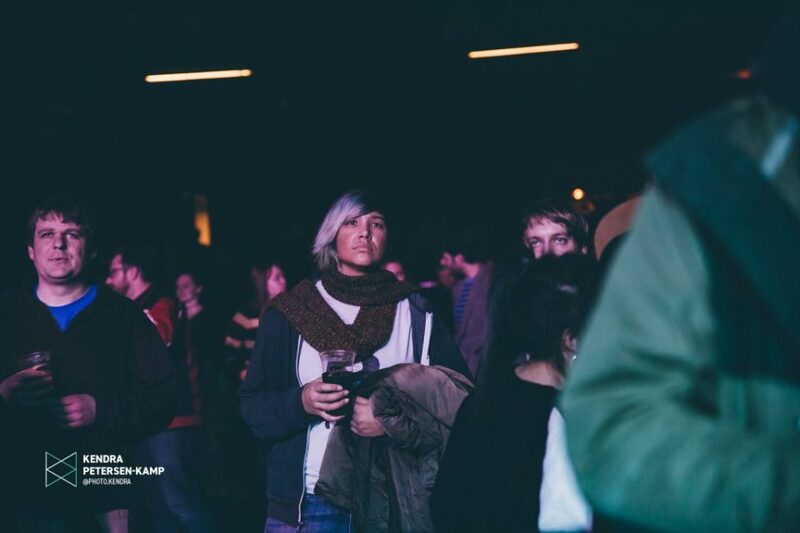 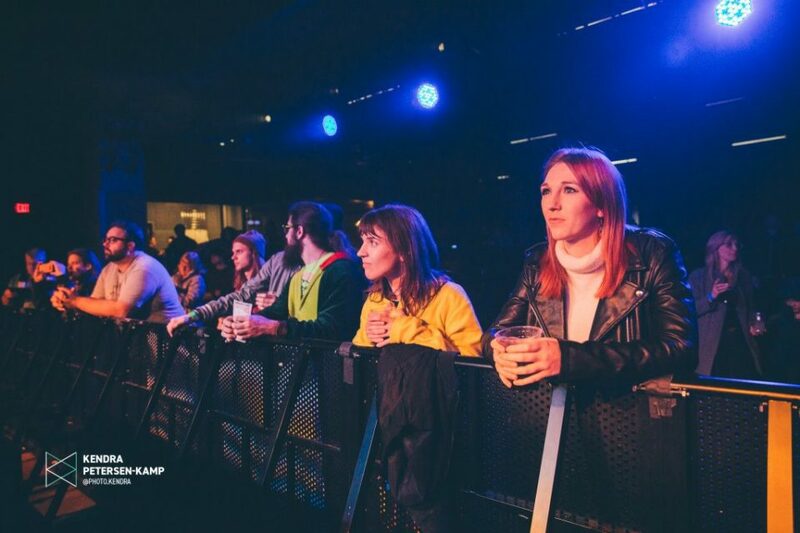 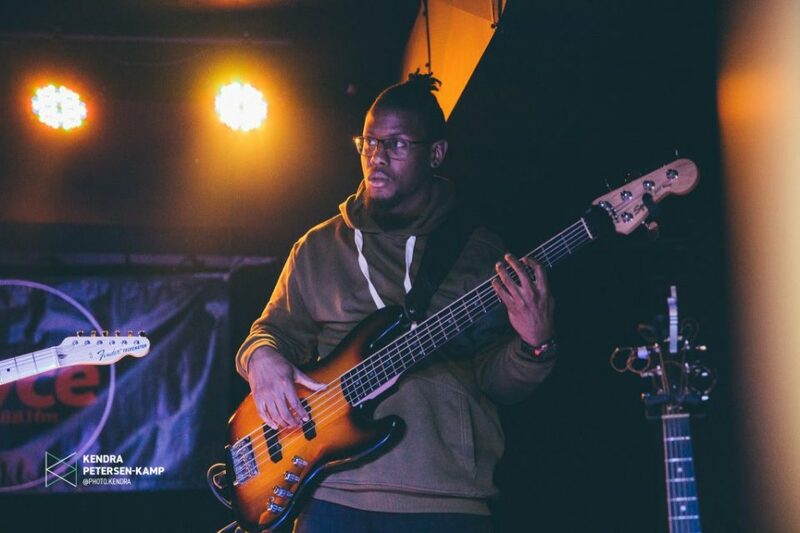 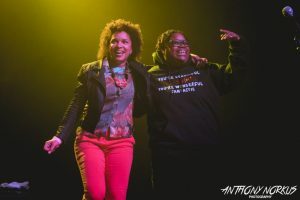 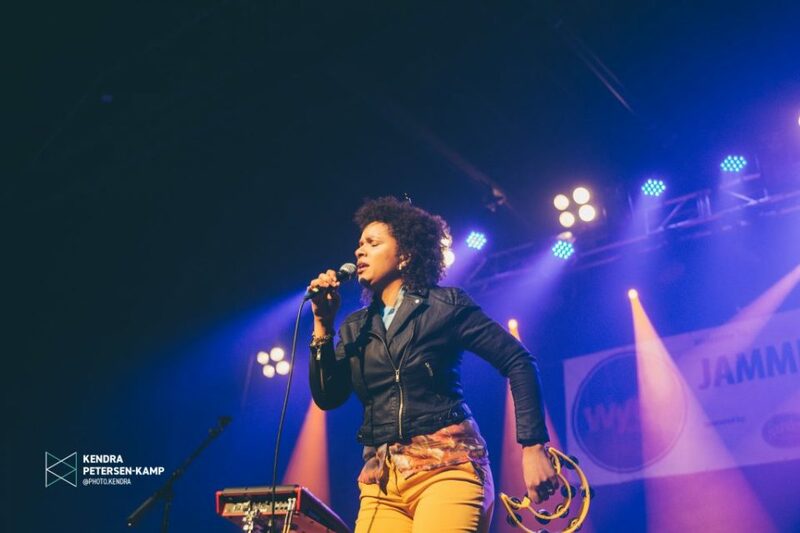 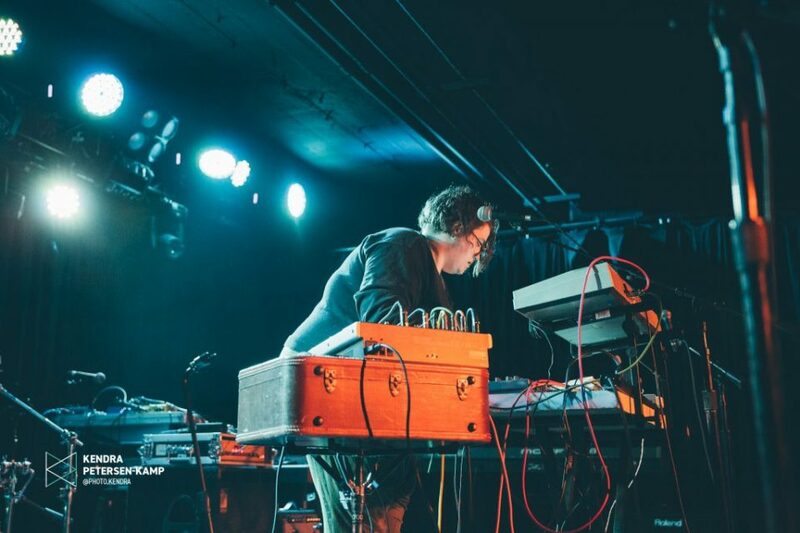 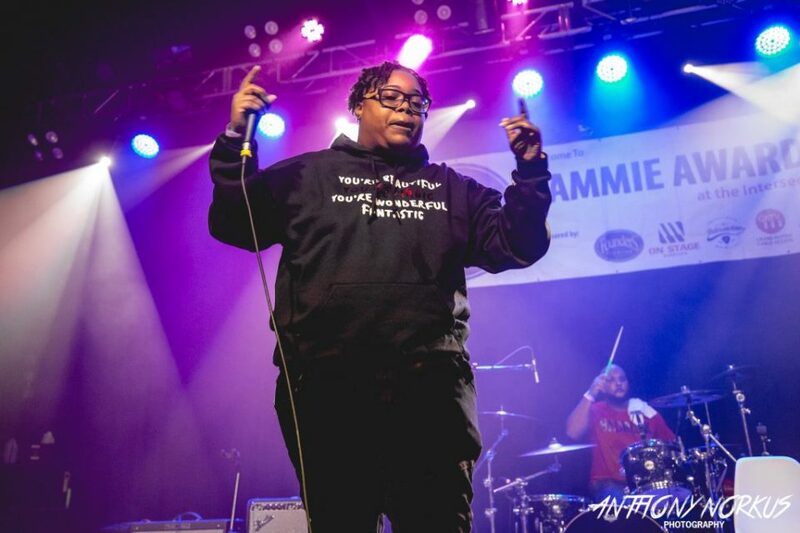 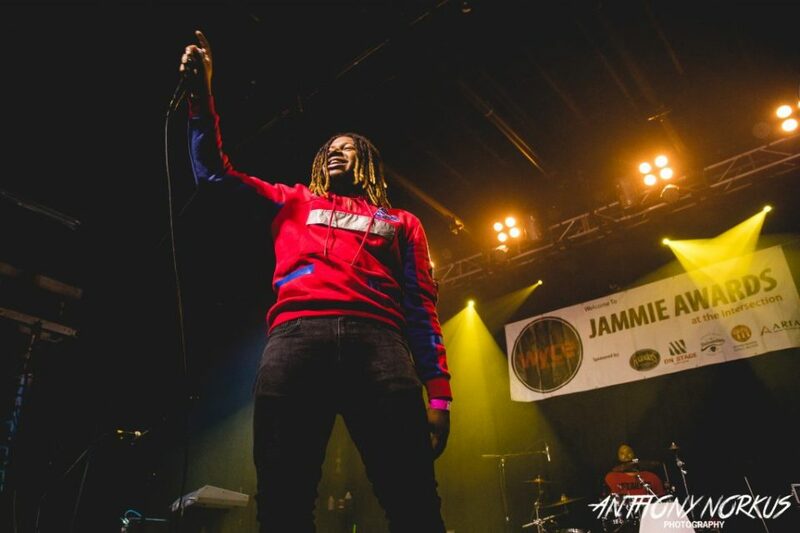 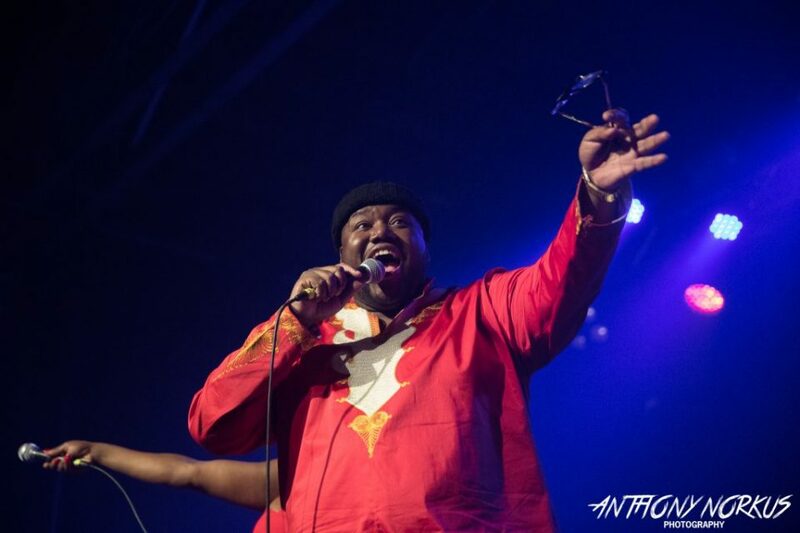 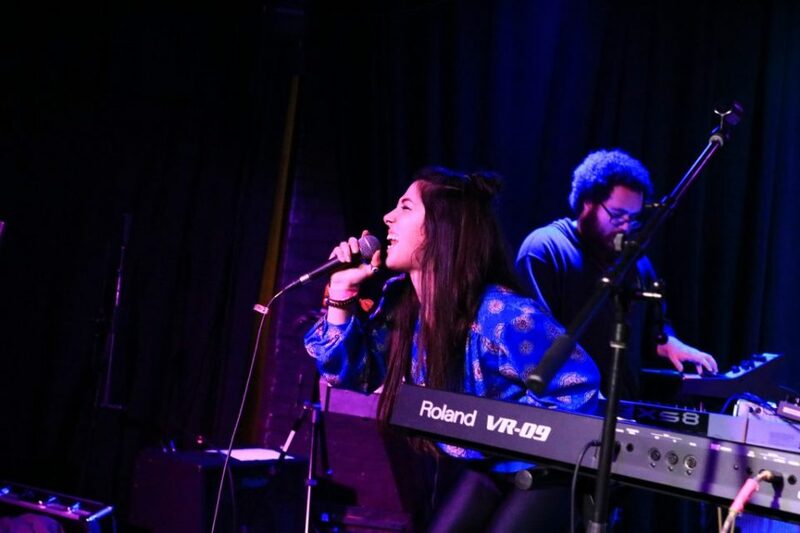 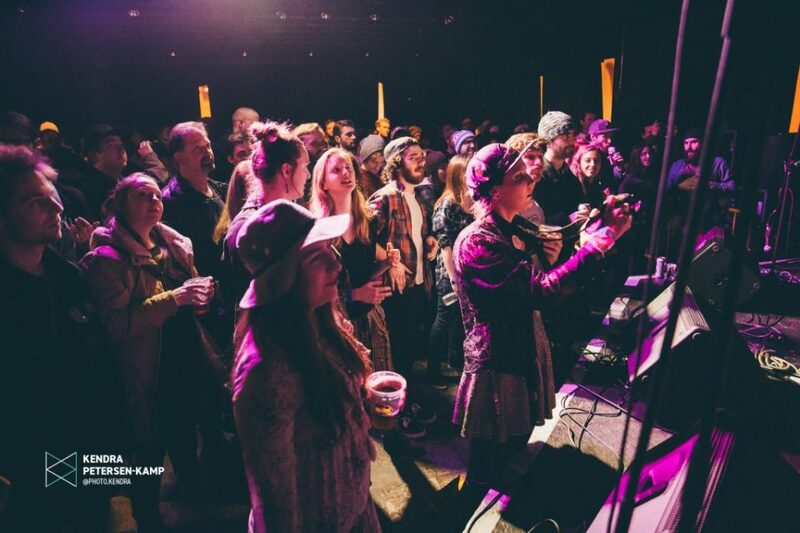 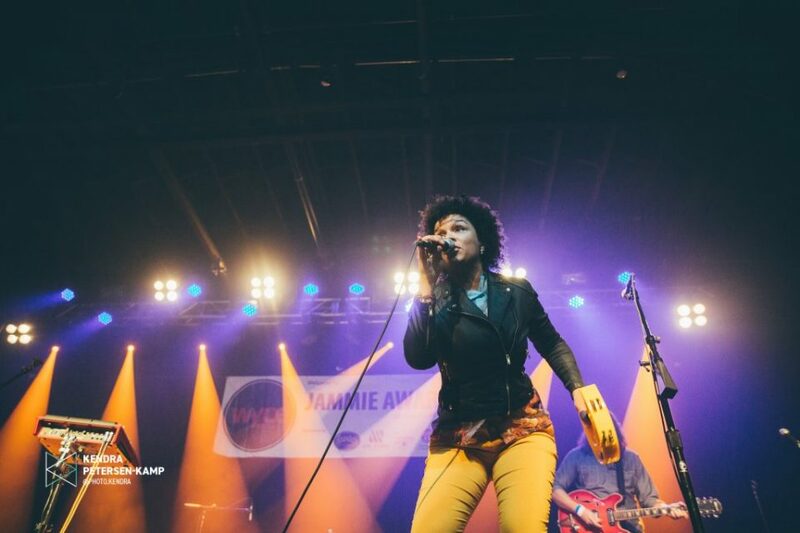 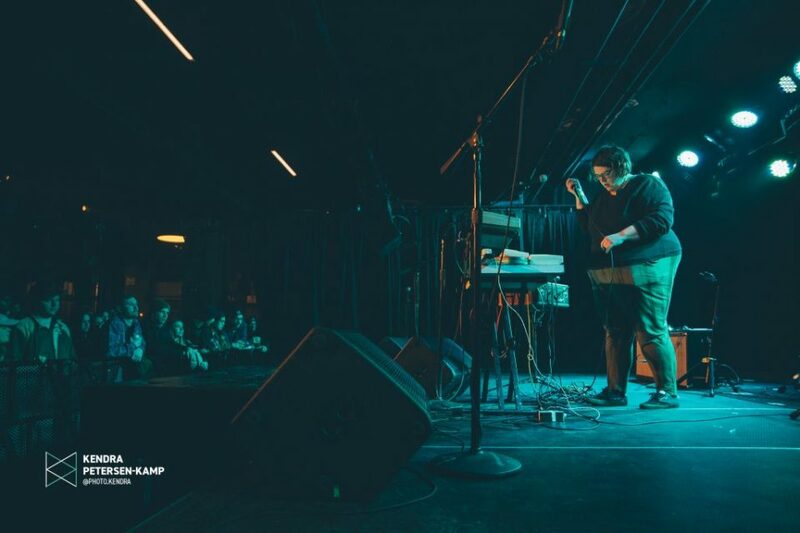 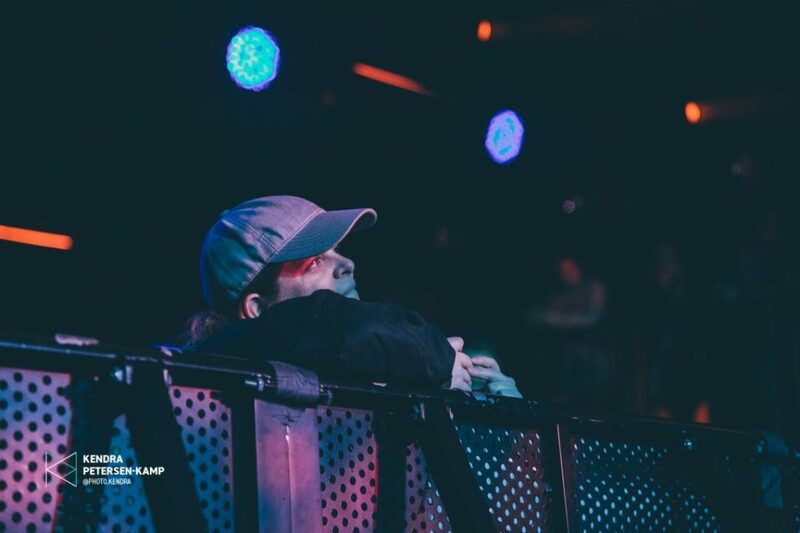 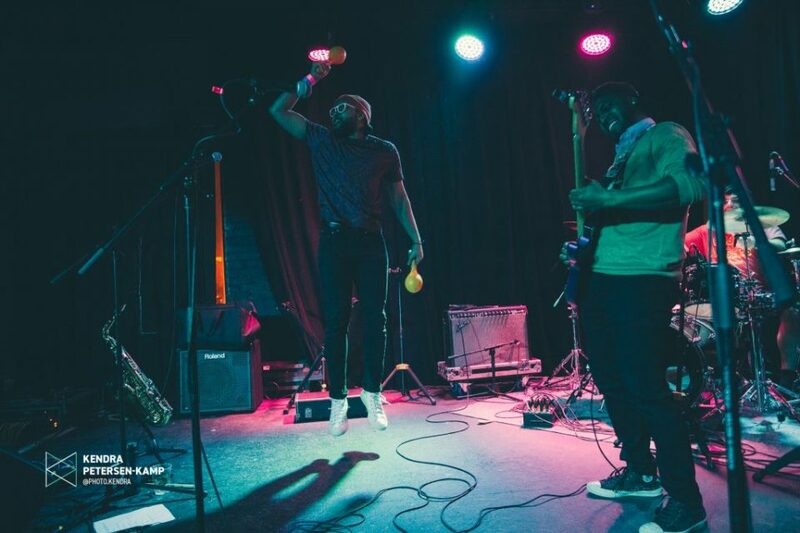 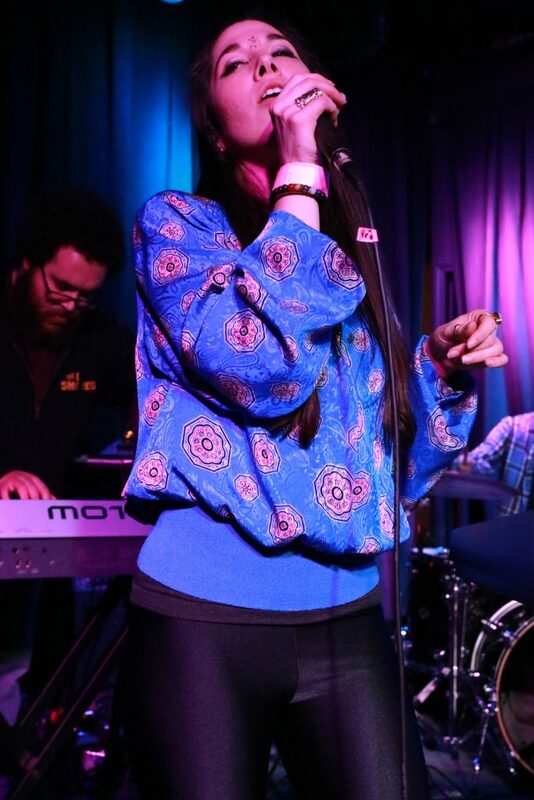 Highlights were plentiful, with heart-pumping sets on the main showroom stage by Jammie winners The War & Treaty, Tunde Olaniran, Lady Ace Boogie, Michigander and Roosevelt Diggs, as well as Heavy Color, Last Gasp Collective, Molly, Cabildo and Luke Winslow-King. 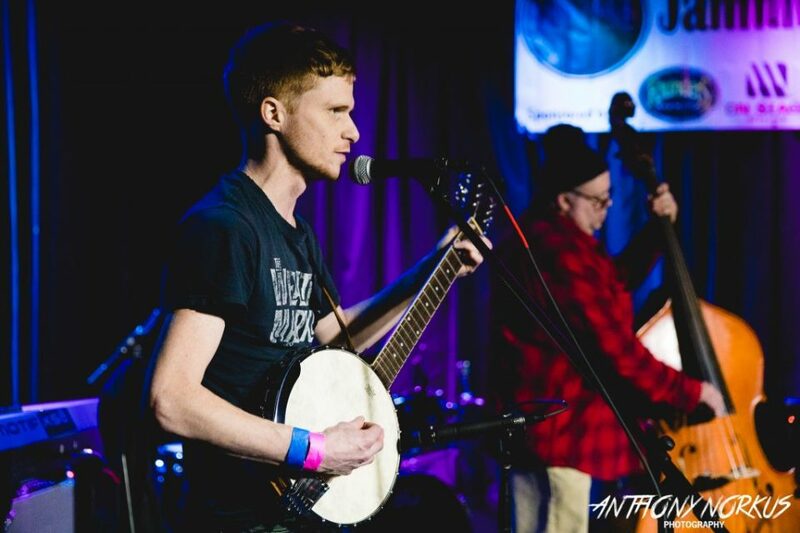 And the intimate Stache was packed to the gills all night, finishing off with rollicking flourishes by Tom Hymn, KJ & The Good Time Family Band, Earth Radio and the aforementioned Hacky Turtles. 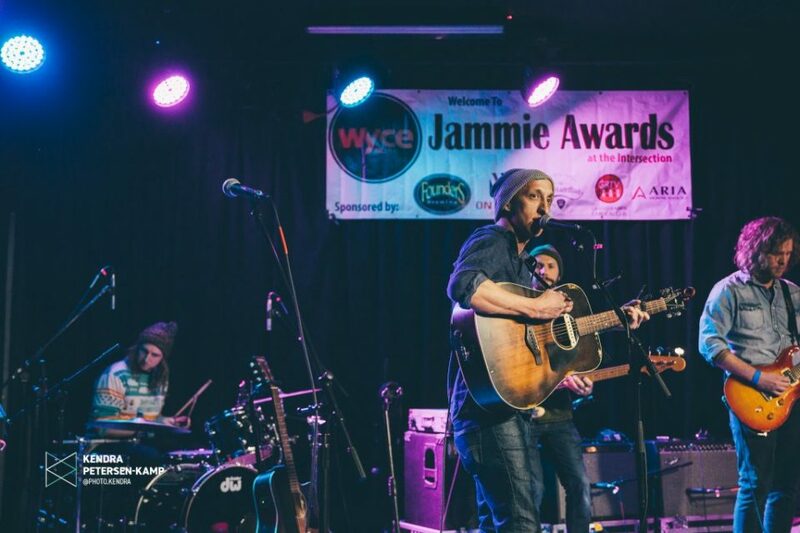 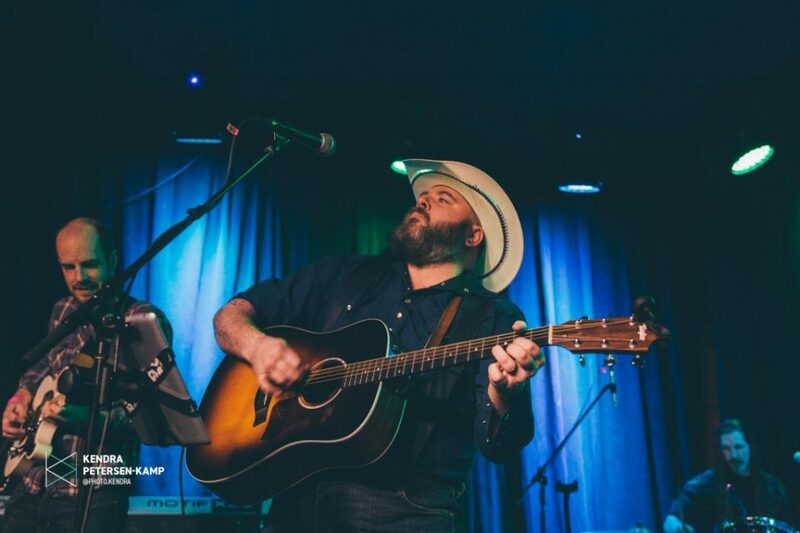 Making his Jammies debut, Michigander’s Jason Singer made a splash with a number of award wins for his album “Midland.” “I’ve never won an award for anything ever…except maybe class clown. 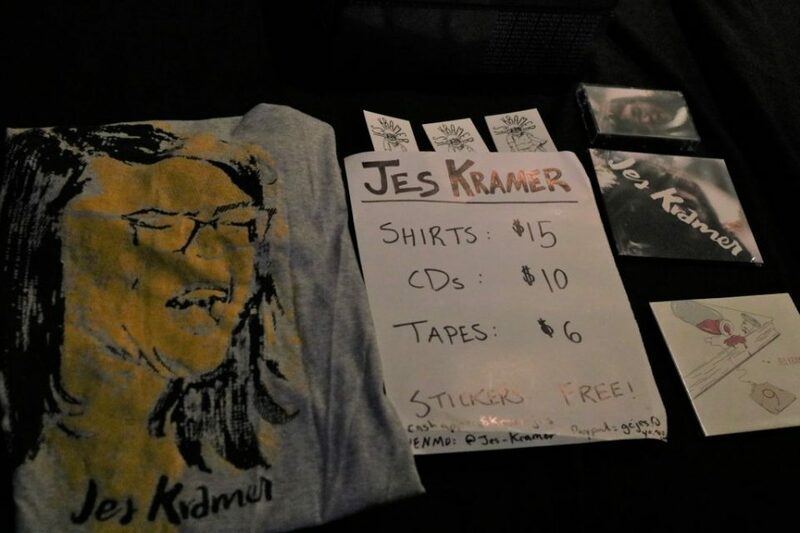 So this is cool. 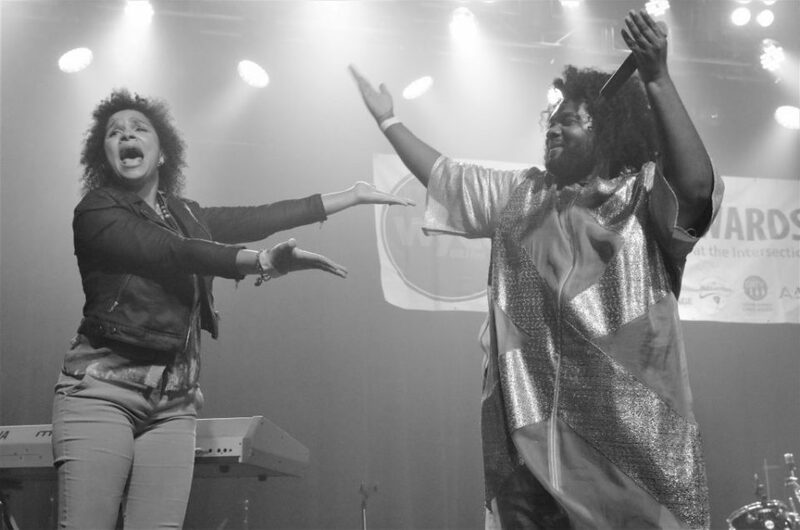 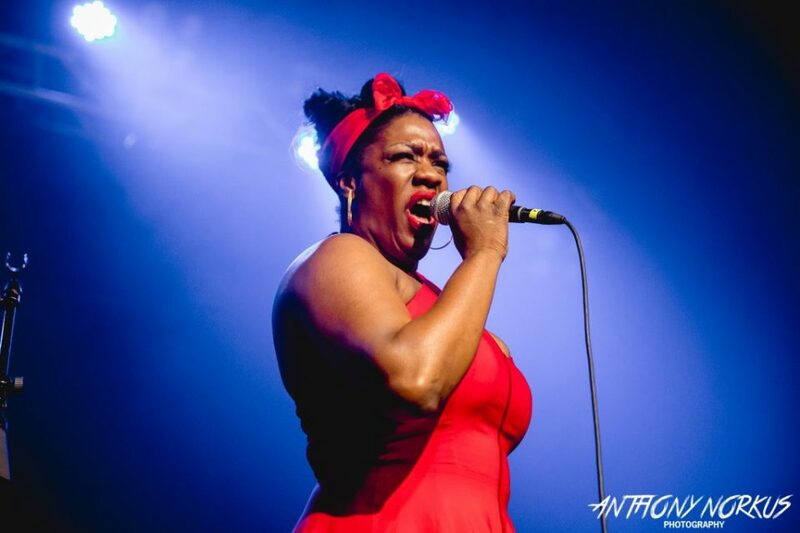 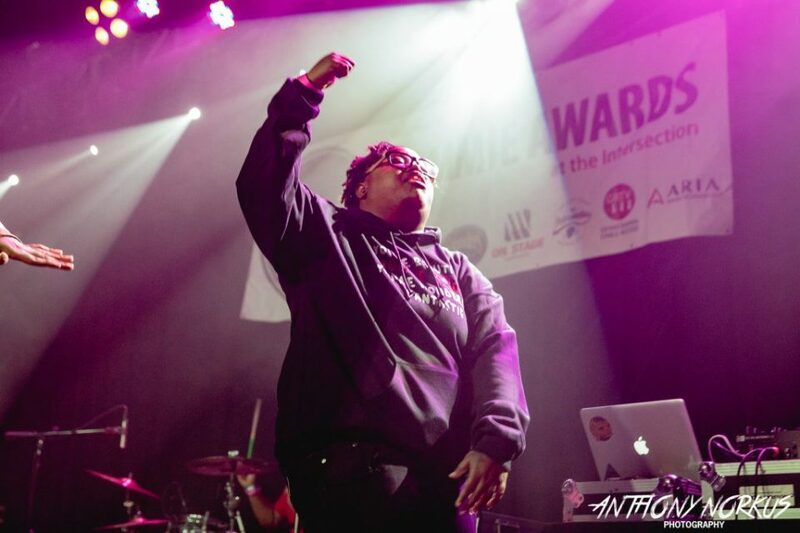 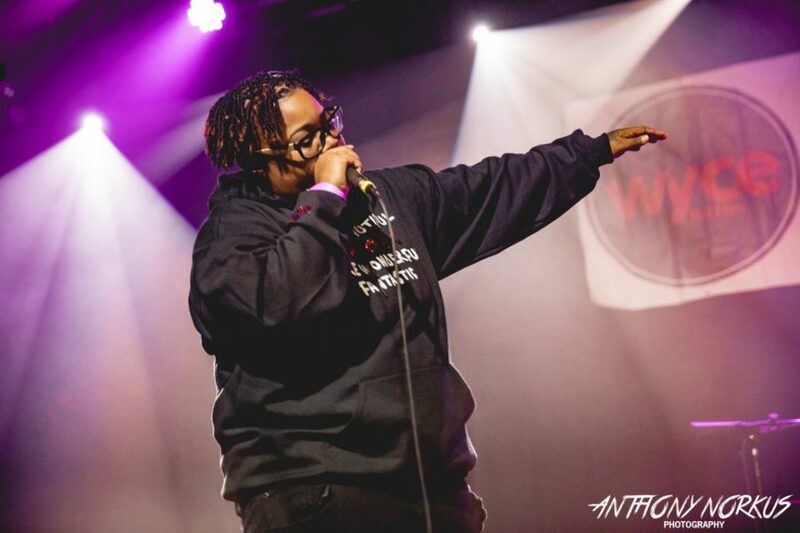 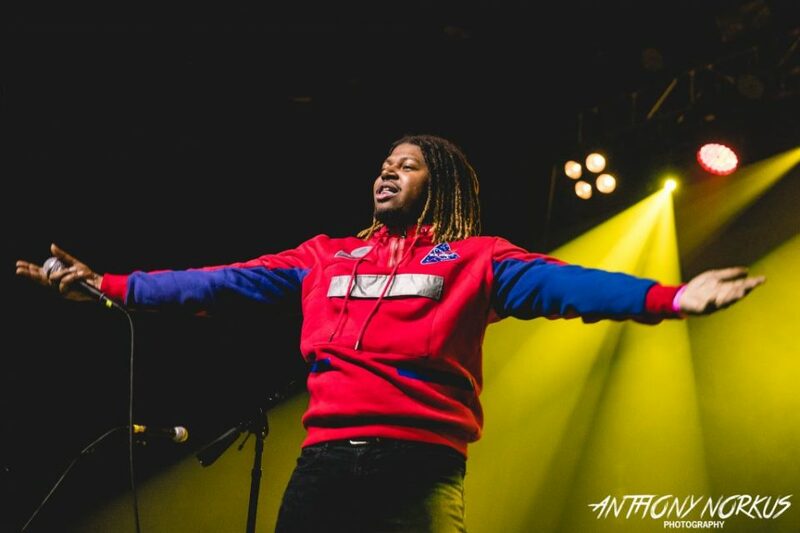 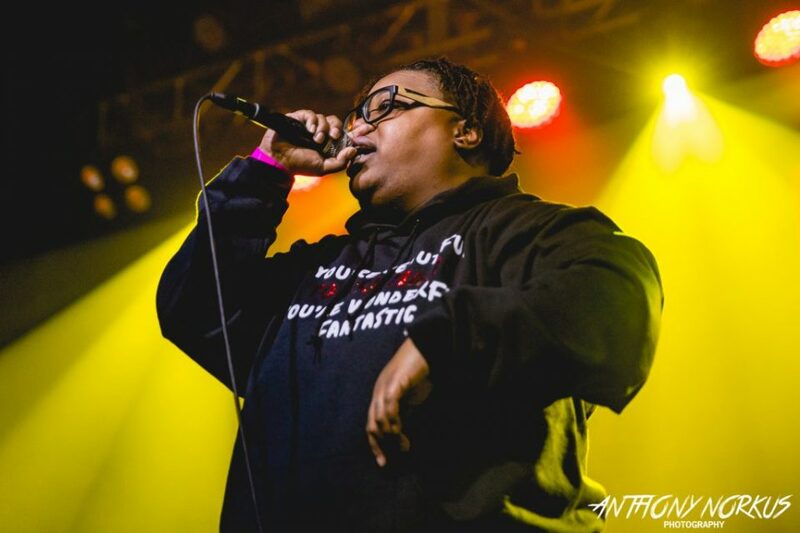 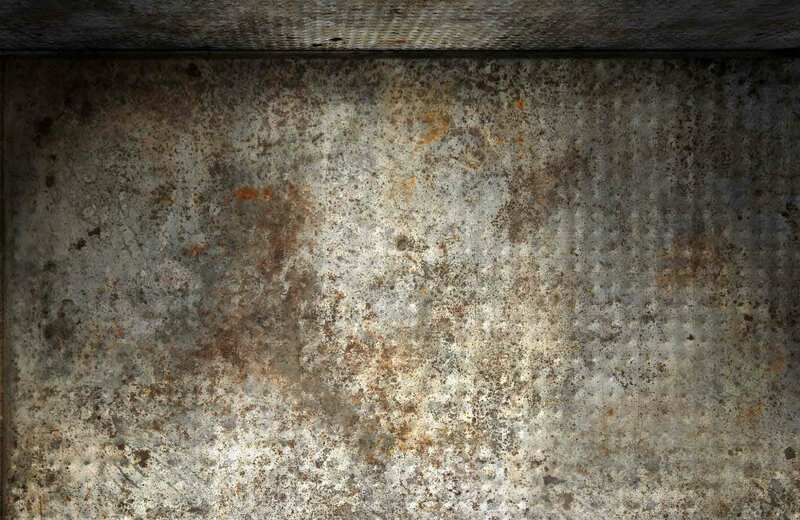 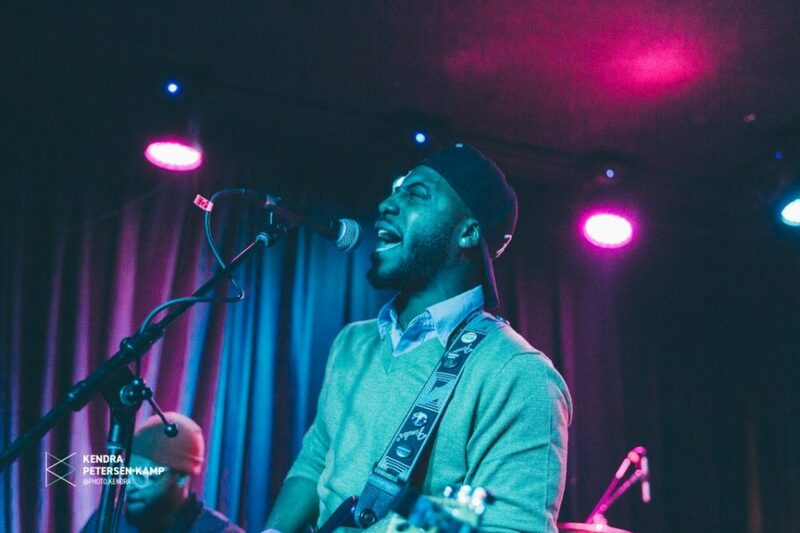 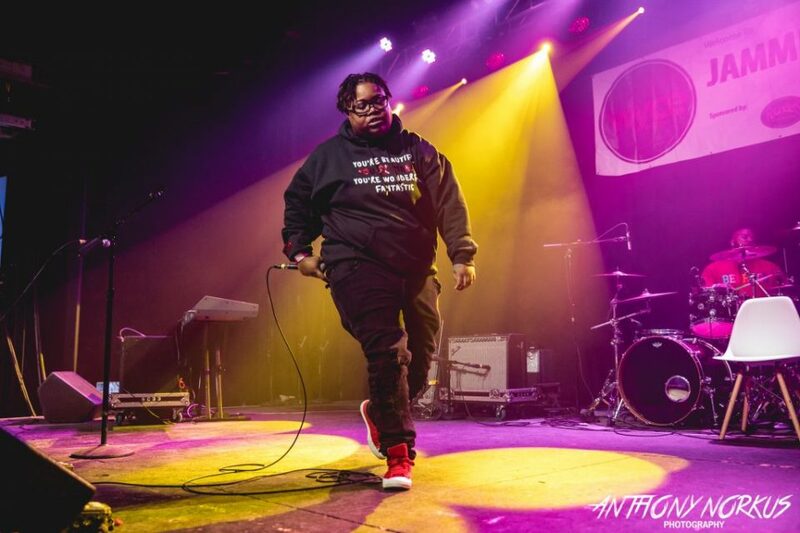 It’s cool to be recognized by anyone,” said Singer, currently based in Kalamazoo. 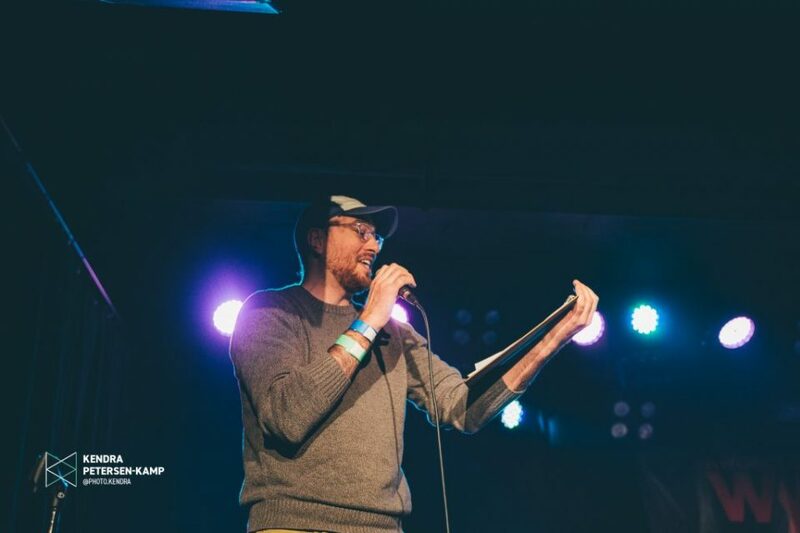 “It’s always felt very welcoming here in Grand Rapids, even since the beginning. 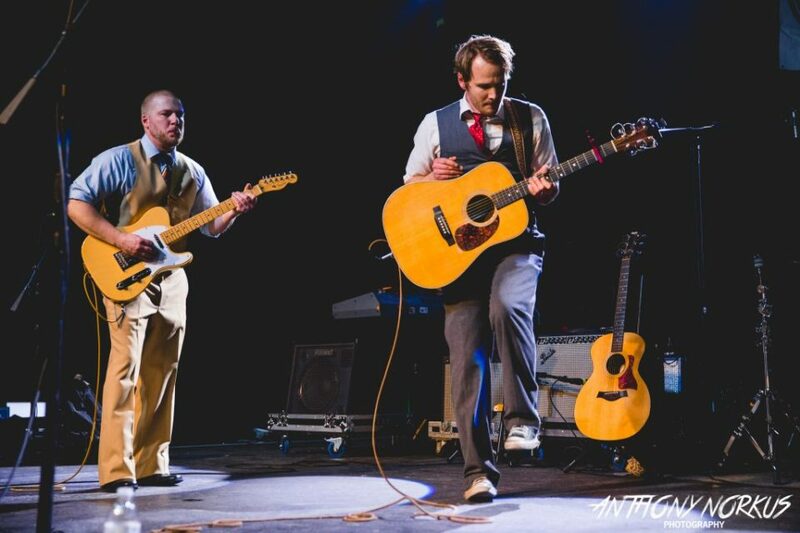 Perhaps the the best performance of the evening came with Americana-soul duo, The War and Treaty, on the main stage. 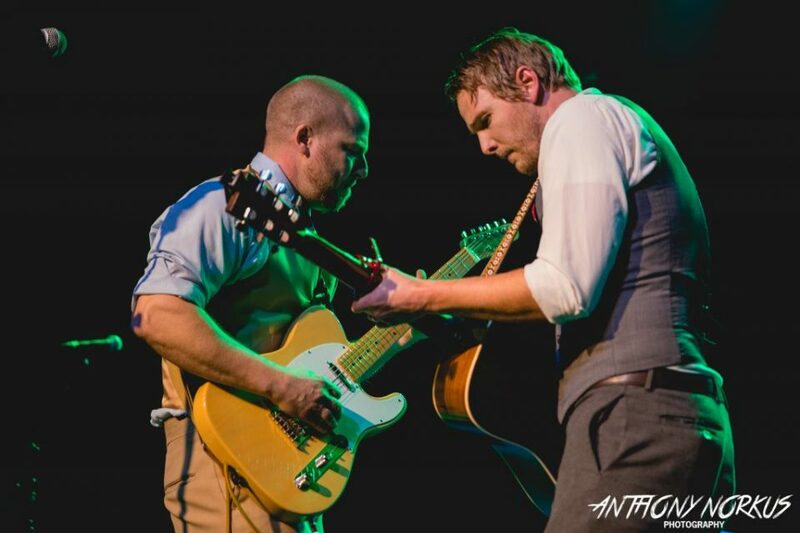 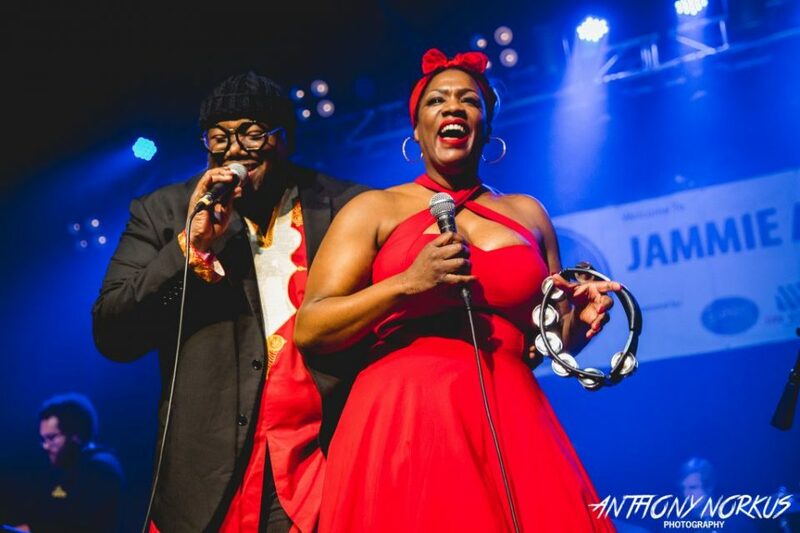 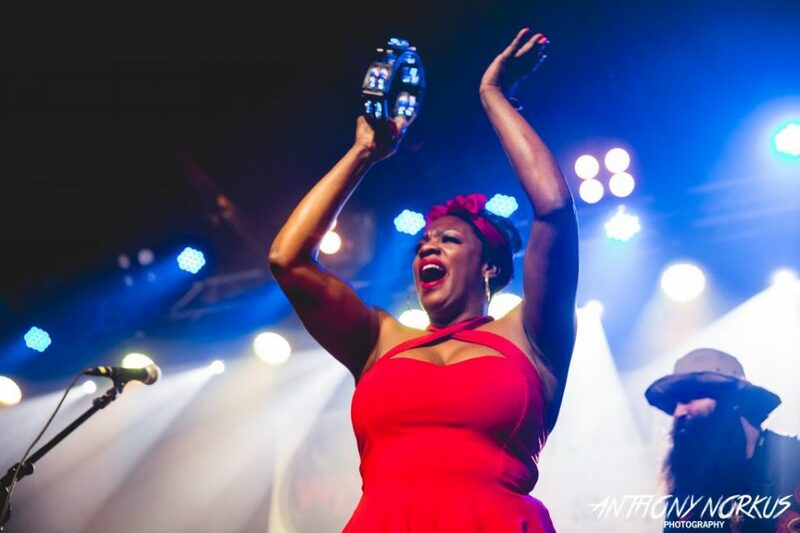 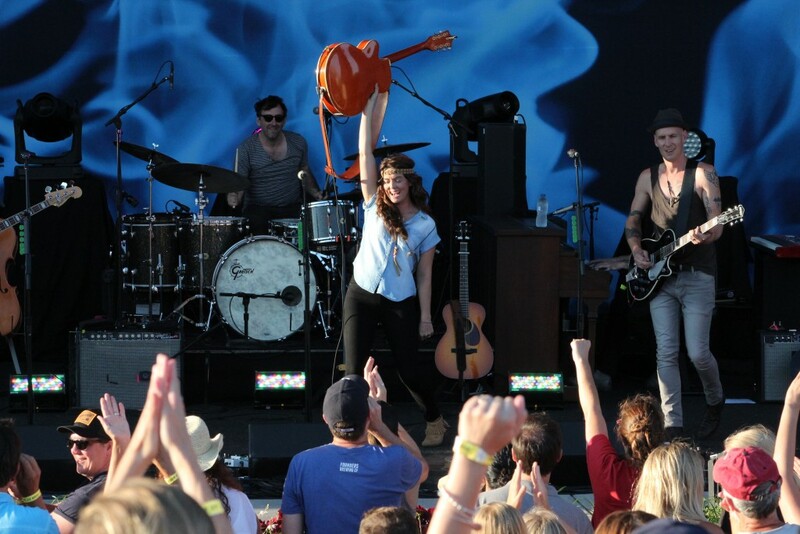 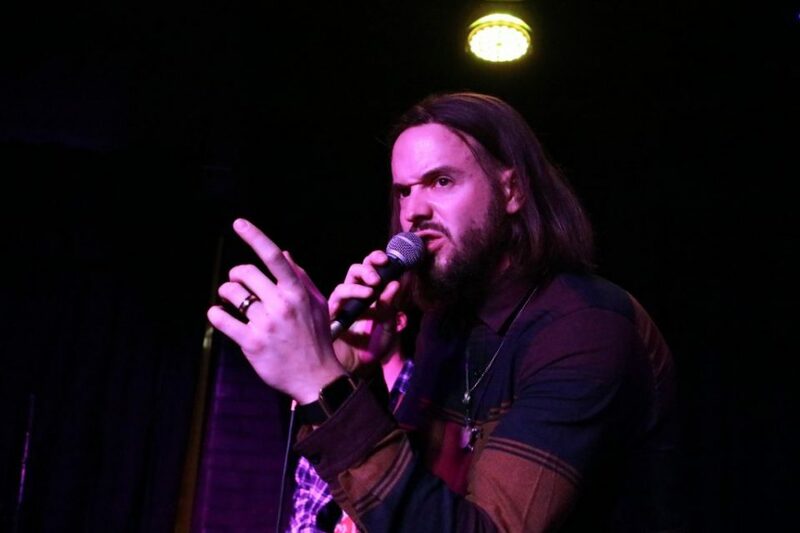 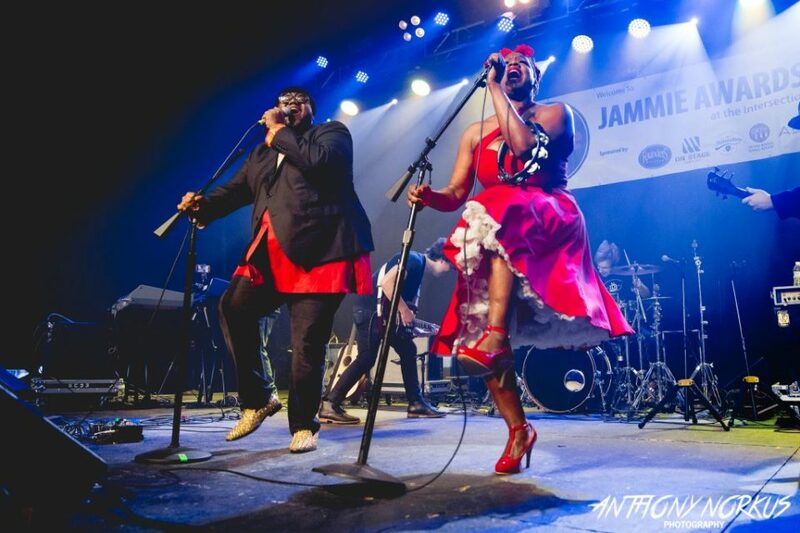 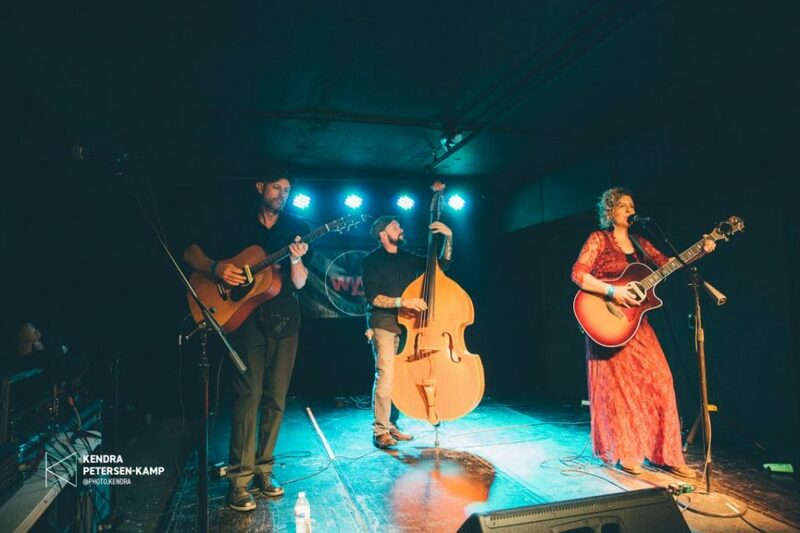 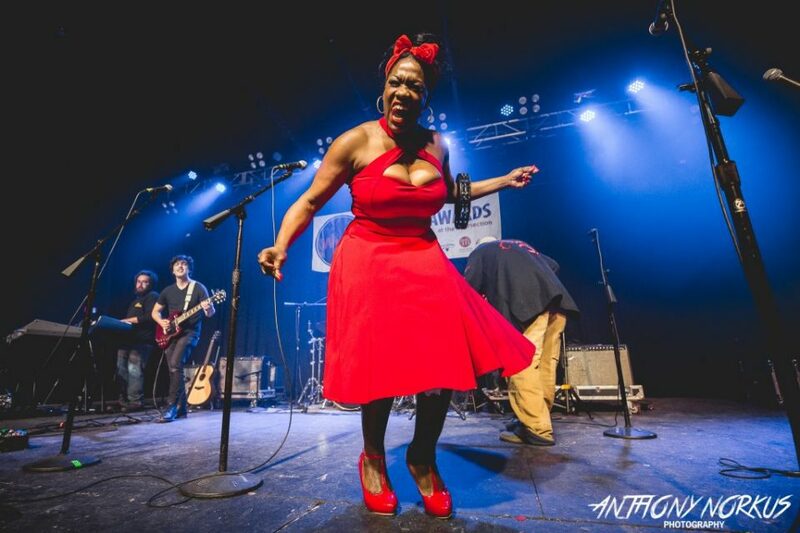 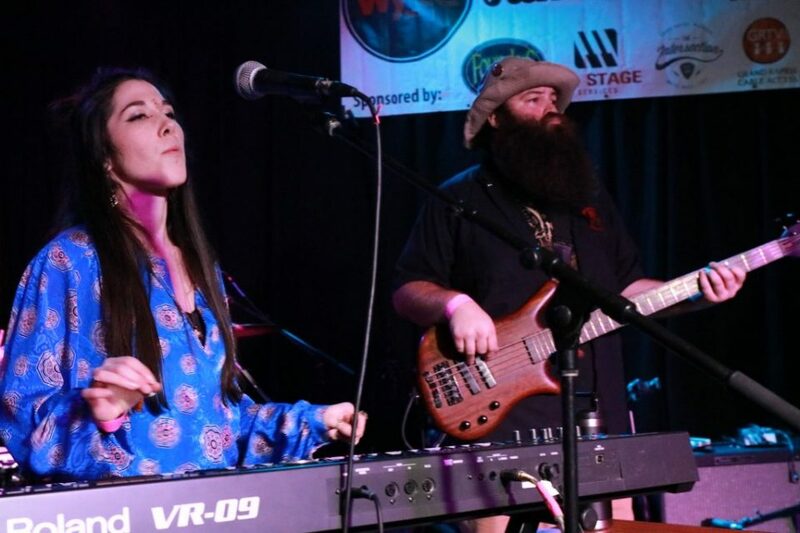 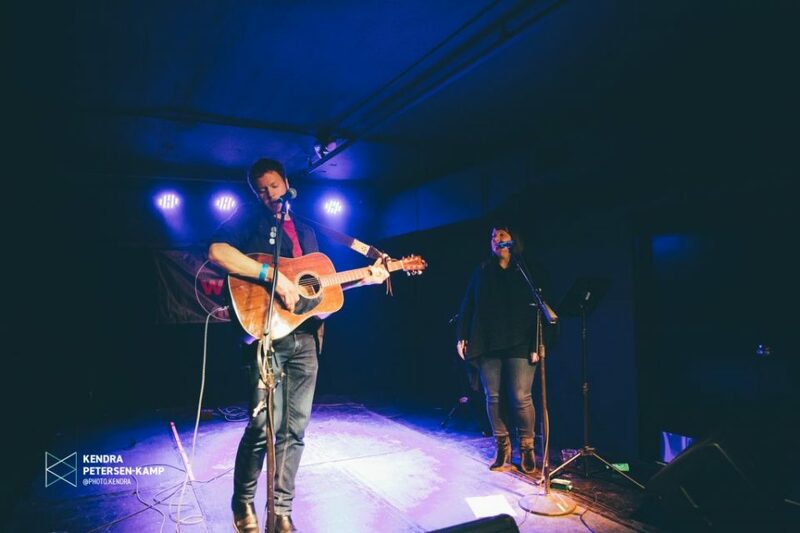 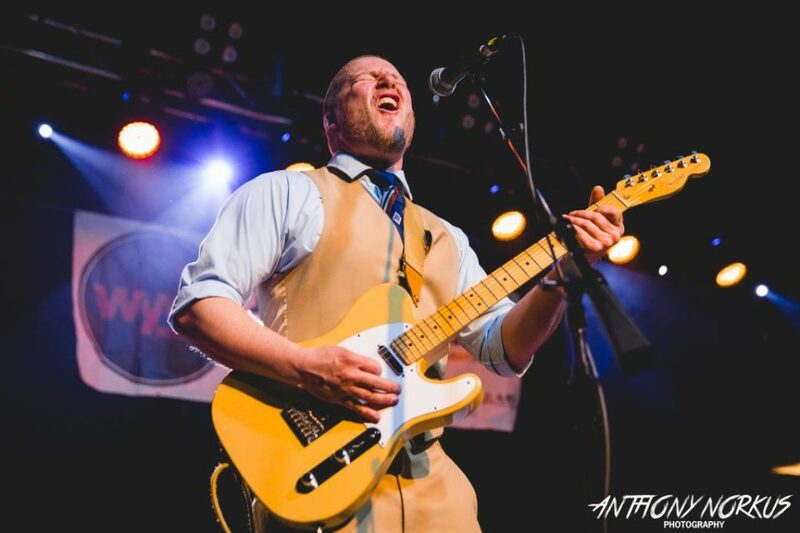 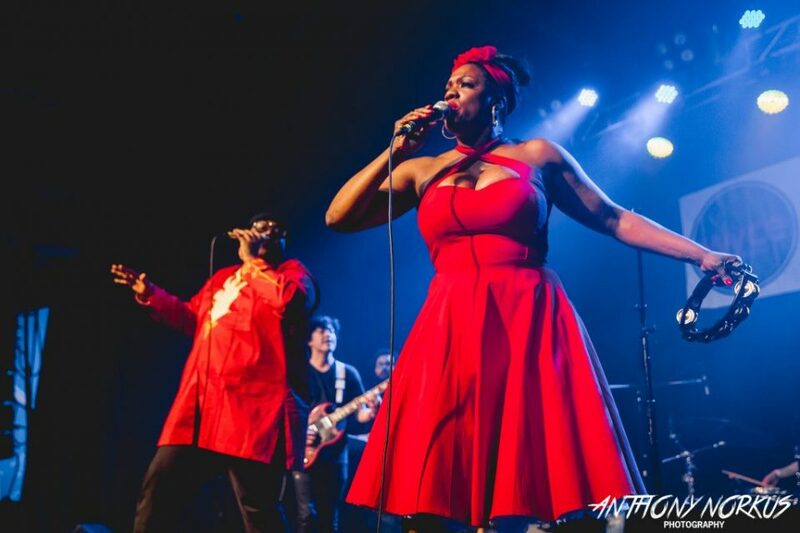 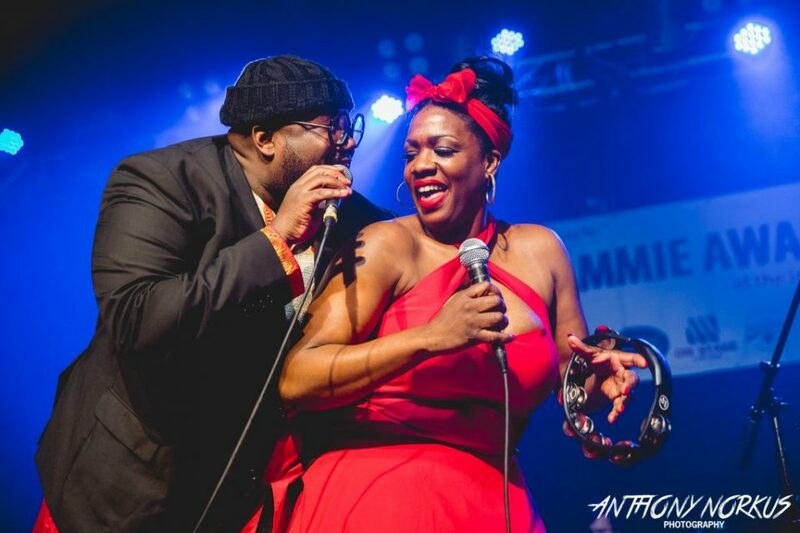 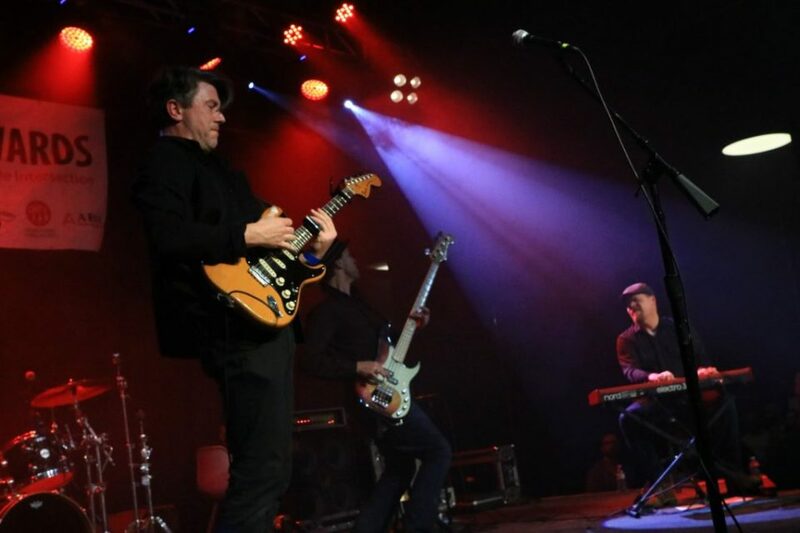 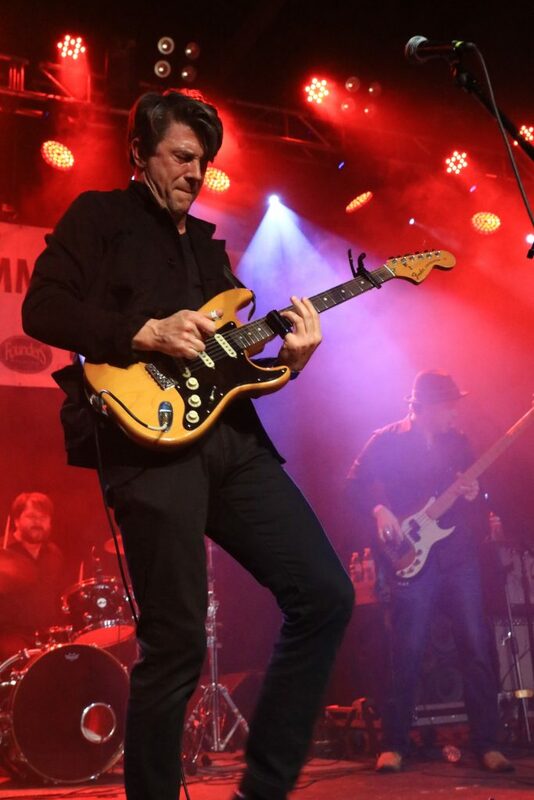 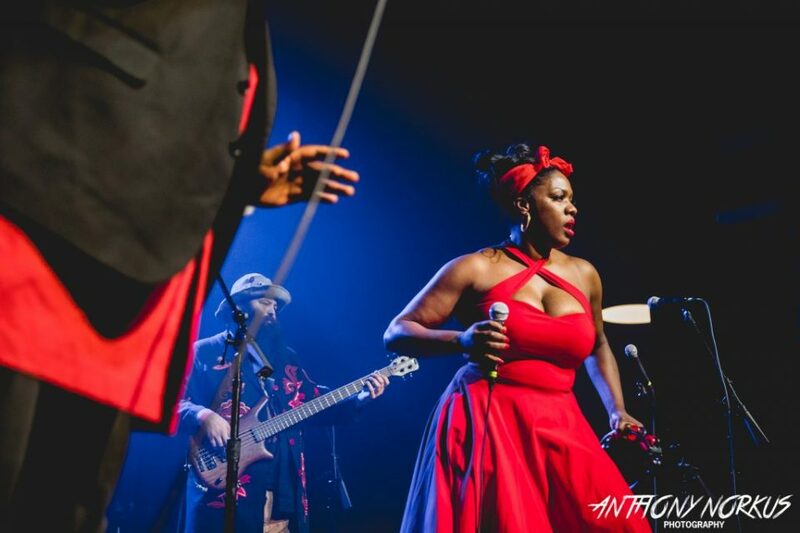 Backed by a full band of West Michigan natives, the powerhouse couple gave a rip-roaring performance of epic proportions, showcasing extraordinary energy and vocal performance with ease and style. 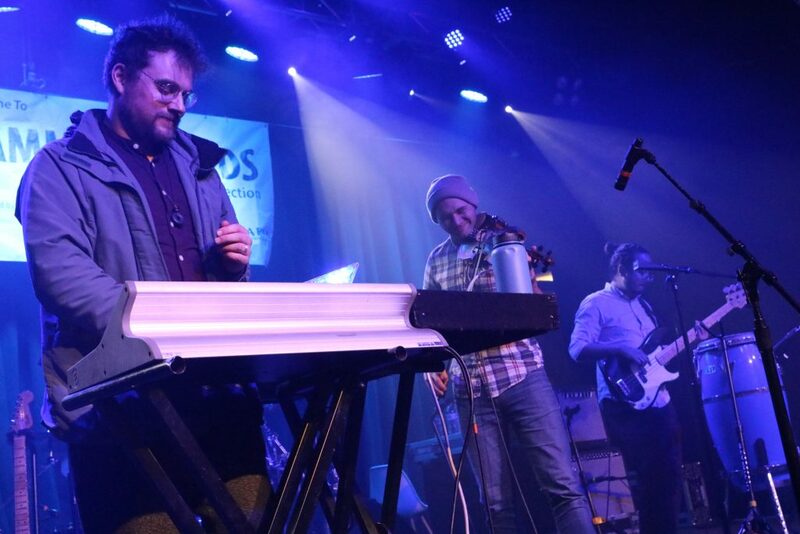 Another standout performance came at the conclusion of the evening with The Hacky Turtles. 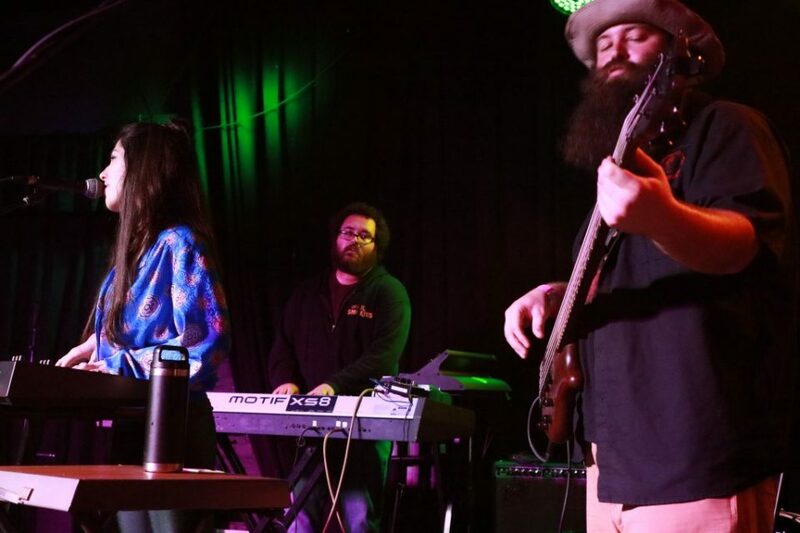 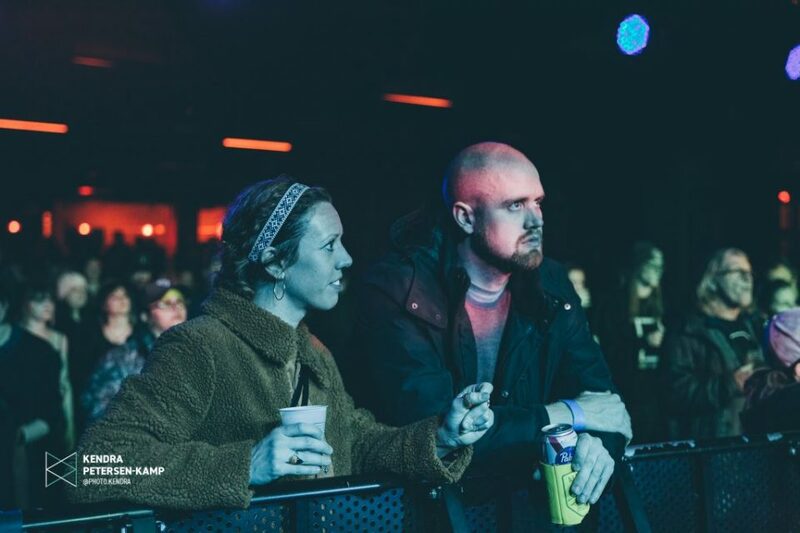 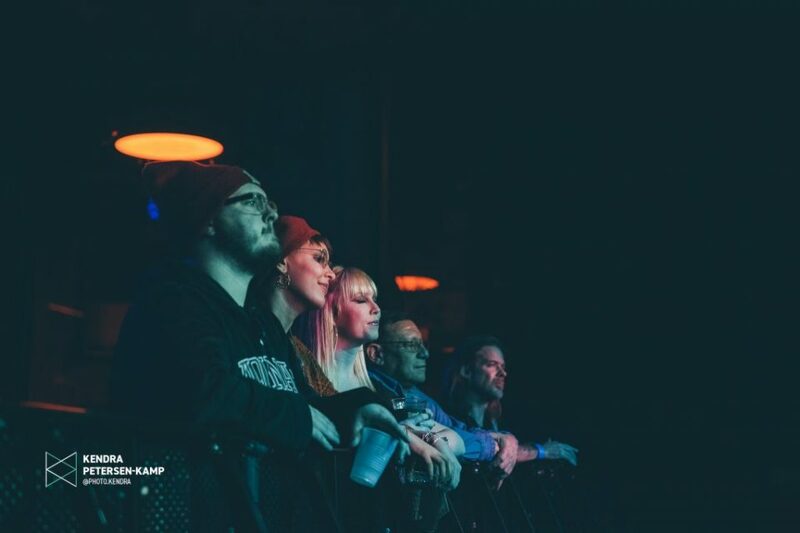 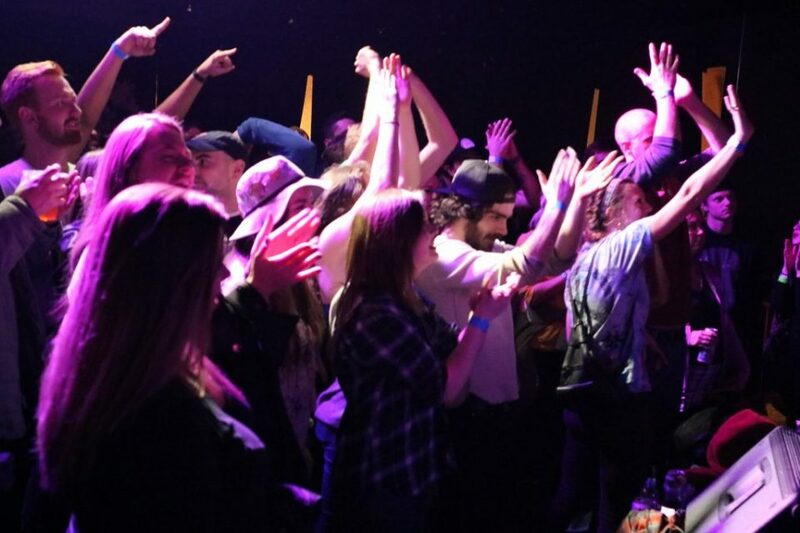 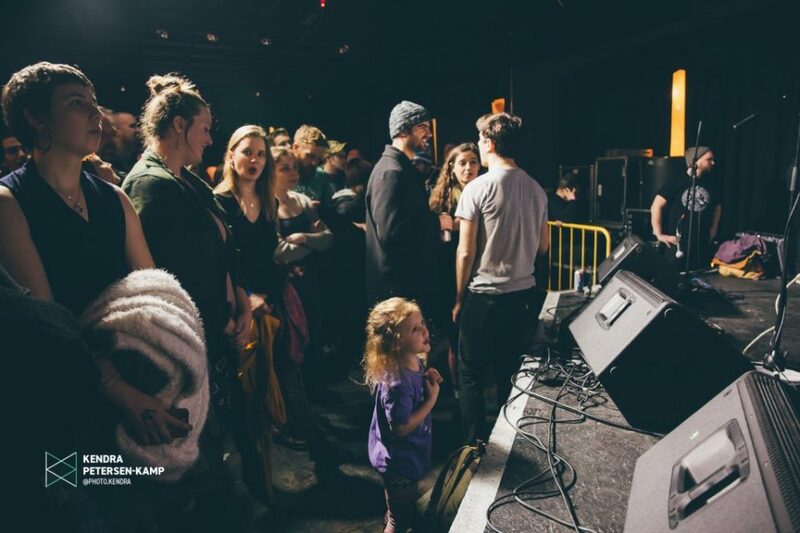 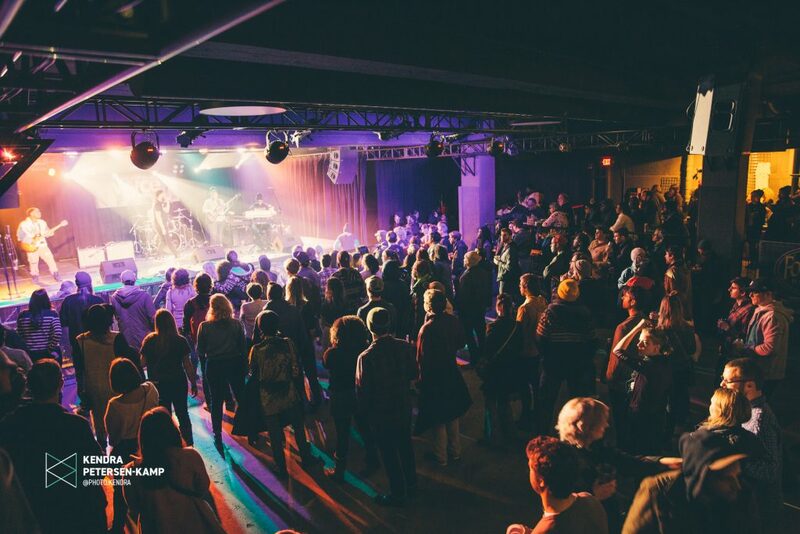 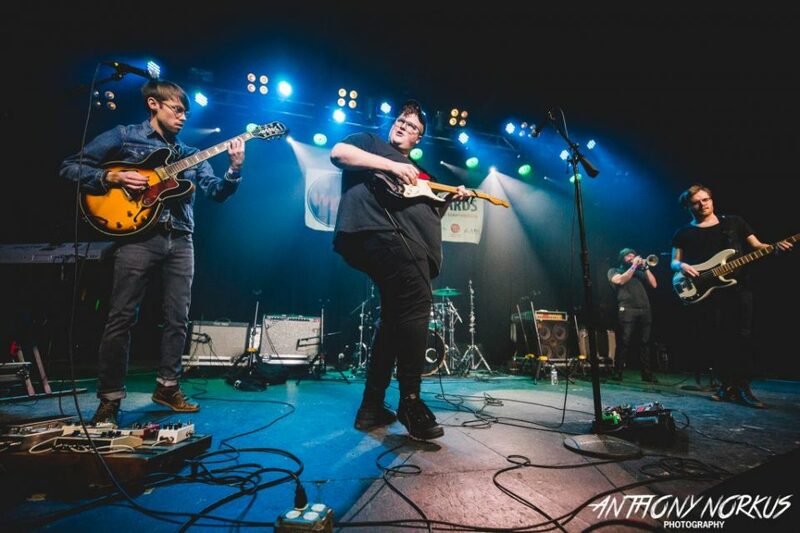 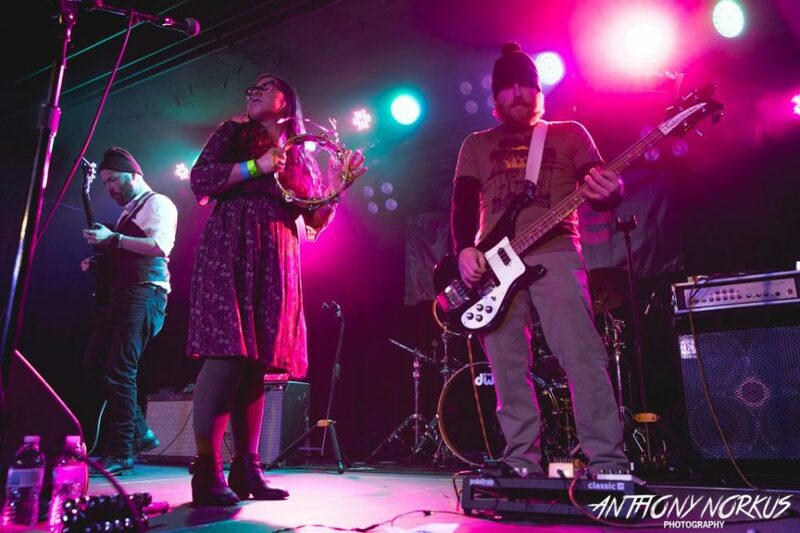 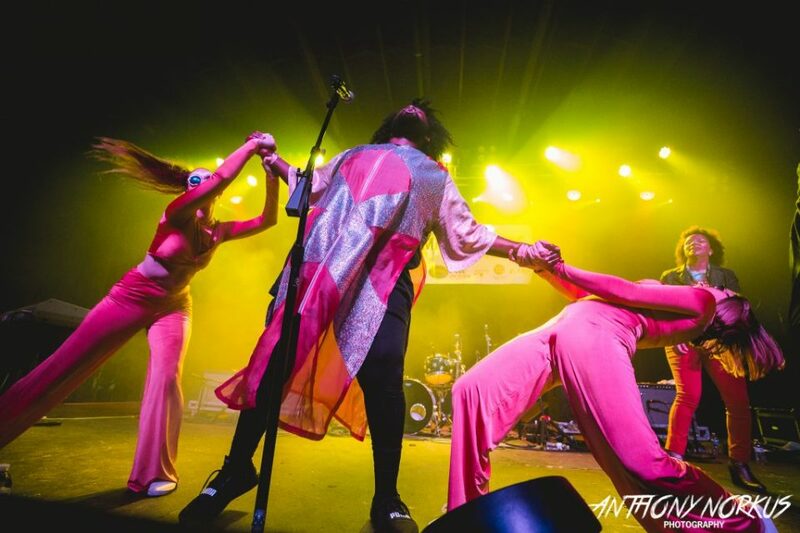 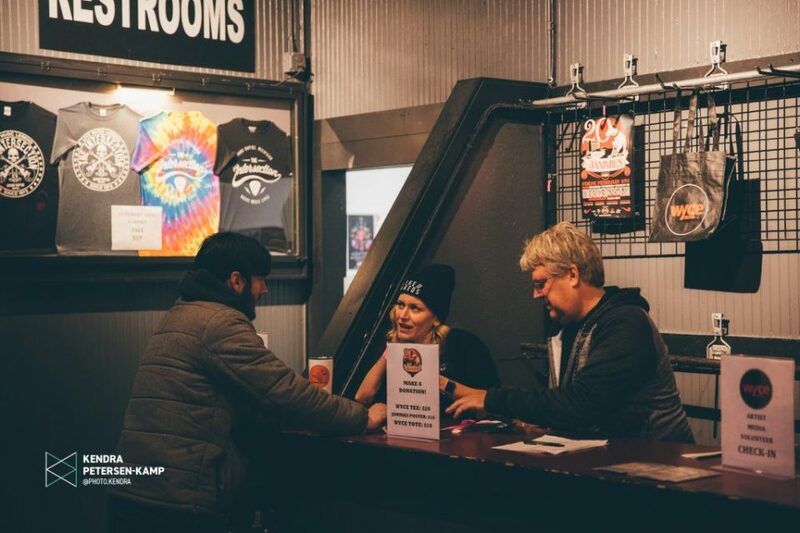 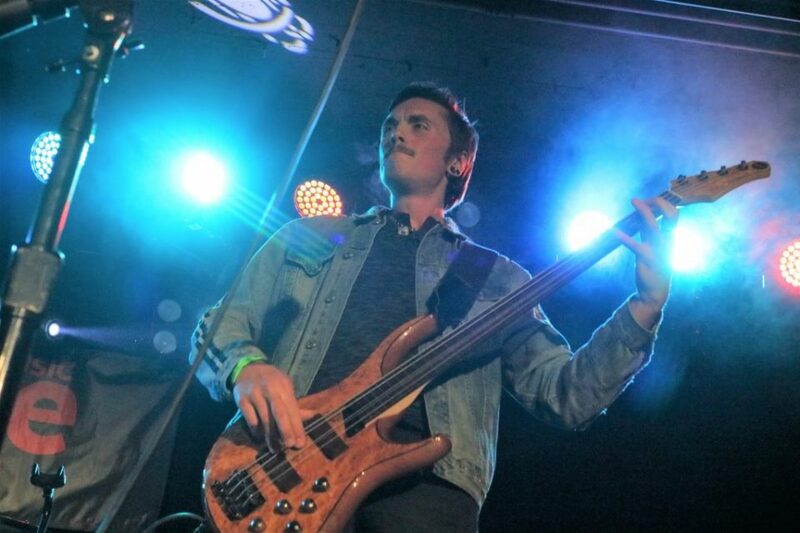 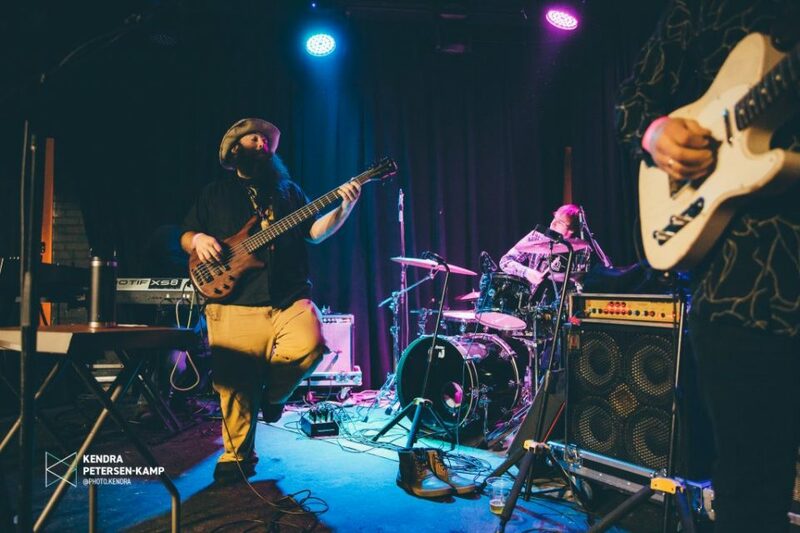 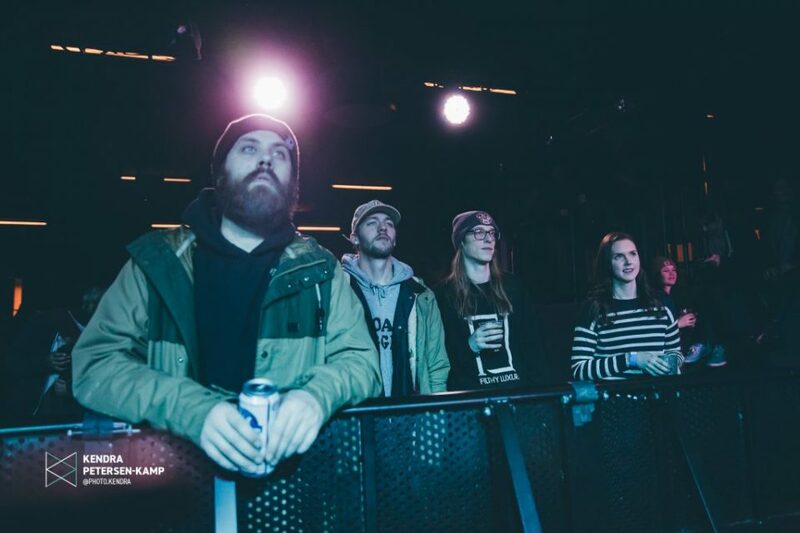 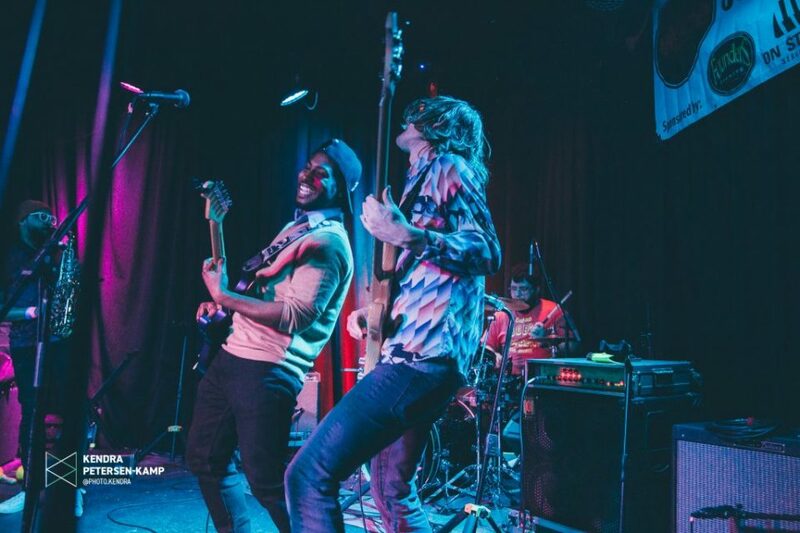 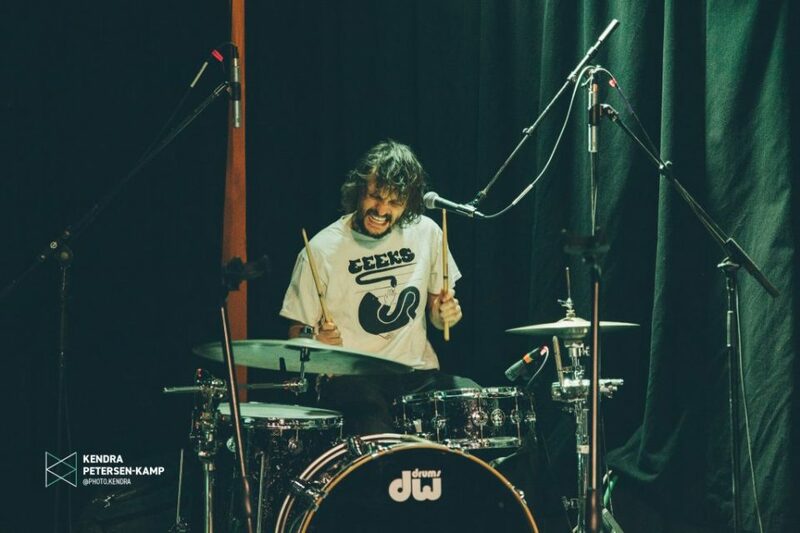 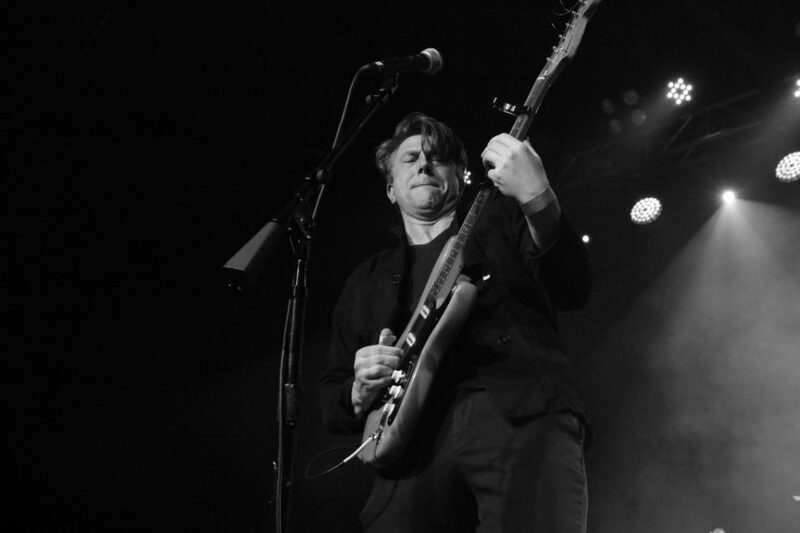 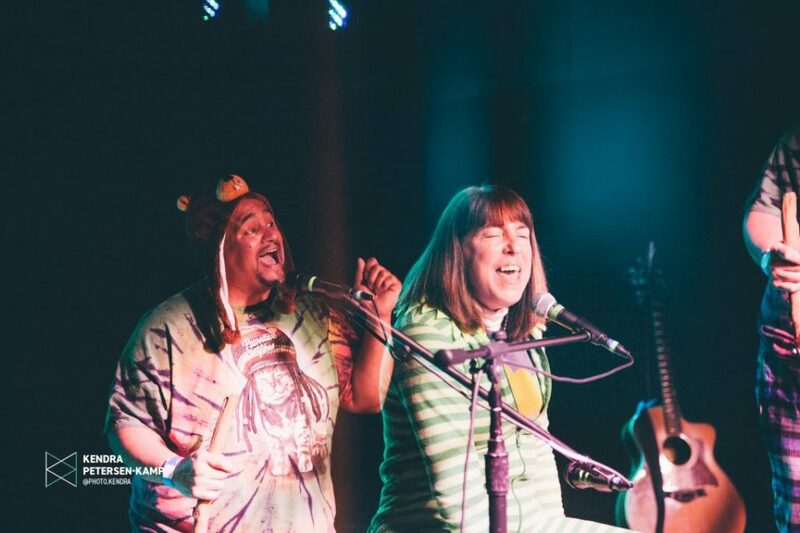 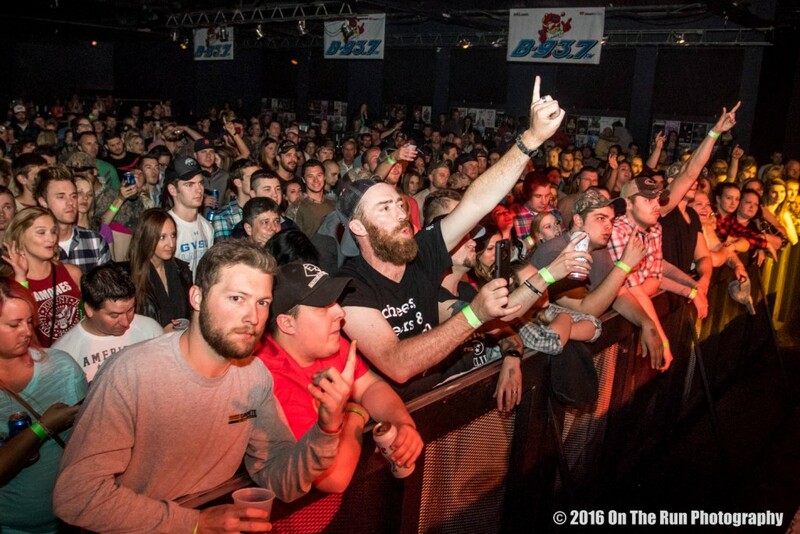 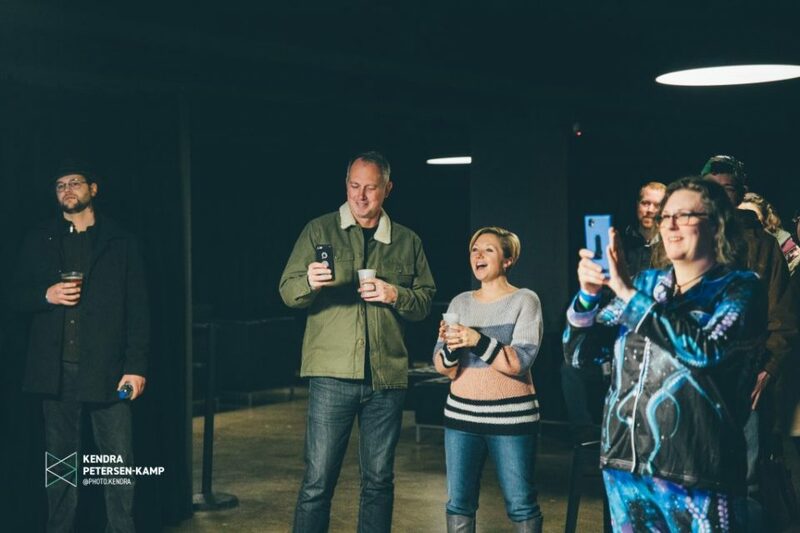 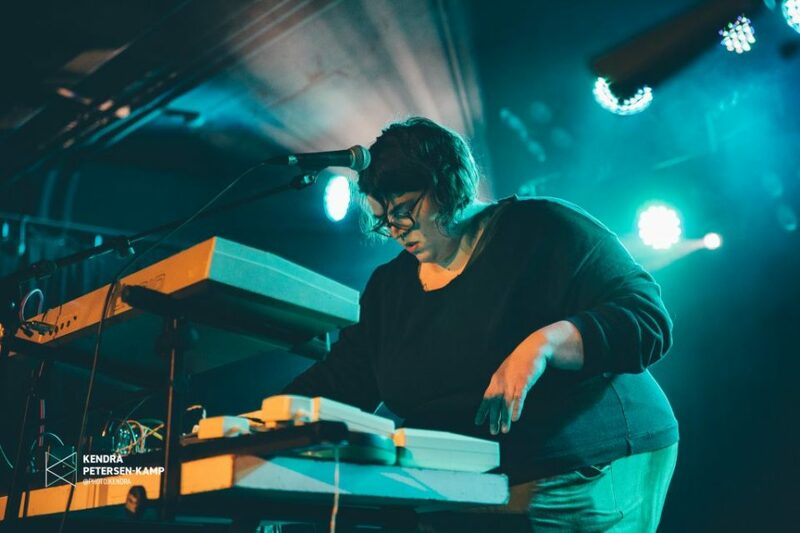 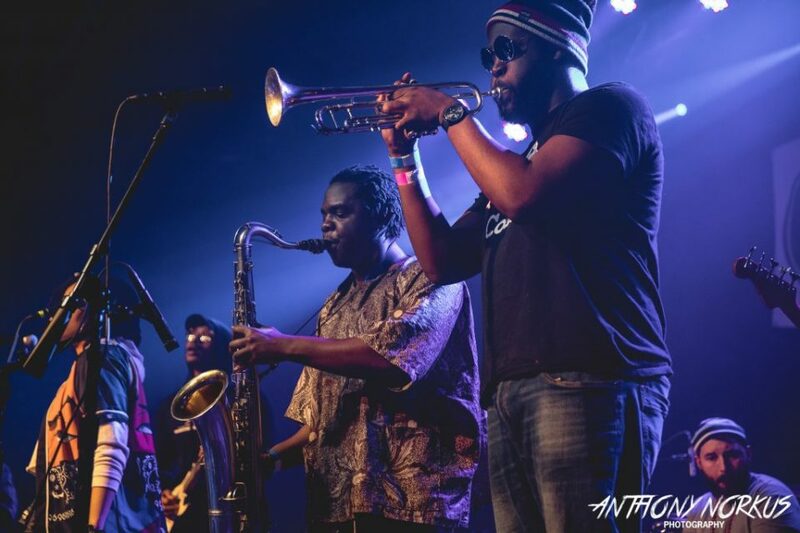 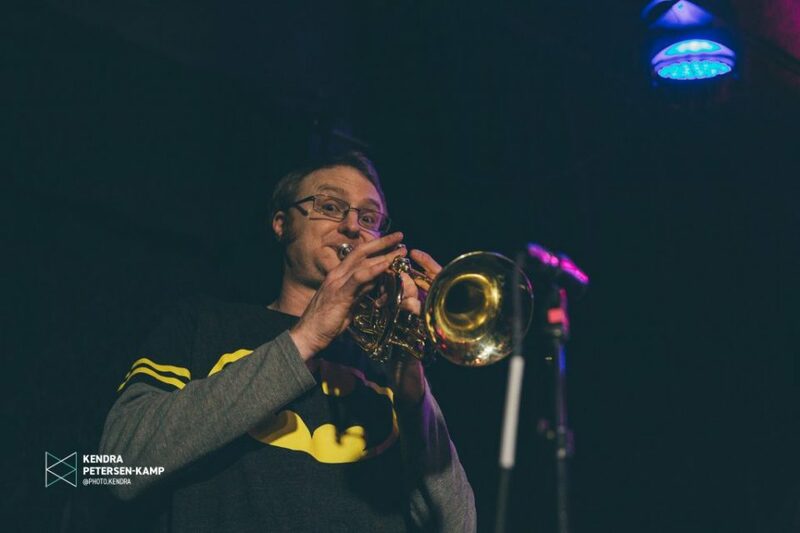 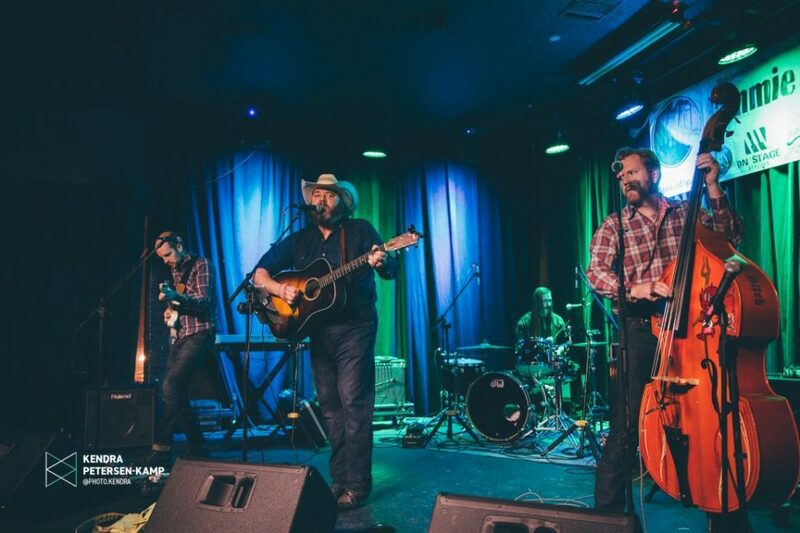 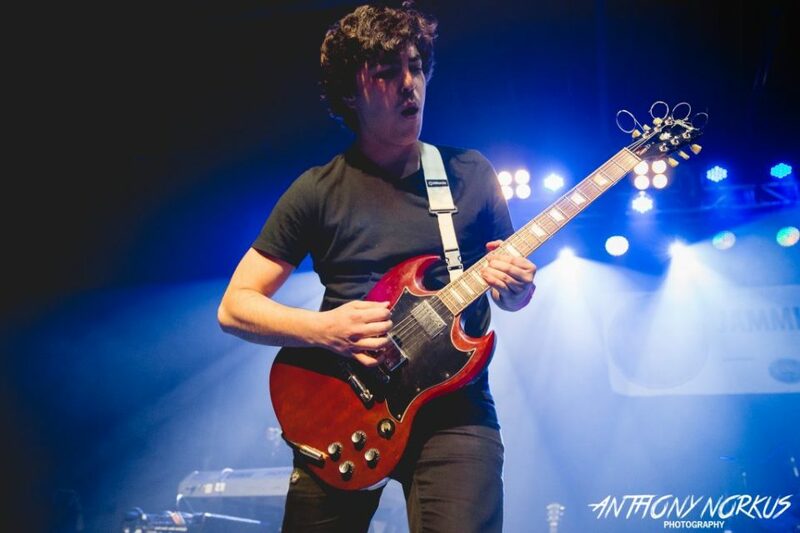 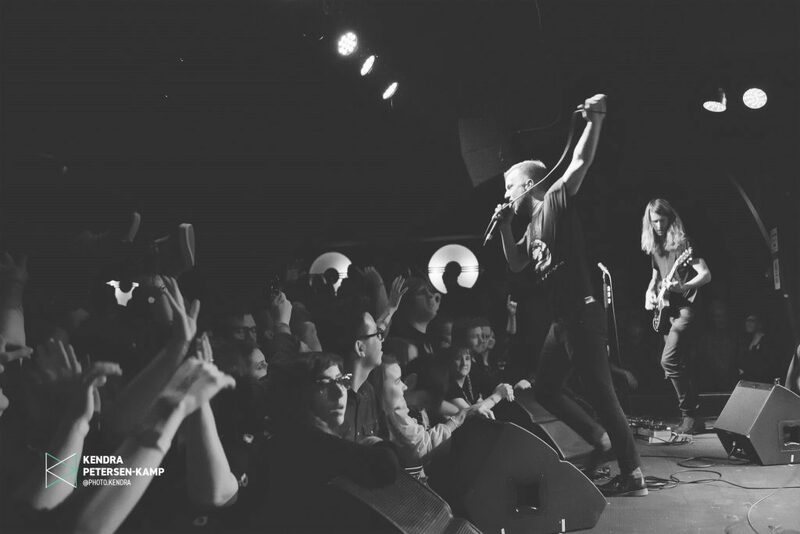 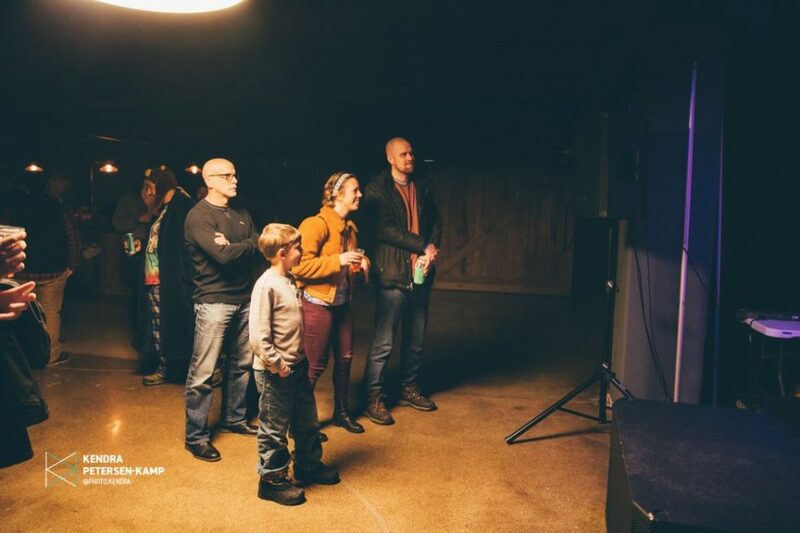 Fans crowded into The Stache and danced the night away as the lively Grand Rapids band spun through a groovy catalog that inspired flailing dance moves and eruptive cheers. 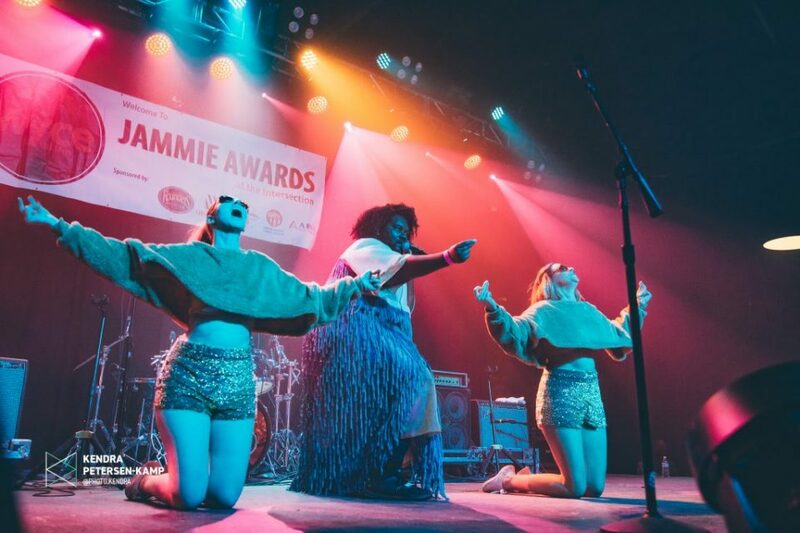 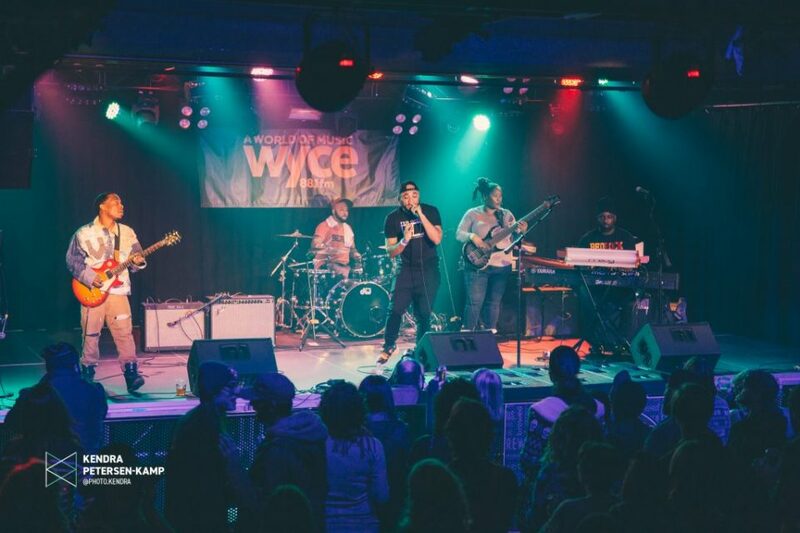 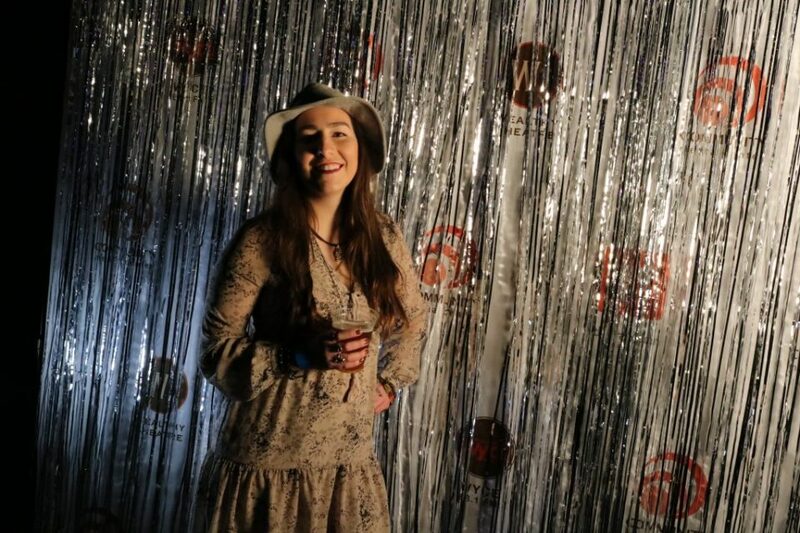 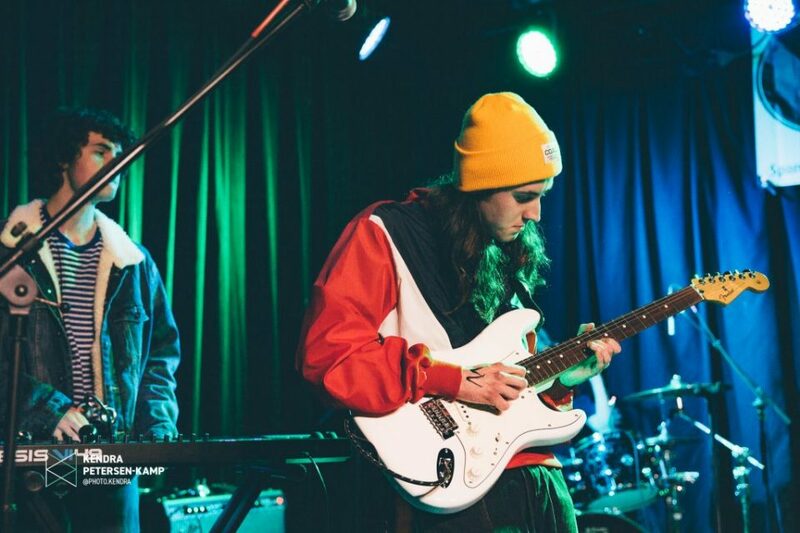 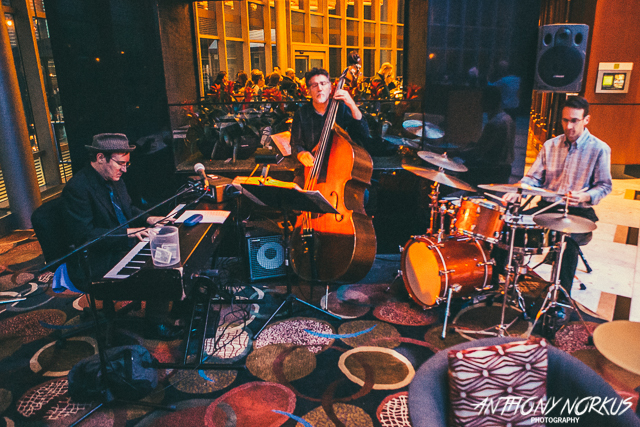 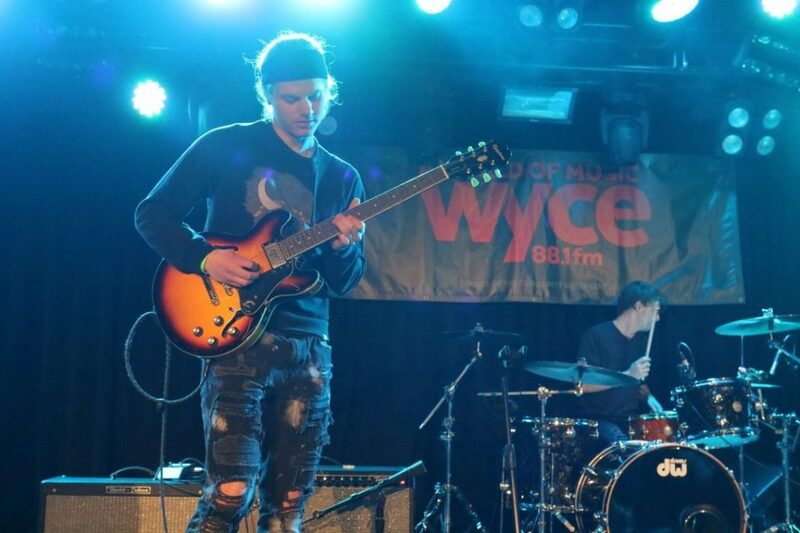 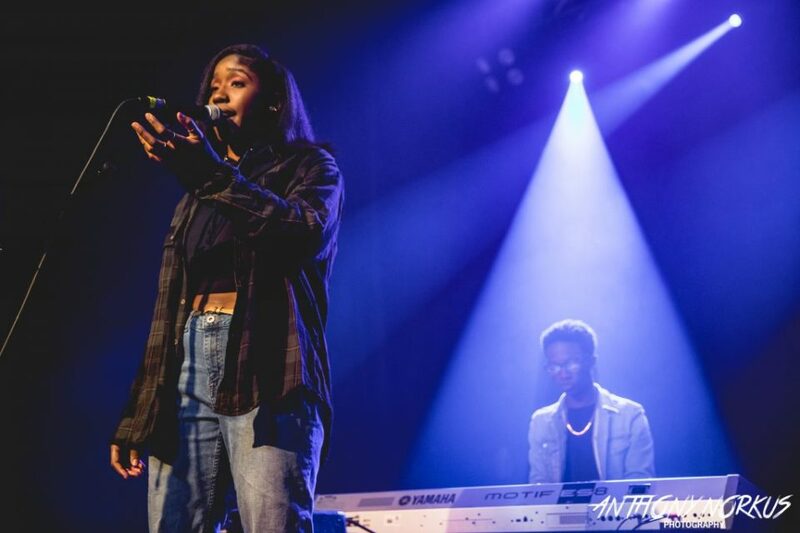 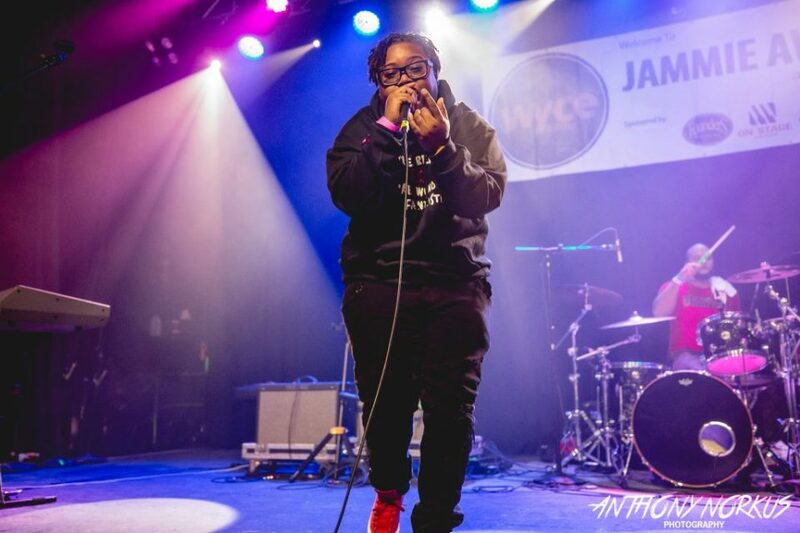 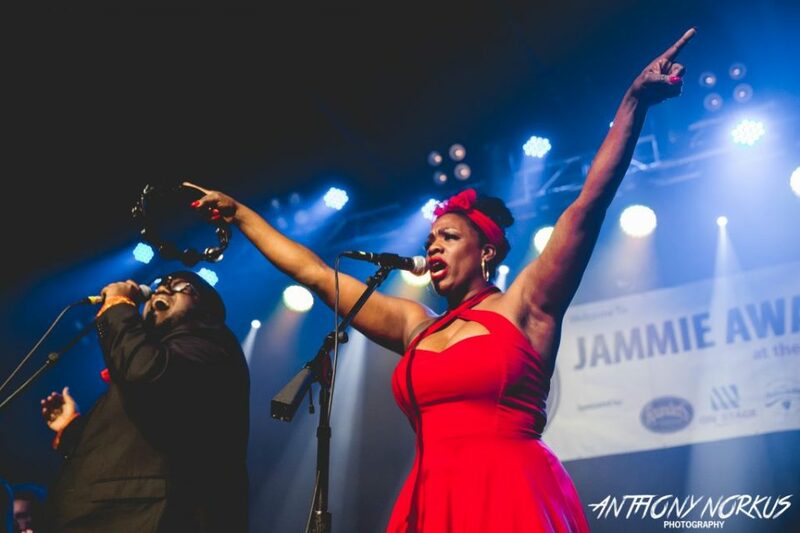 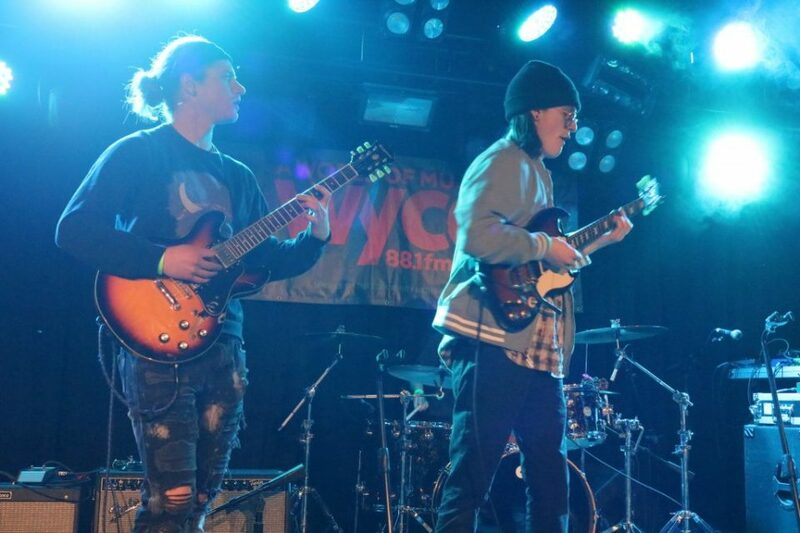 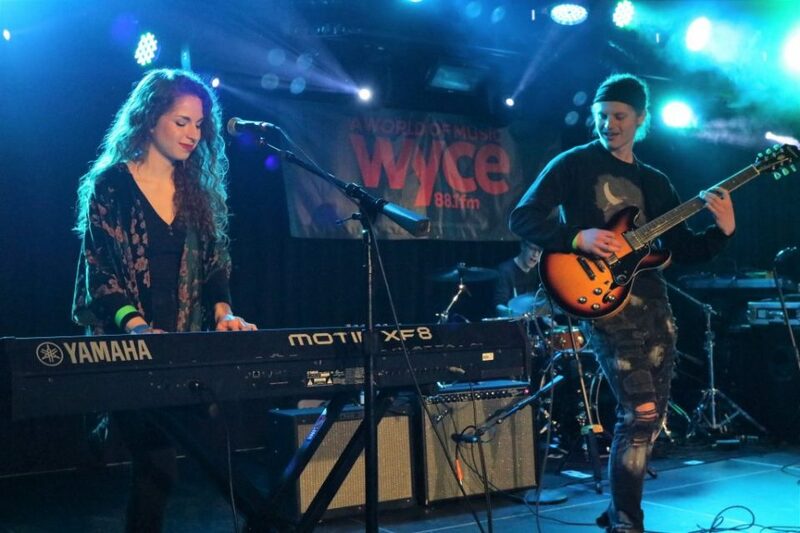 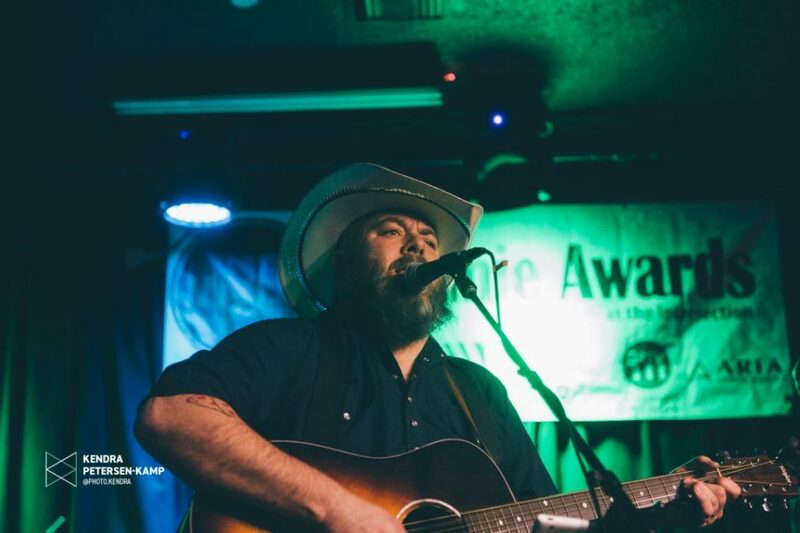 When The Intersection’s doors opened for WYCE’s 20th Jammie Awards and attendees made their way into the venue, there was an unmistakable anticipation for the music that was to come. 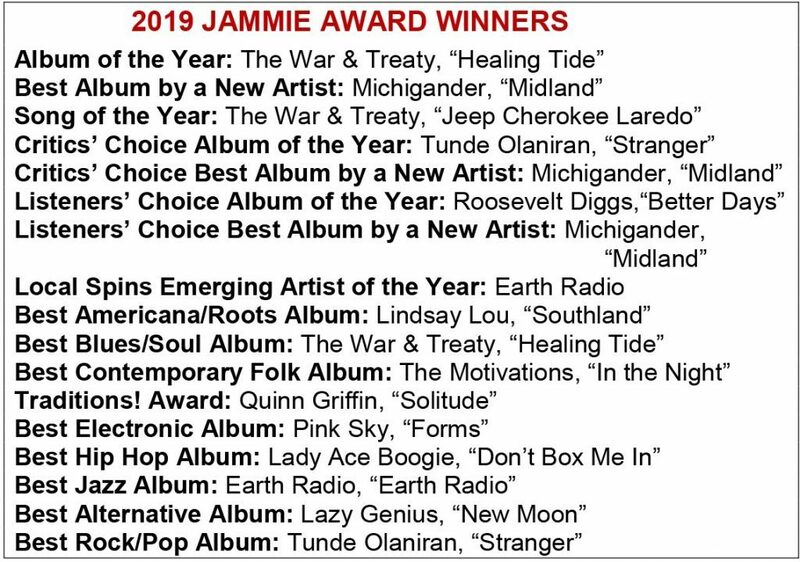 And there was no better band to kick off the Jammies than the winner of the listeners’ choice award for album of the year, Roosevelt Diggs. 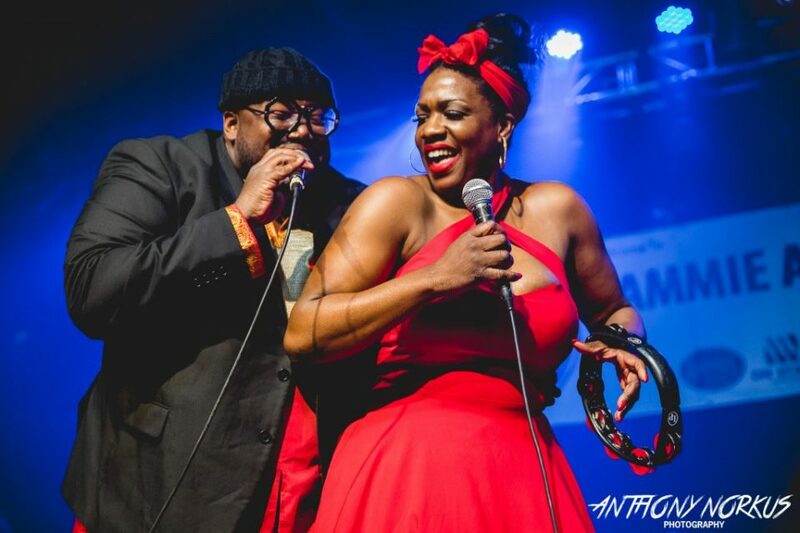 Performing songs from the band’s album, “Better Days”, Roosevelt Diggs set the tone for the night with heart, soul and a whole lot of fun. 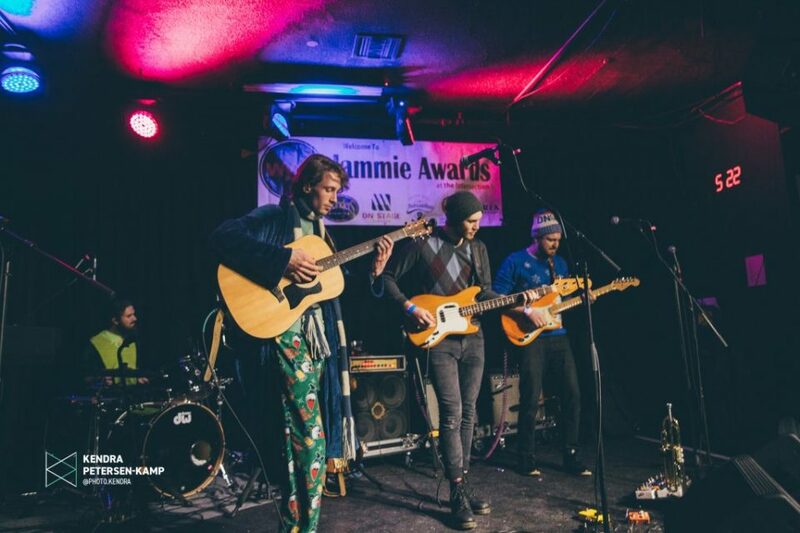 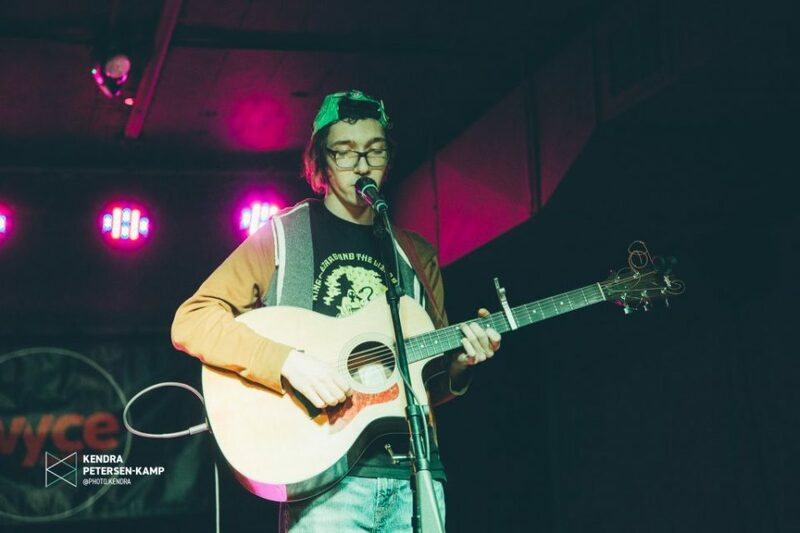 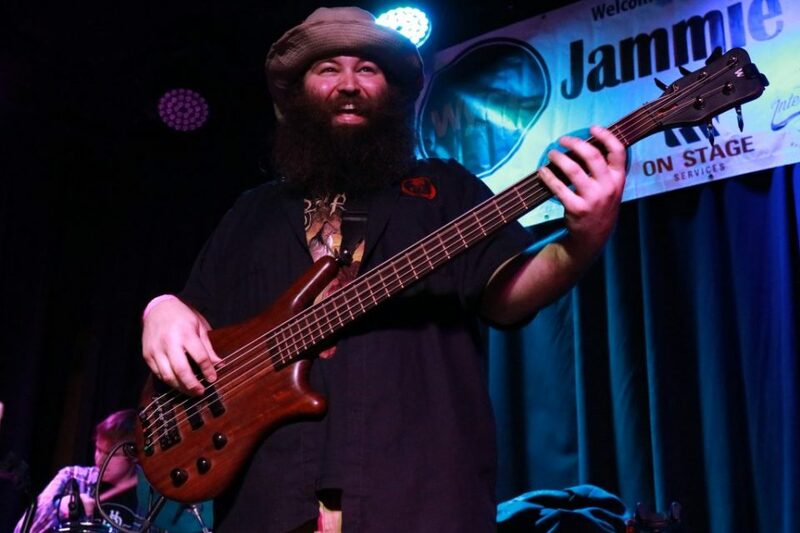 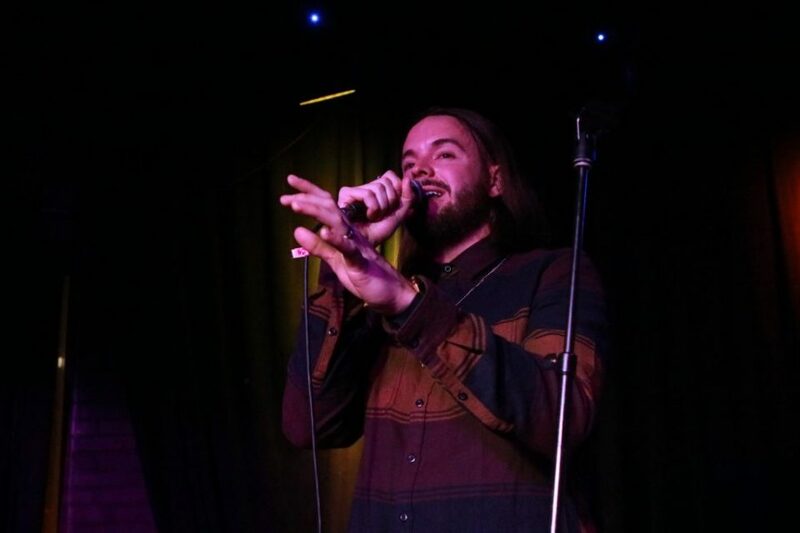 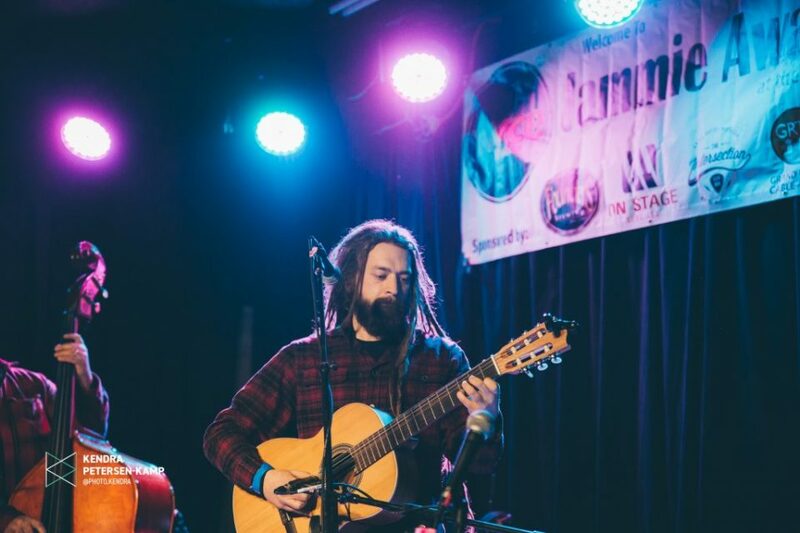 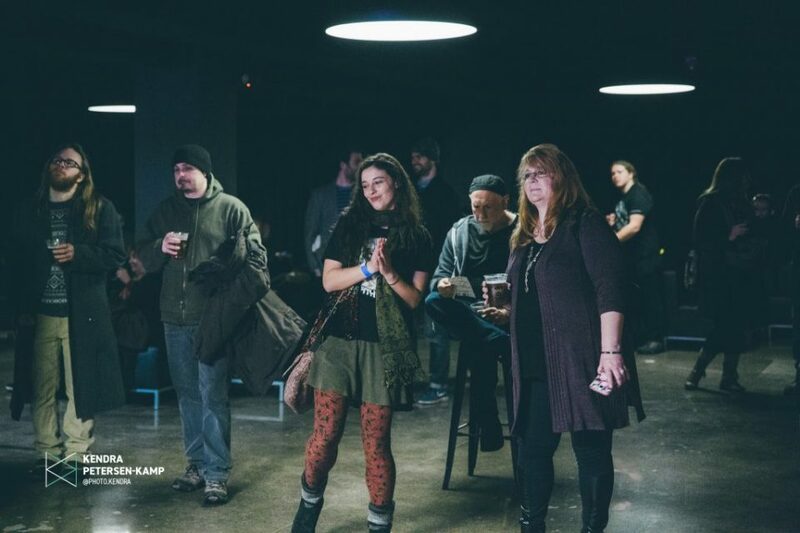 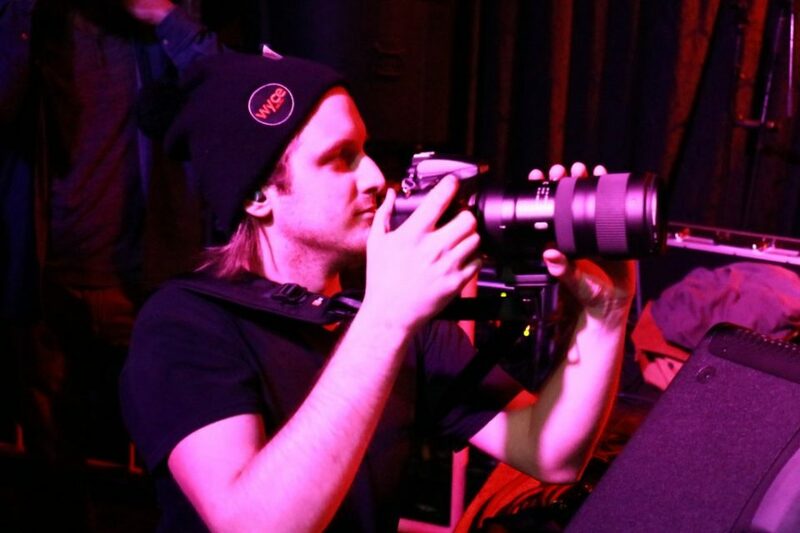 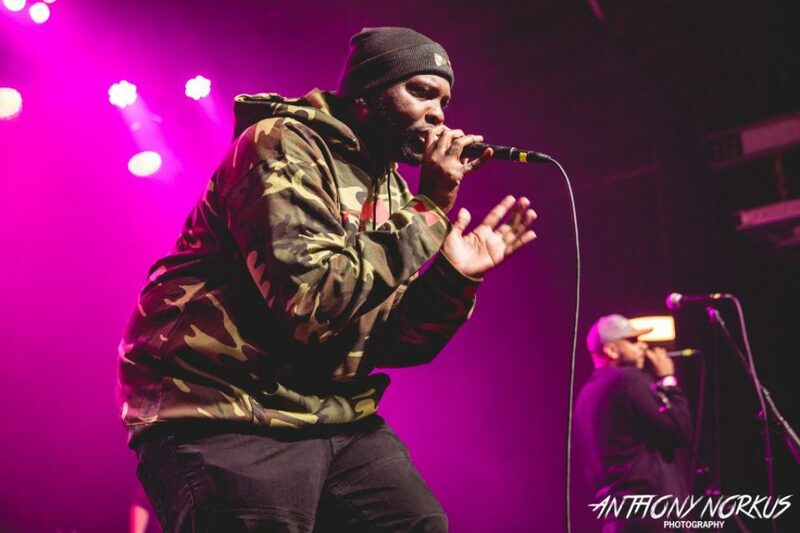 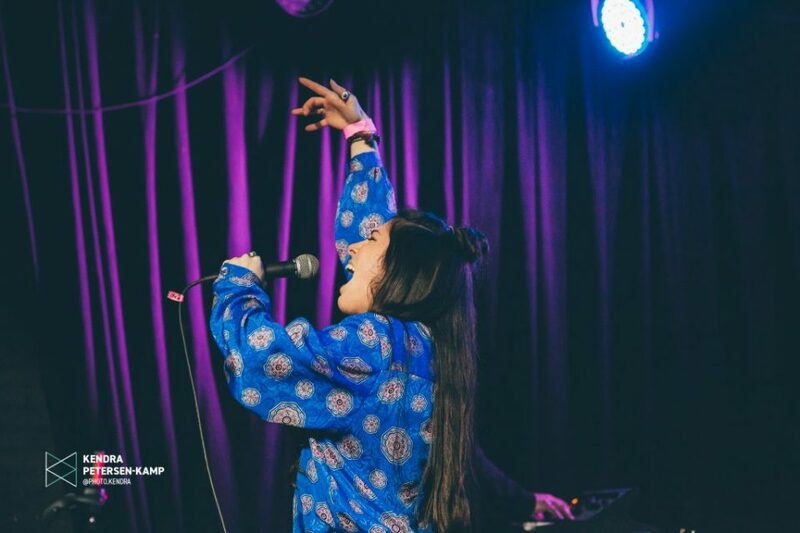 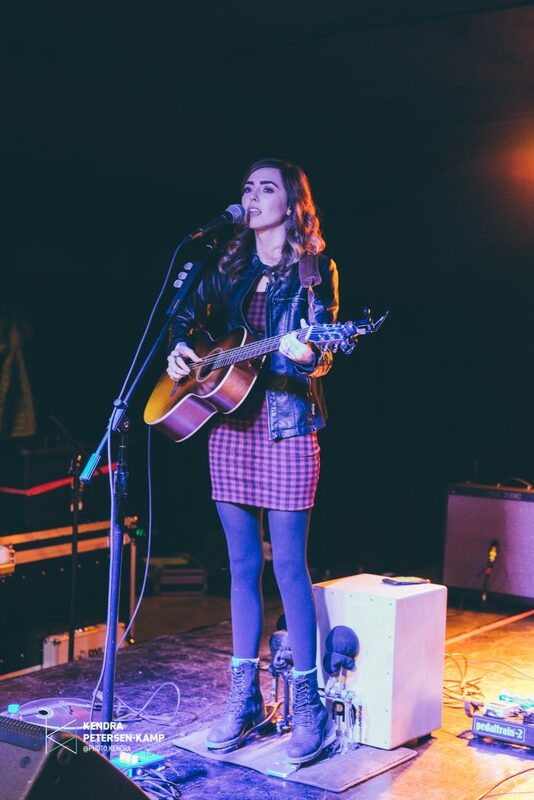 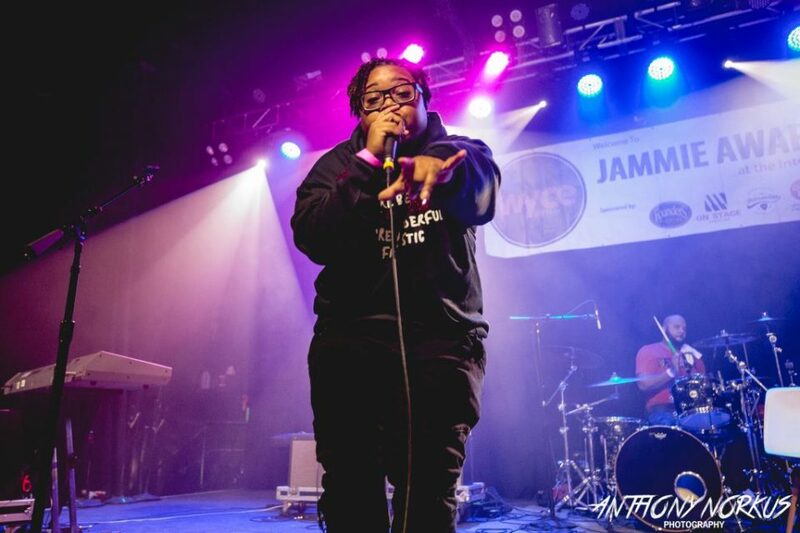 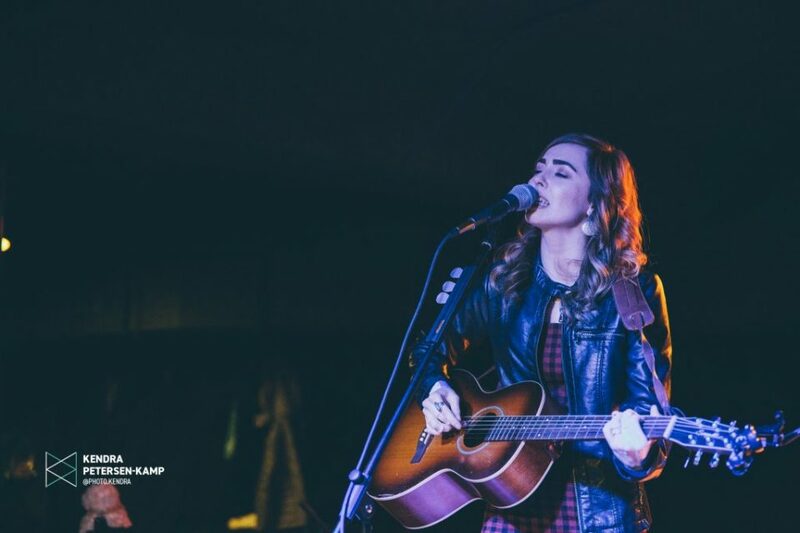 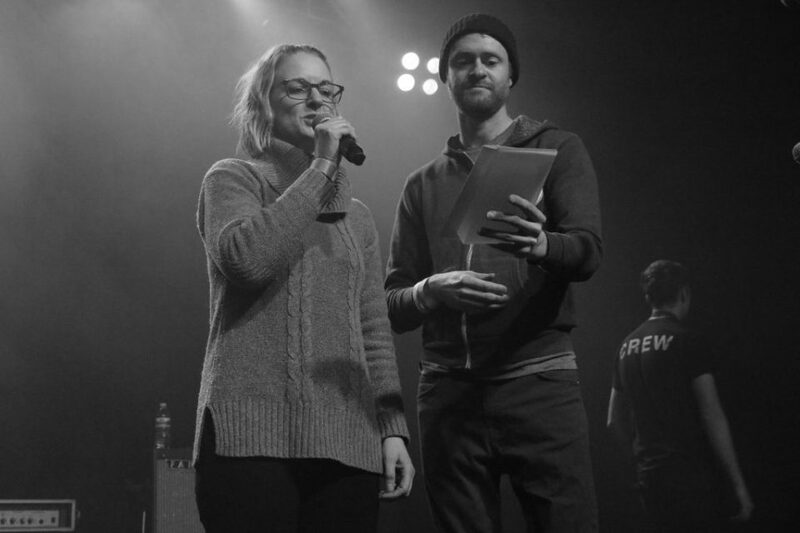 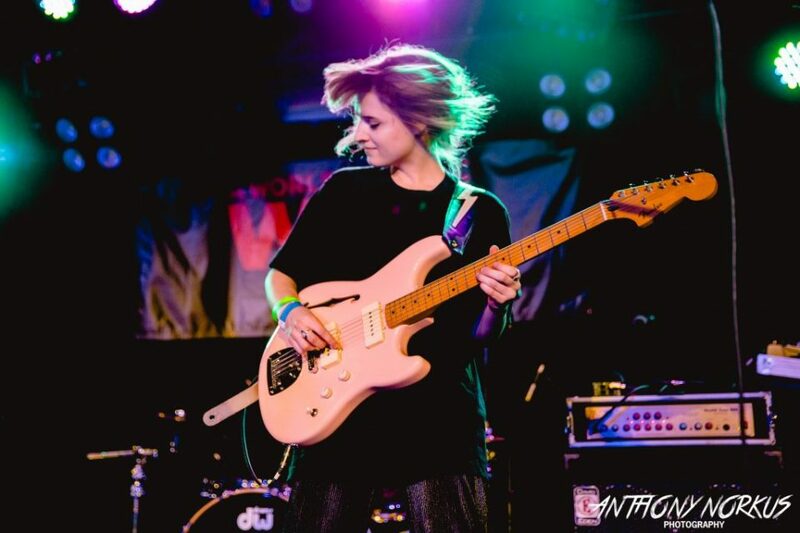 “(The Jammies are) a great chance to see so many people, so many talented people in one place. 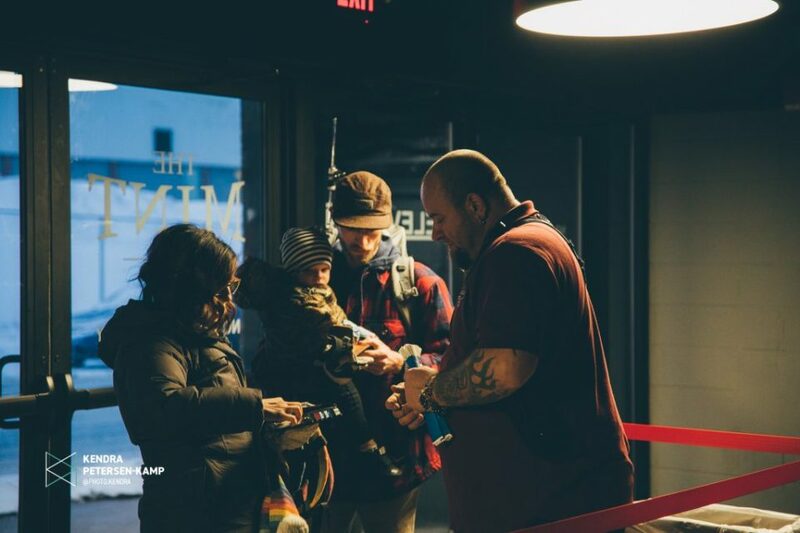 Lots of hugs and laughs,” said Kevin Clancy, who was with his daughter, Amaya, 6, who’s already a lifelong Jammies attendee. That’s what future beat/psych jazz band Heavy Color’s Benjamin Cohen said from the main stage after thanking everybody for joining him at The Intersection. 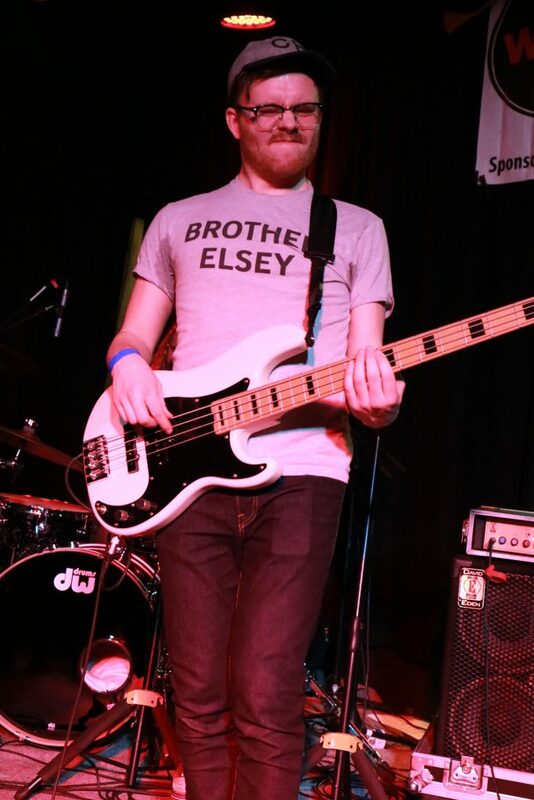 That one word may have been the perfect way to describe the band’s set and the rest of the evening. 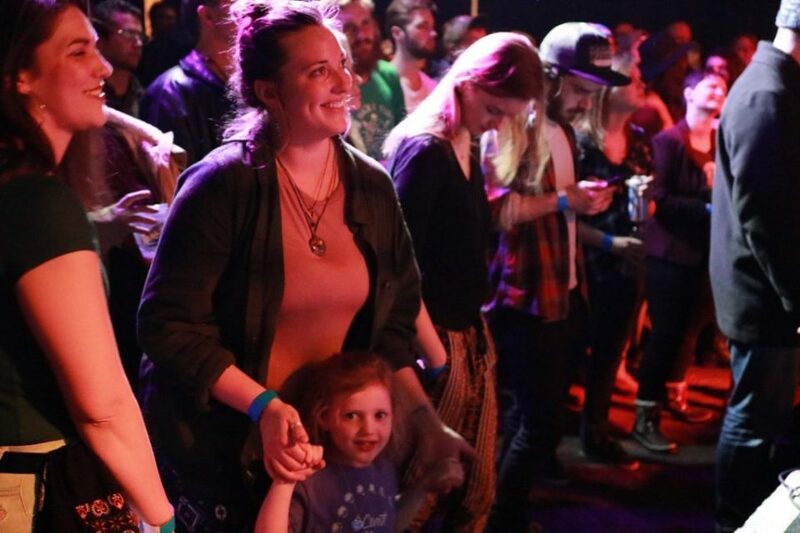 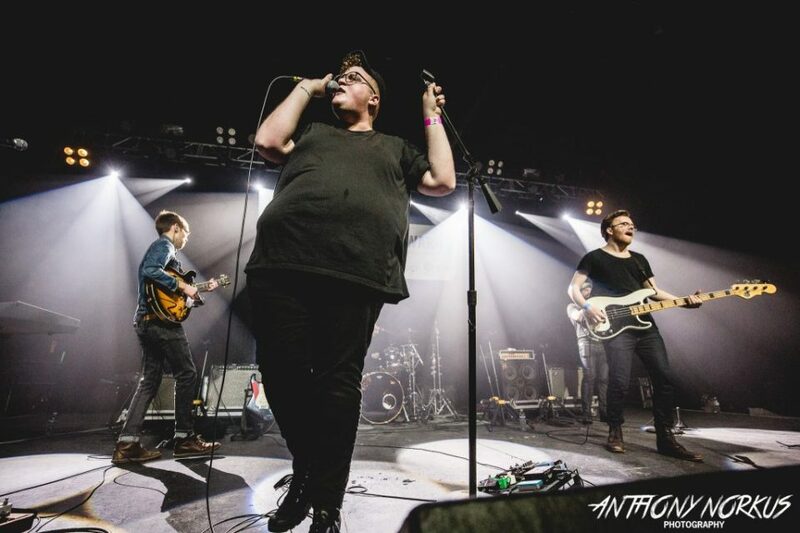 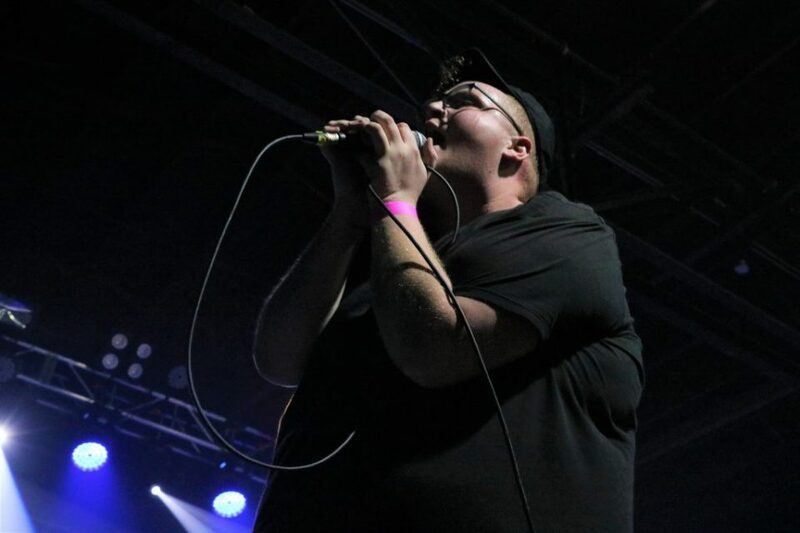 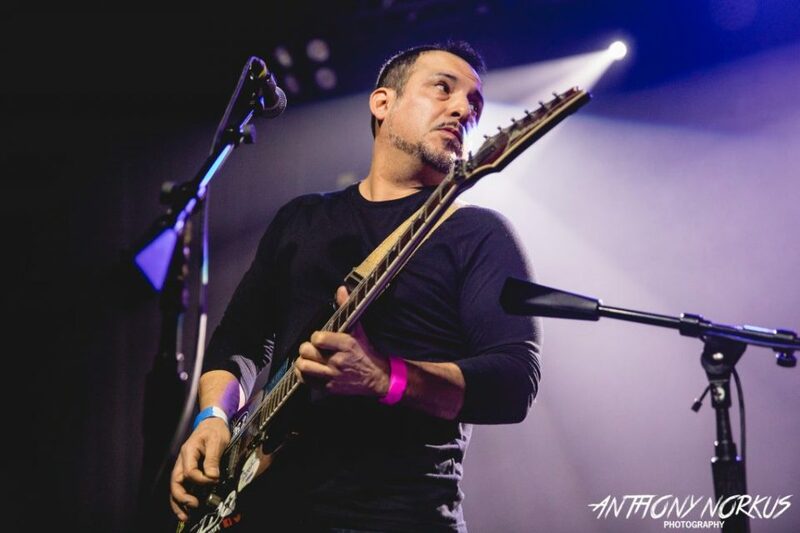 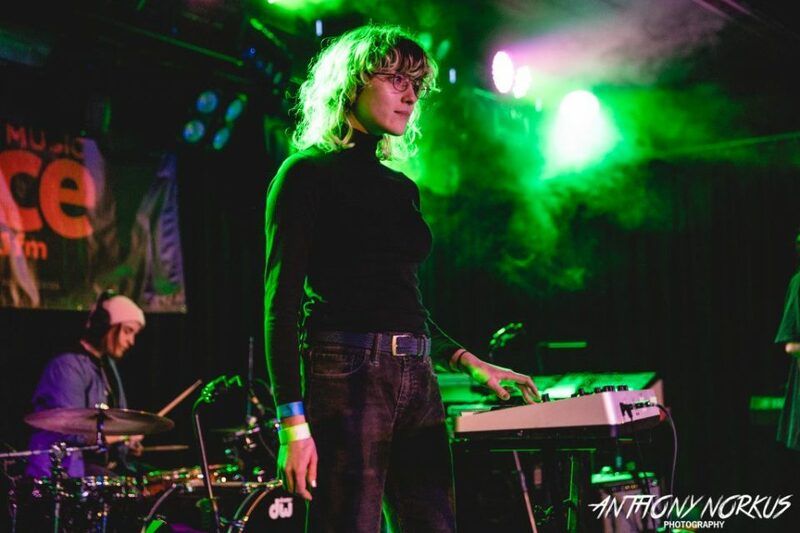 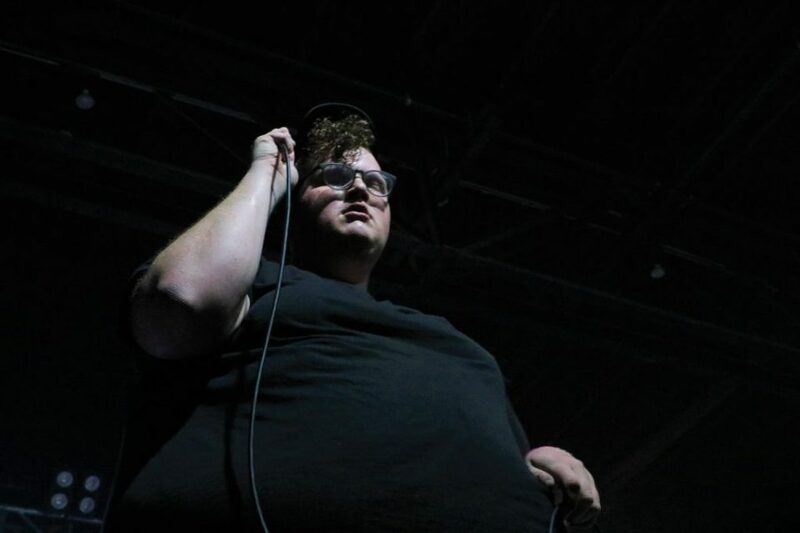 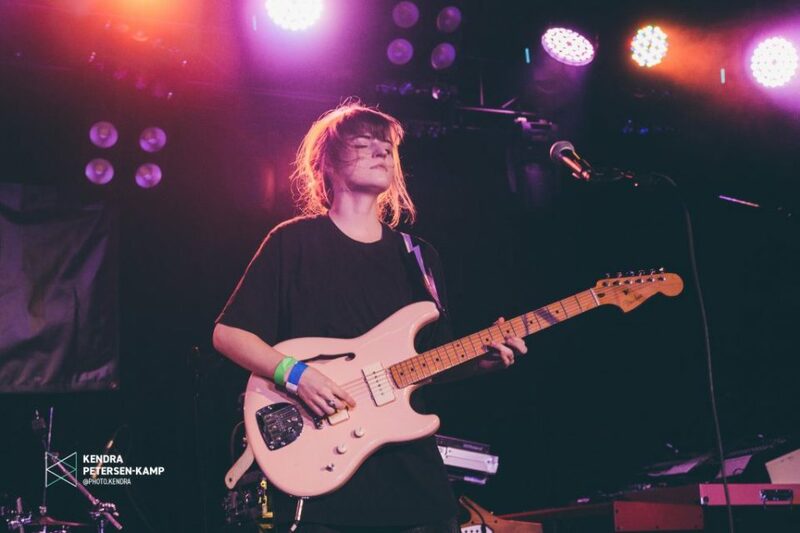 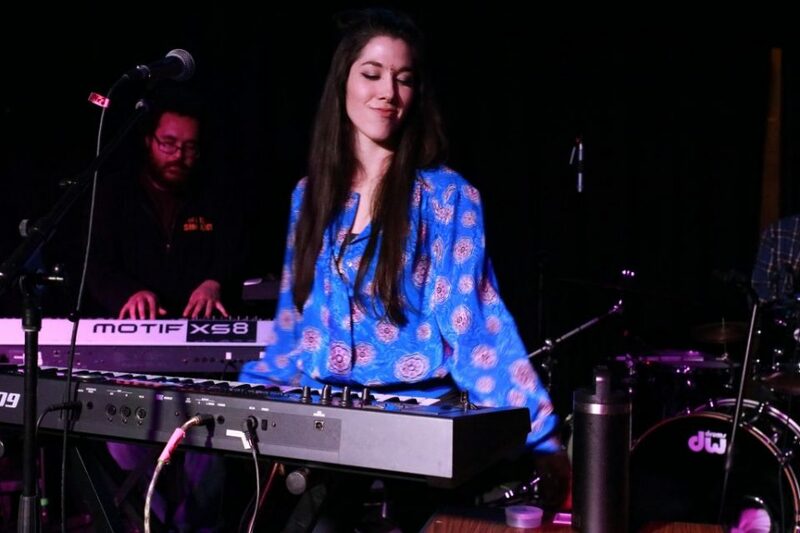 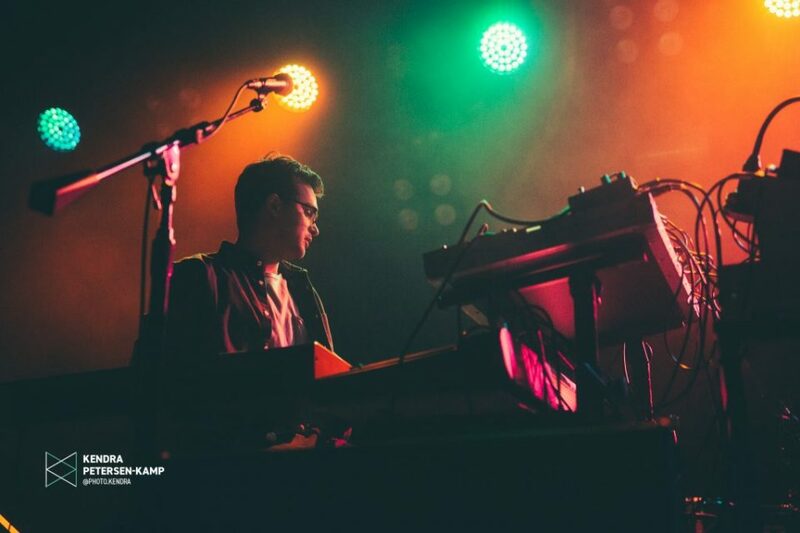 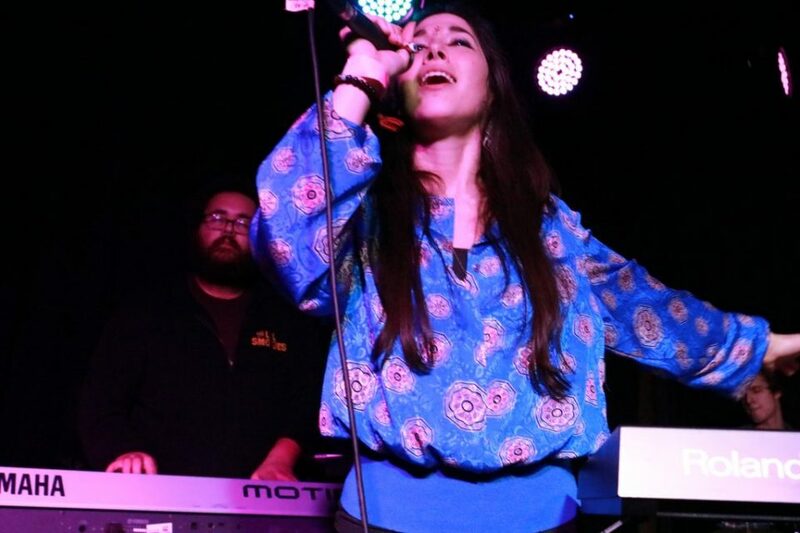 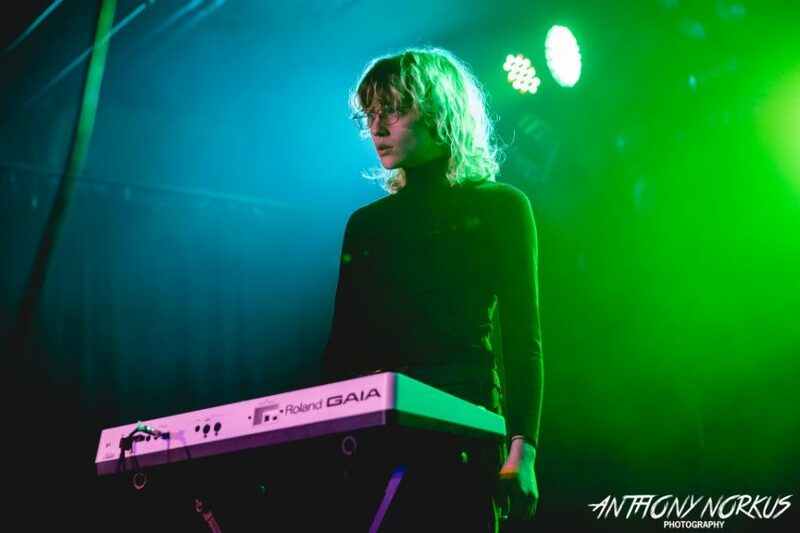 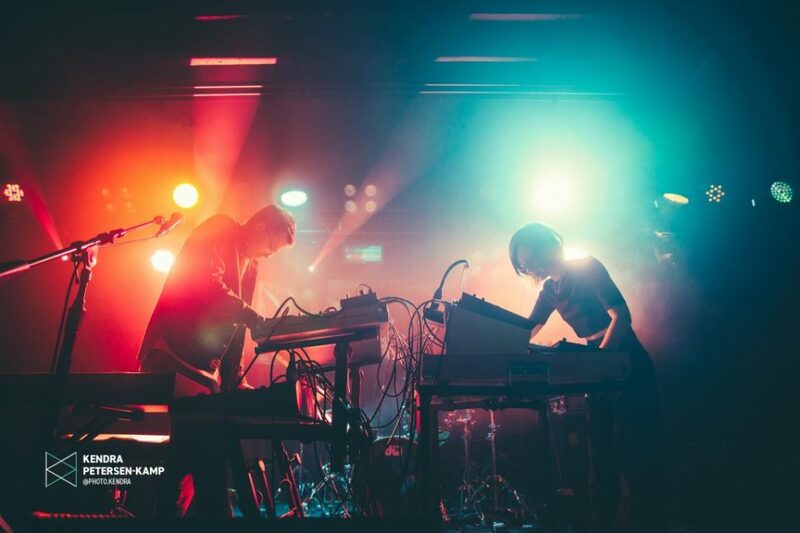 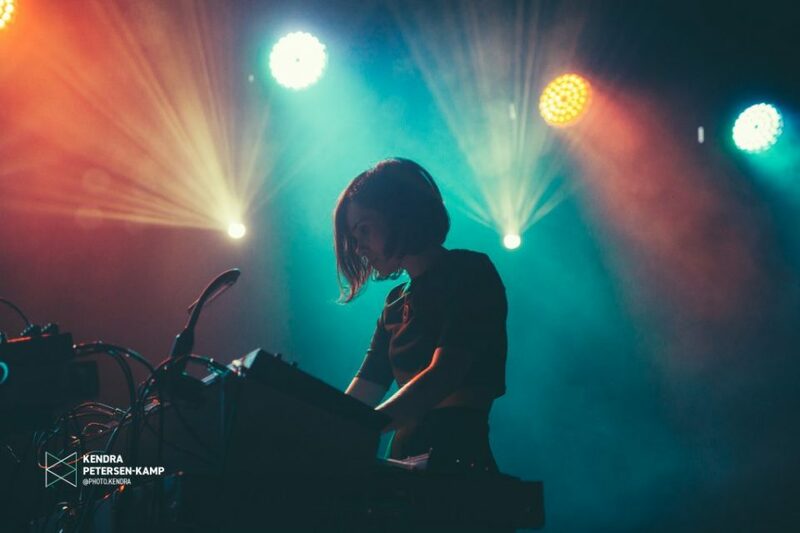 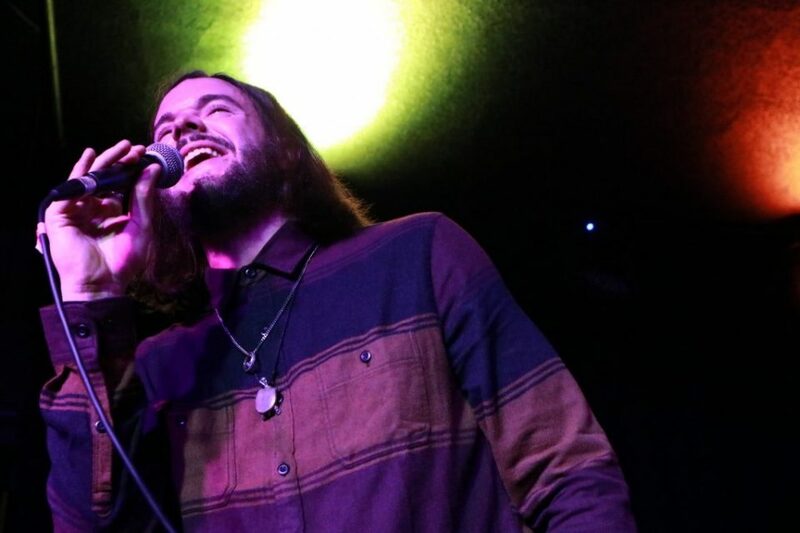 When Heavy Color began playing “Hidden Kingdom” from their 2018 album “River Passage,” the crowd erupted in waves of swaying trance-like dancing. 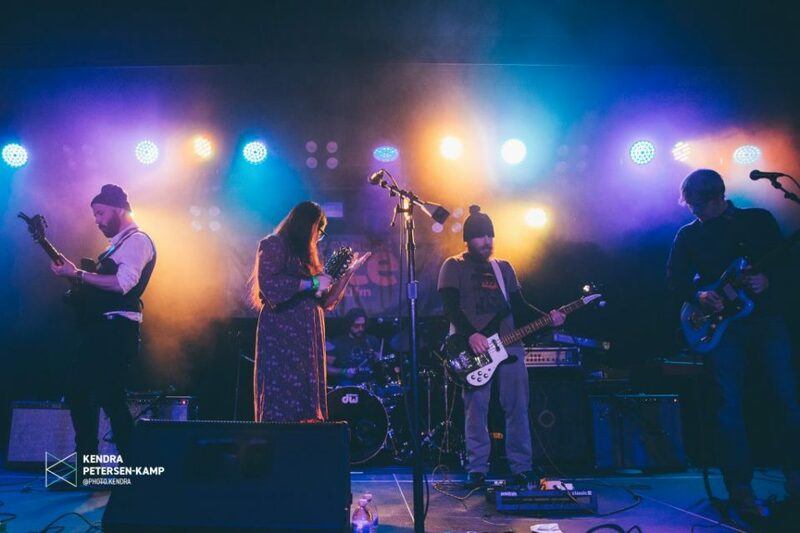 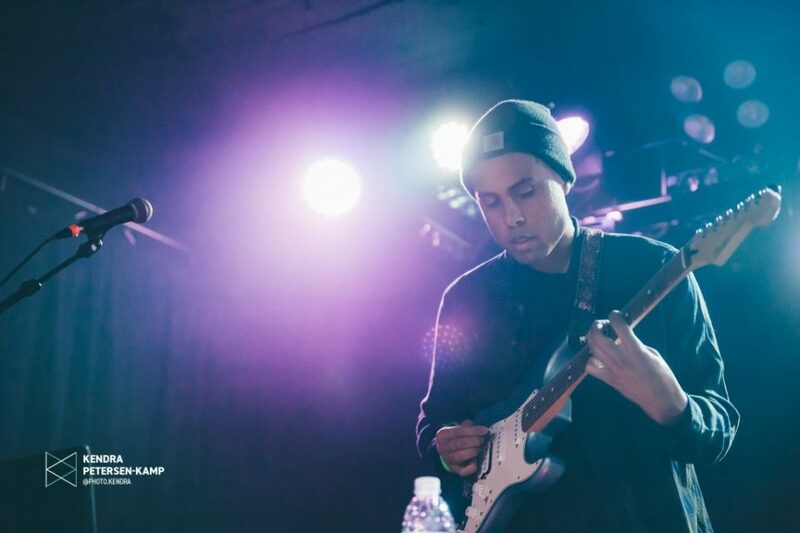 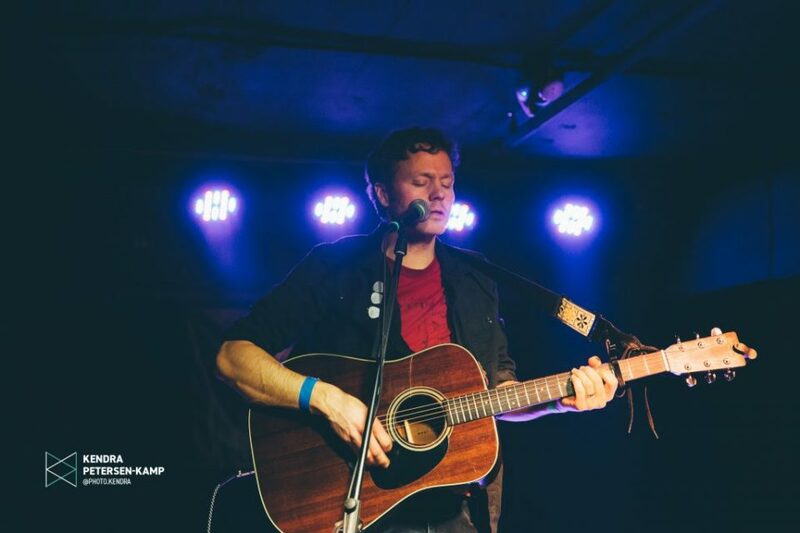 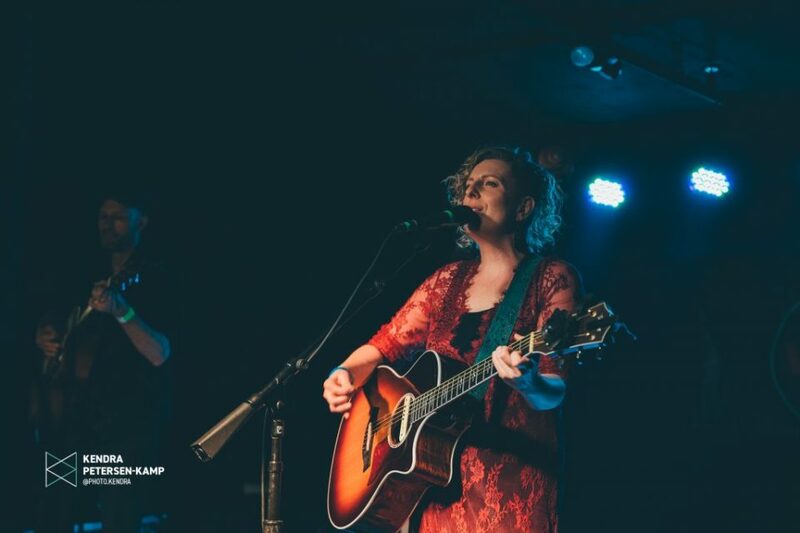 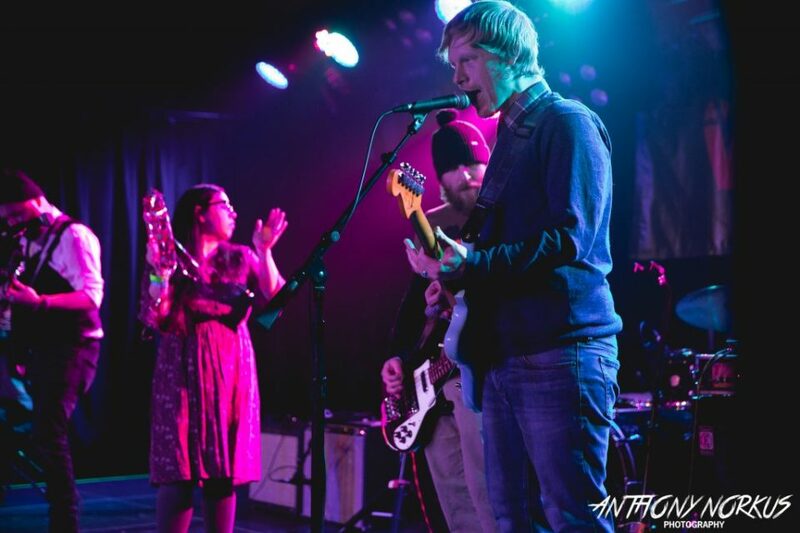 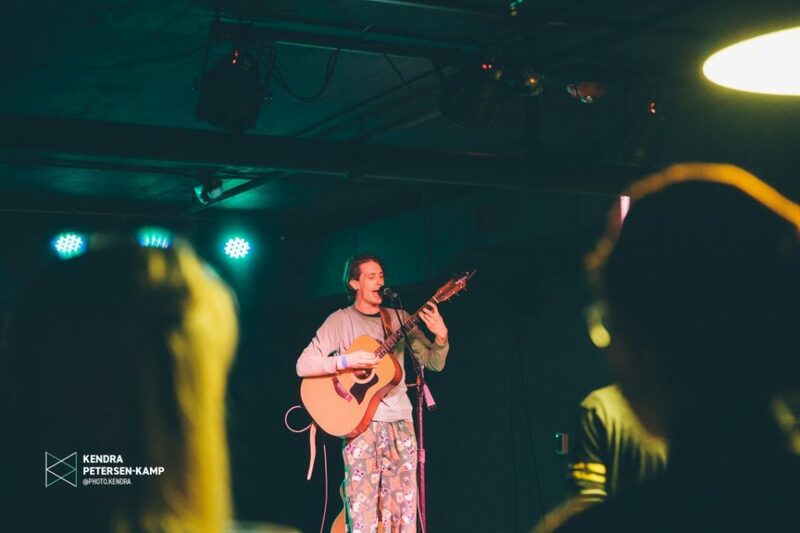 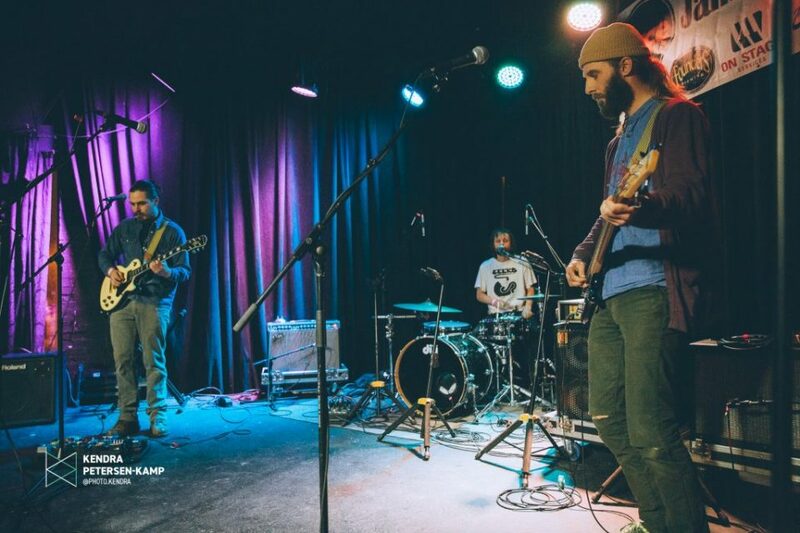 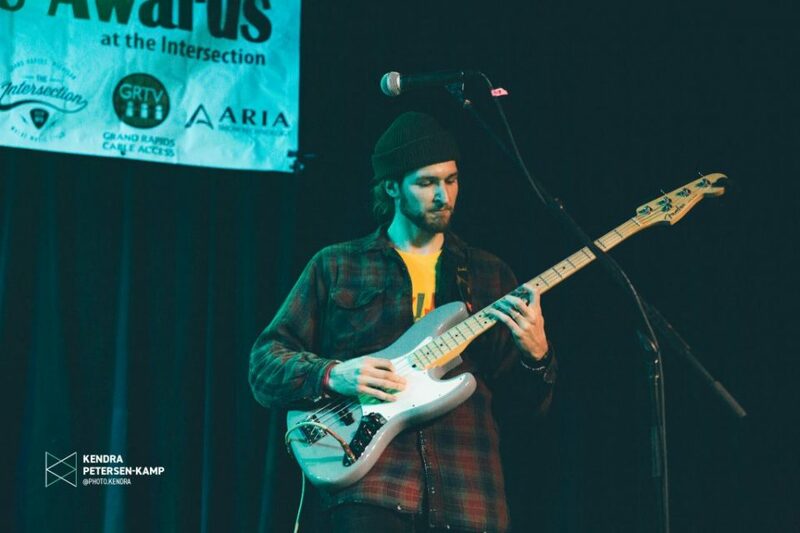 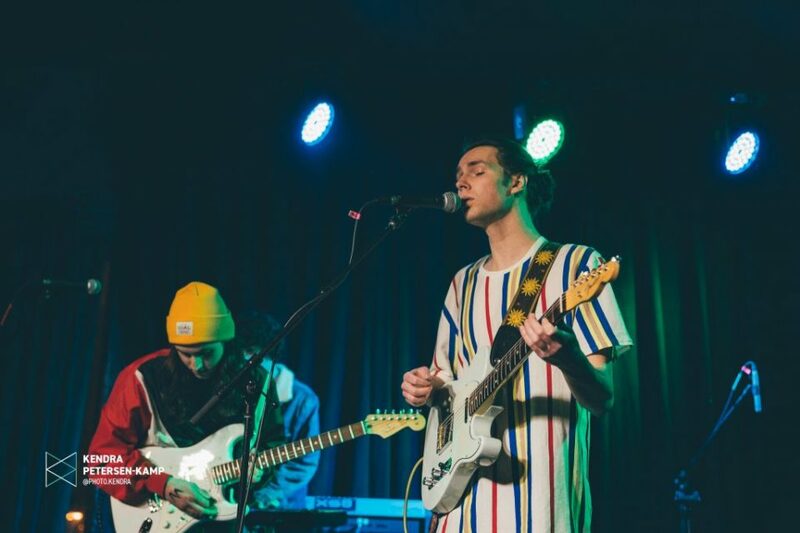 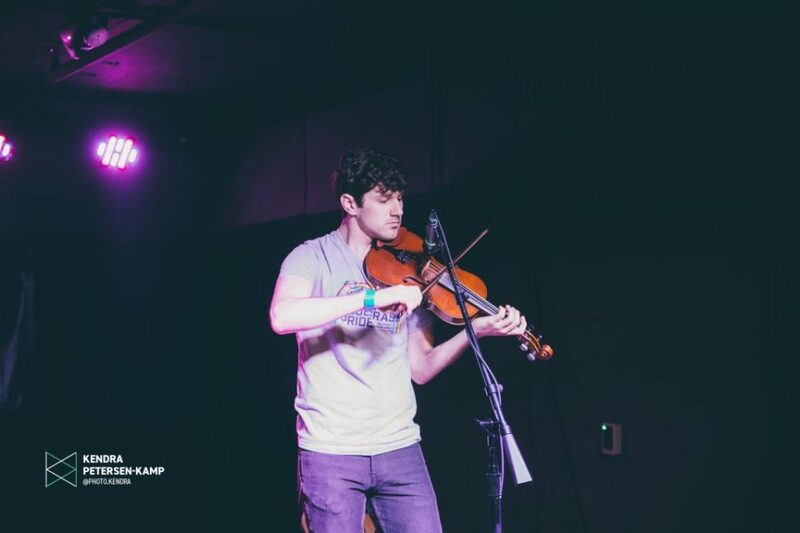 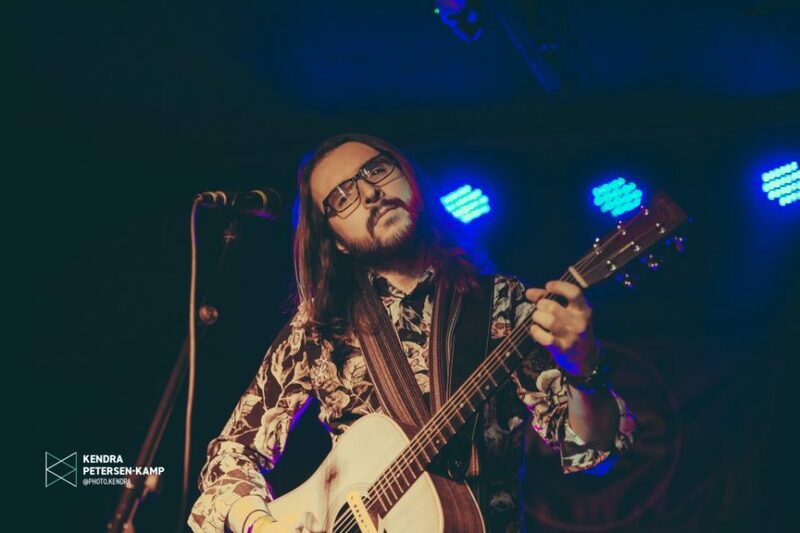 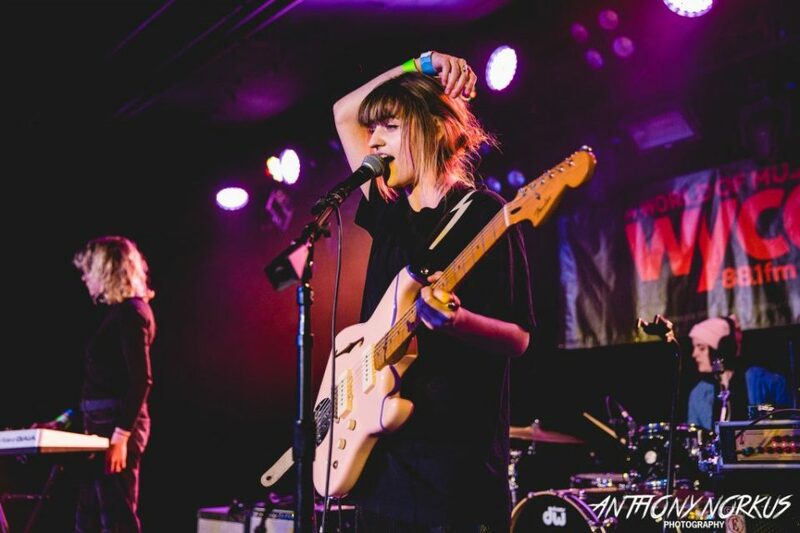 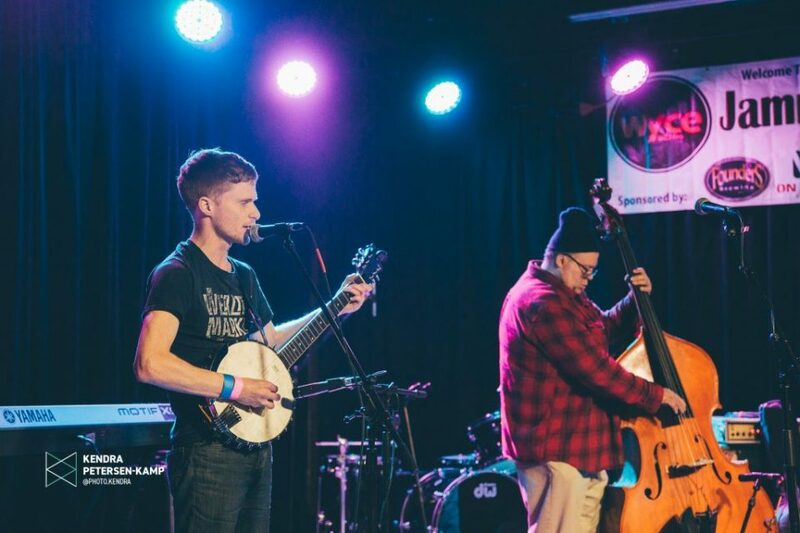 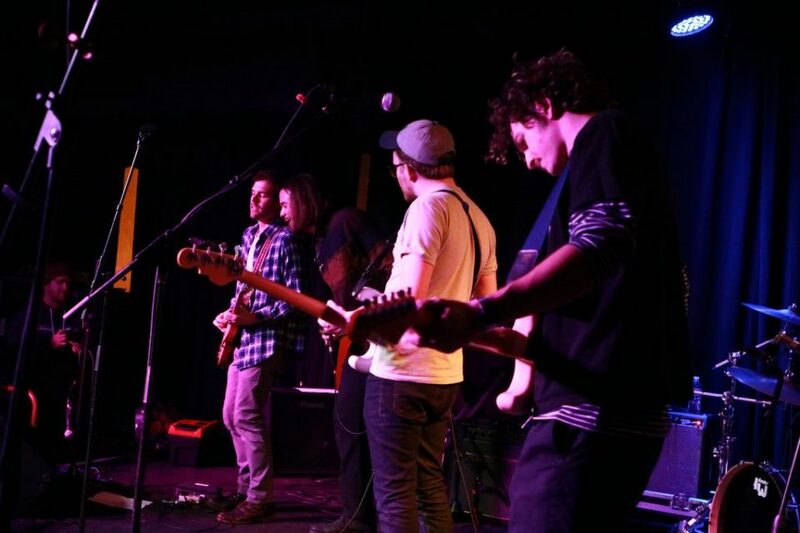 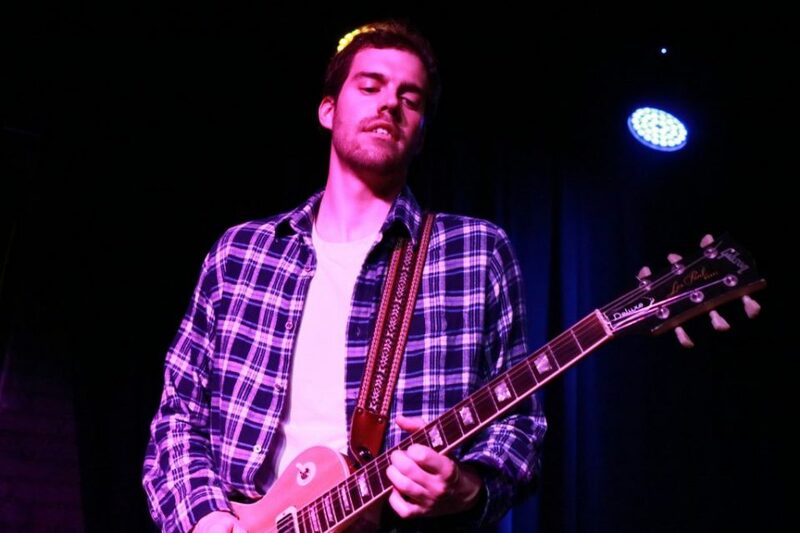 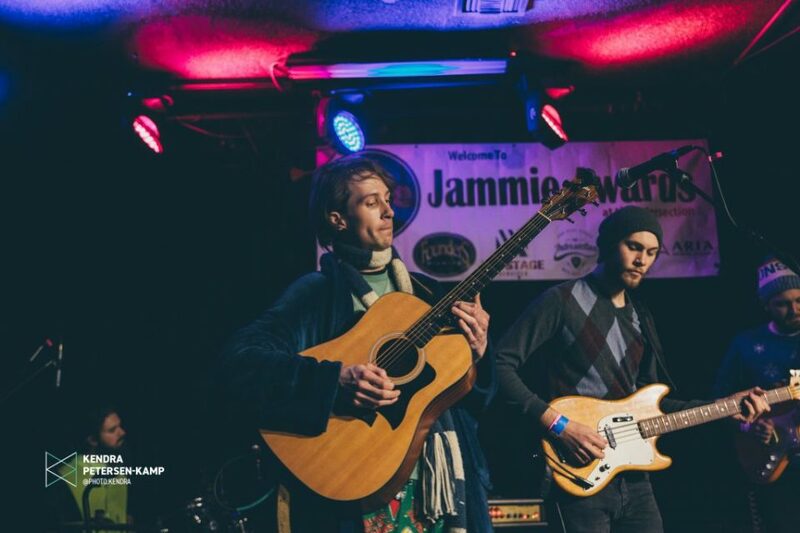 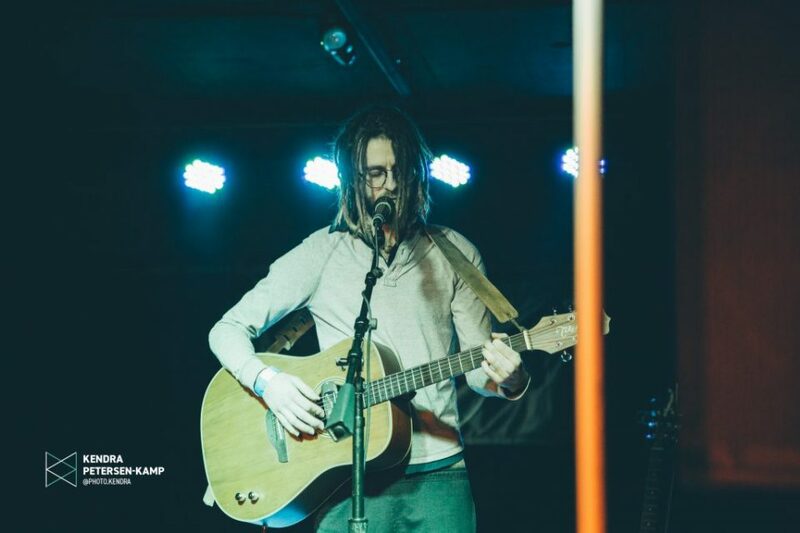 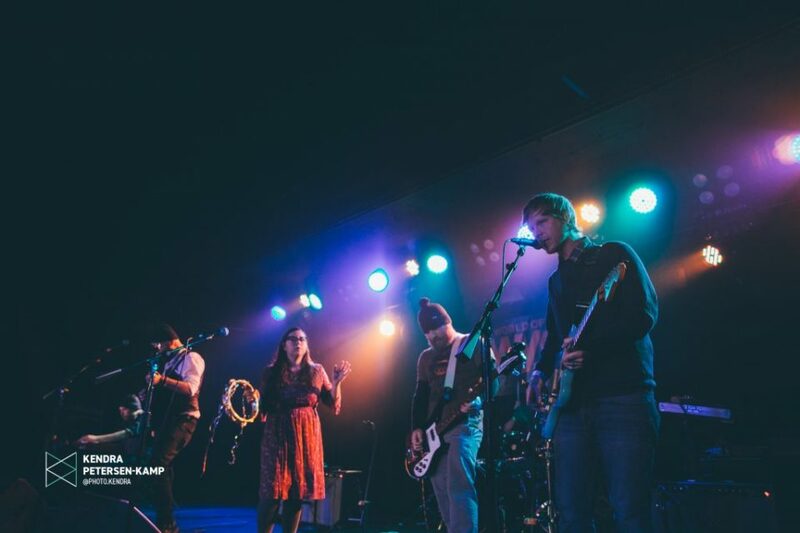 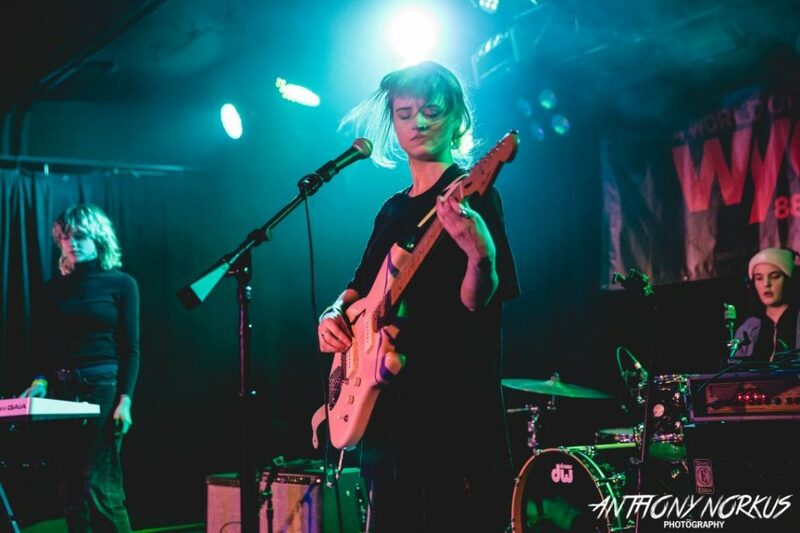 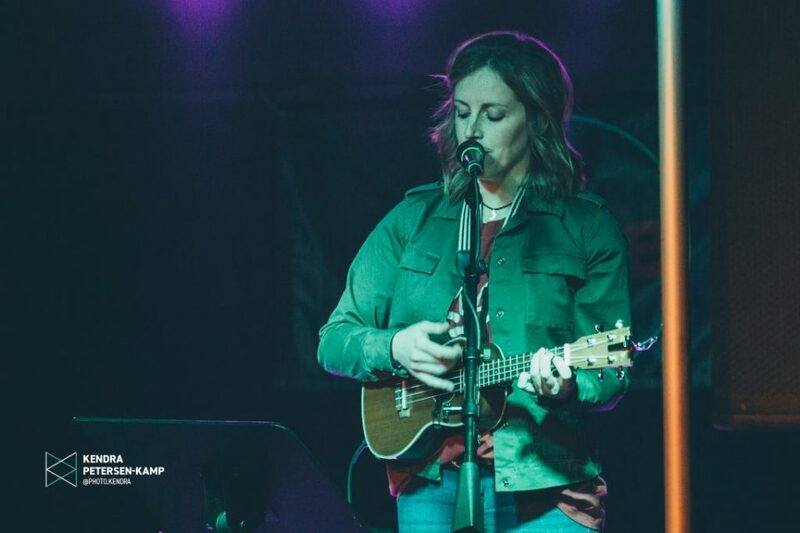 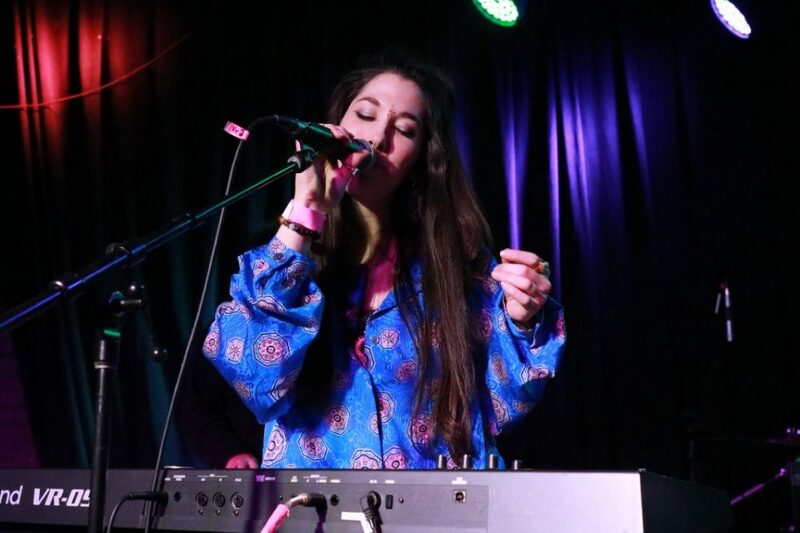 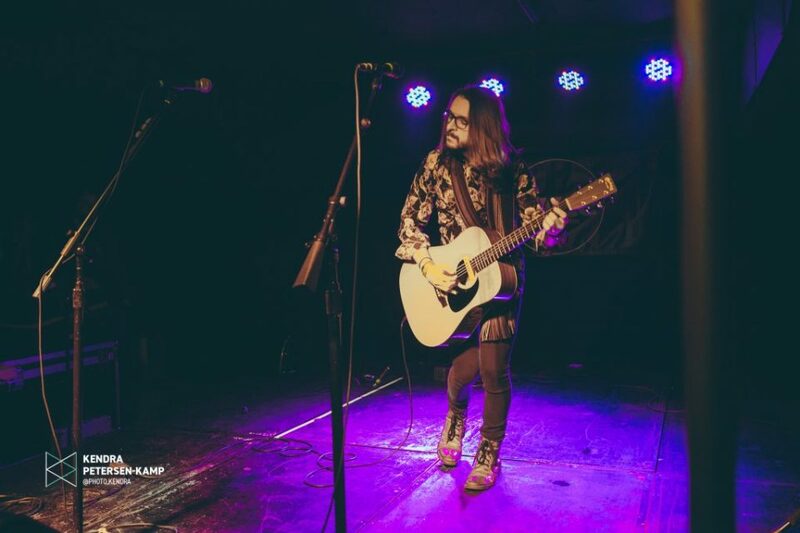 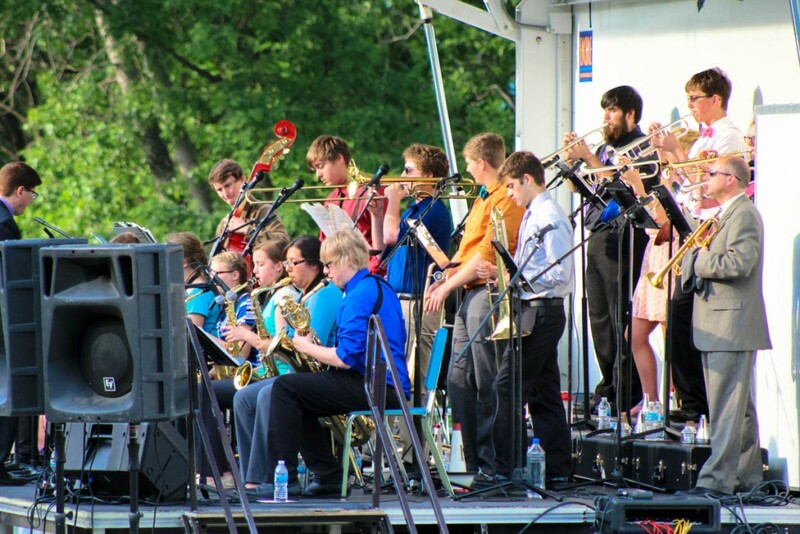 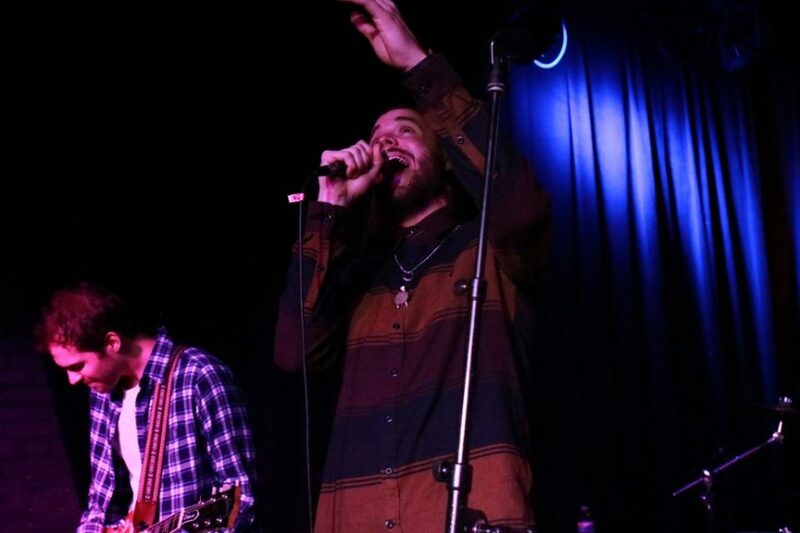 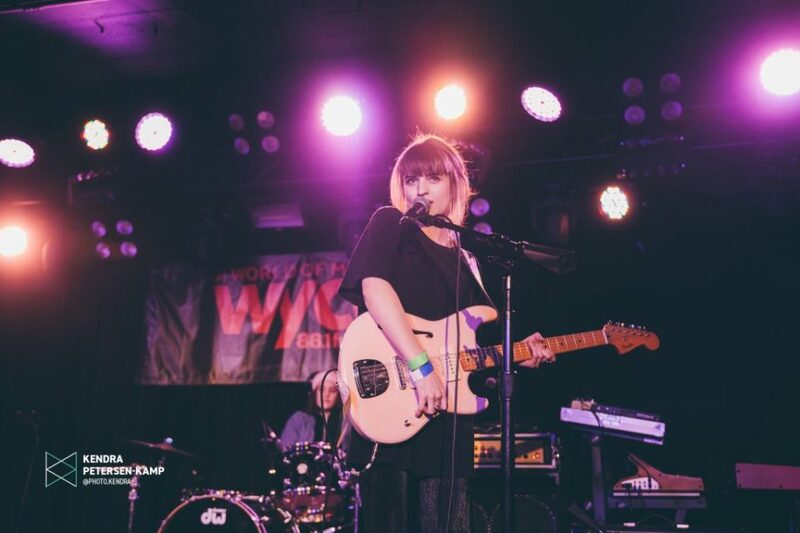 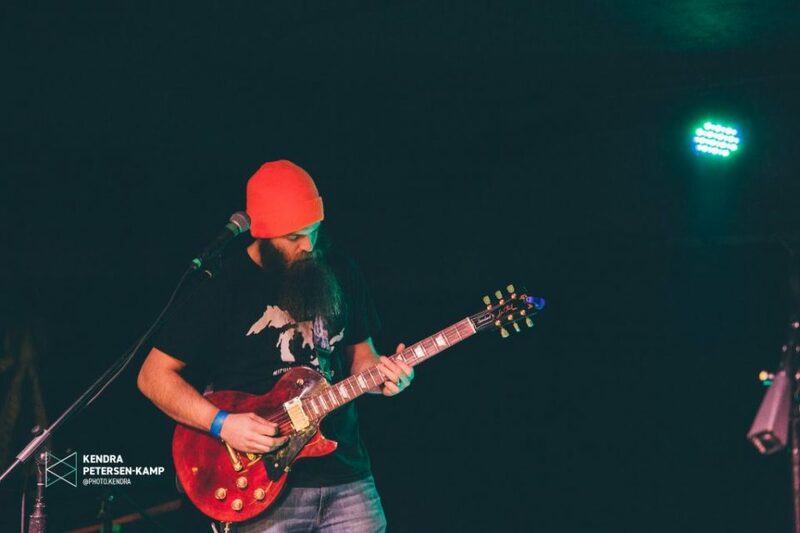 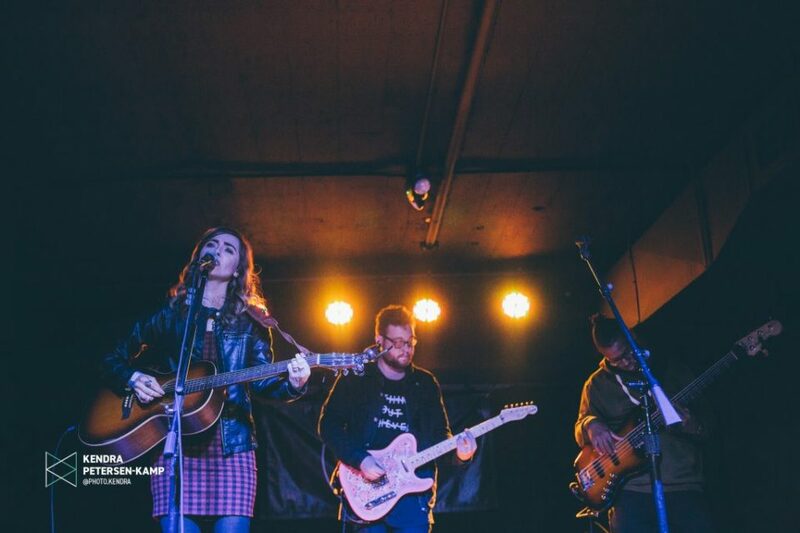 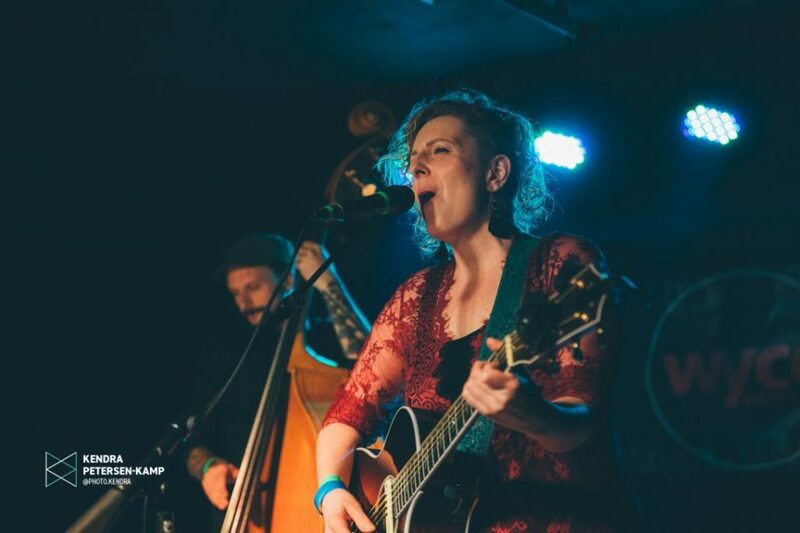 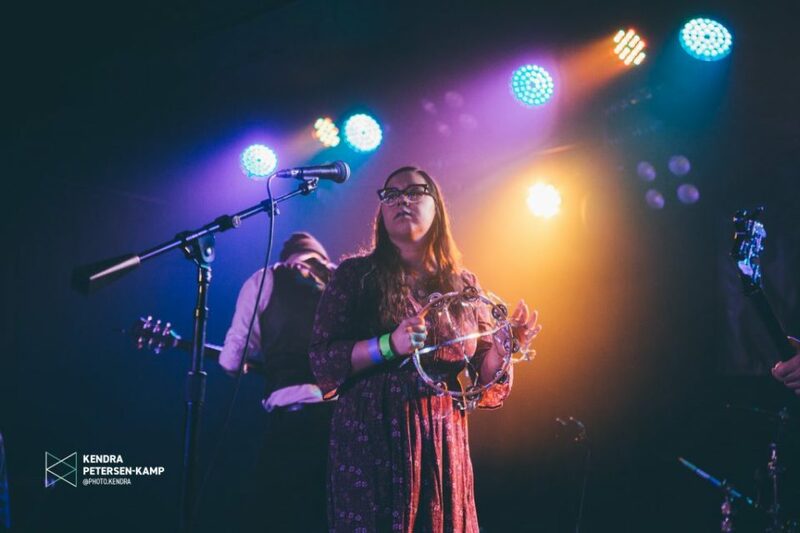 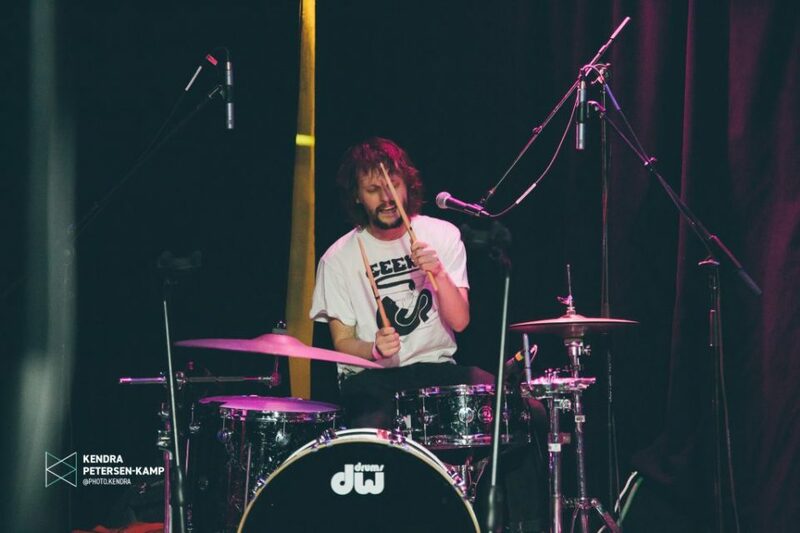 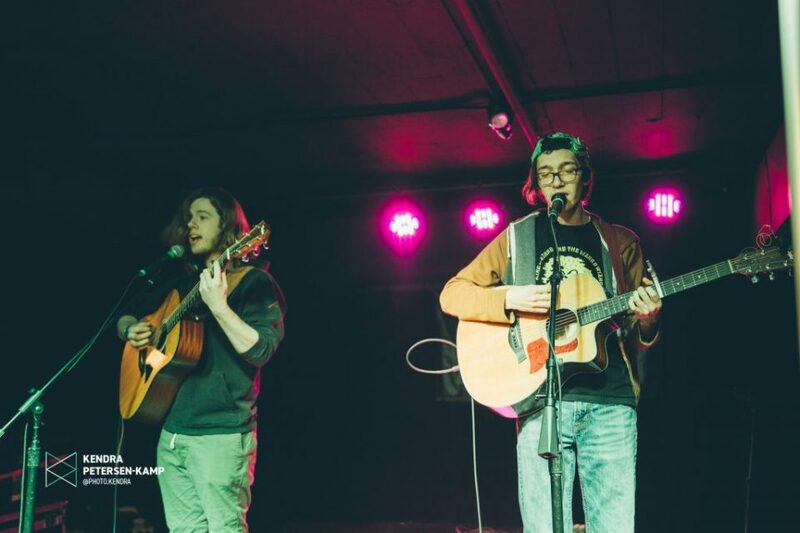 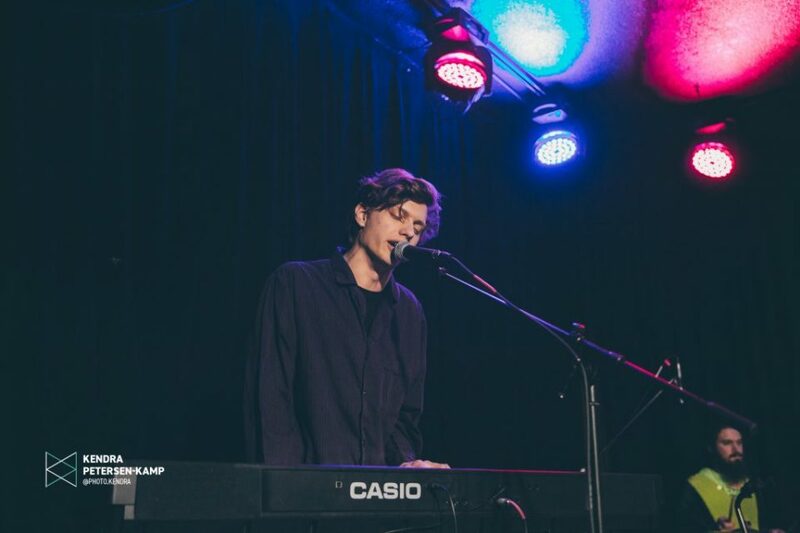 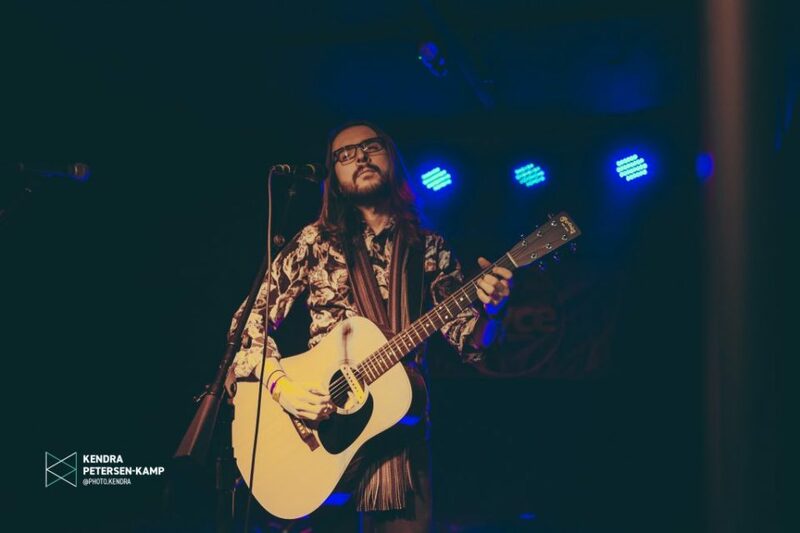 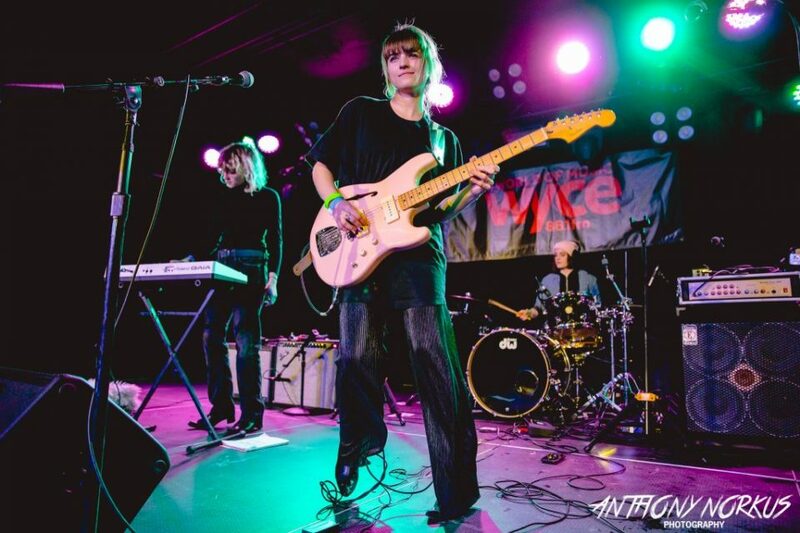 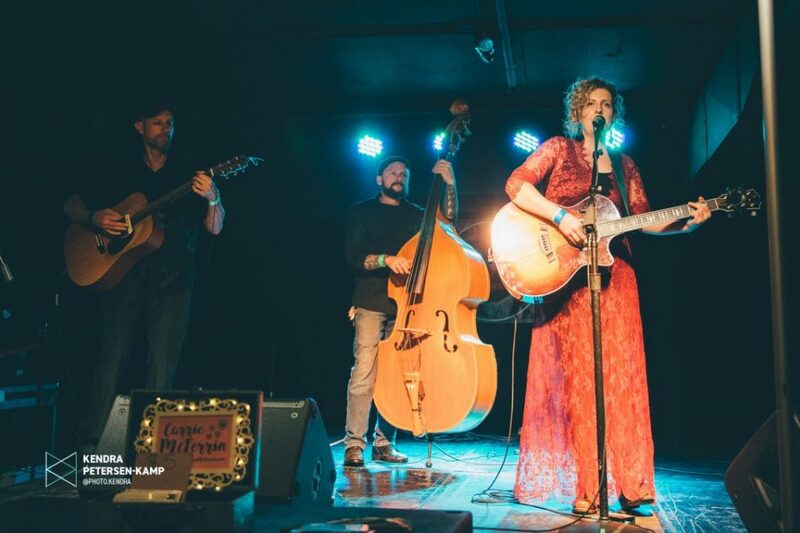 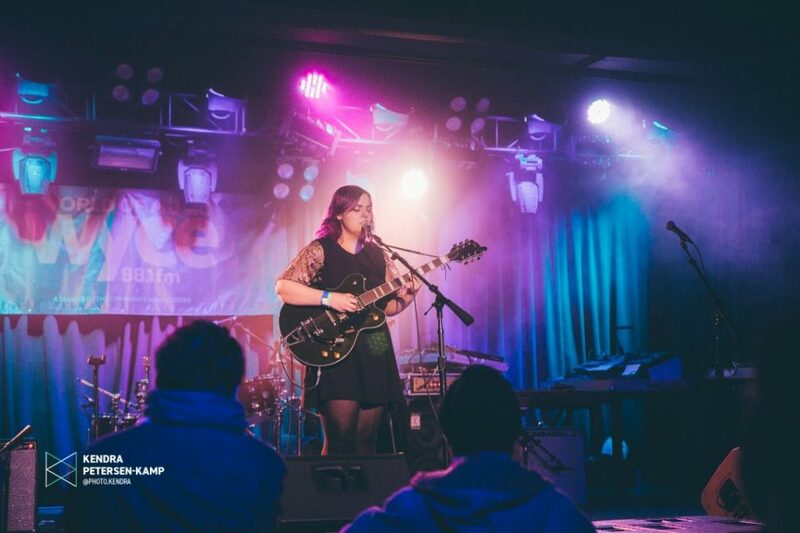 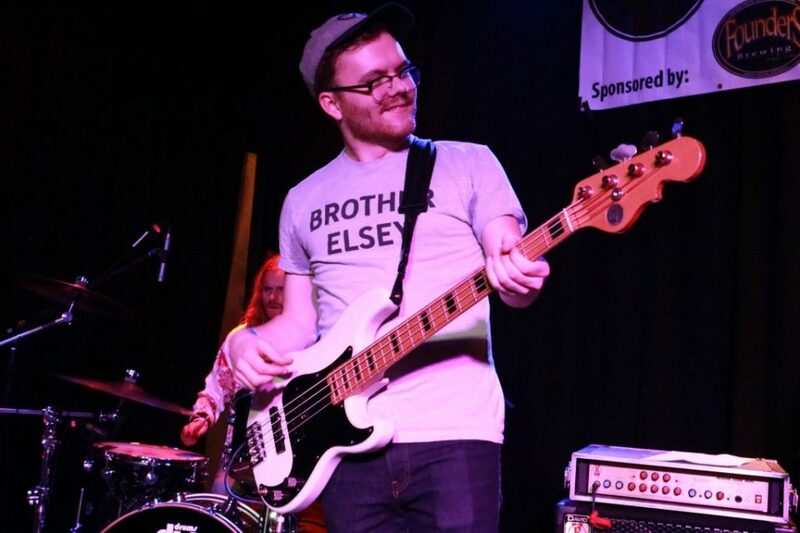 The Skinny Limbs, first-time performers at the Jammies, were grateful to be apart of the fun at the celebration of local music in Grand Rapids. 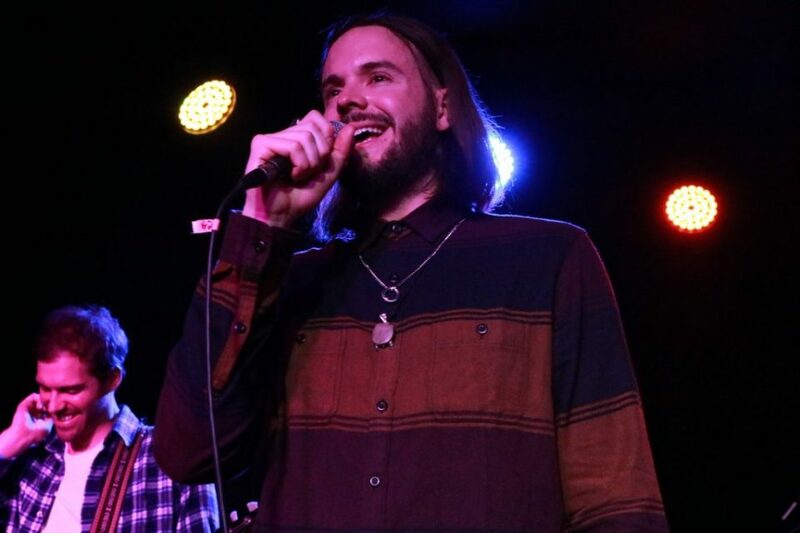 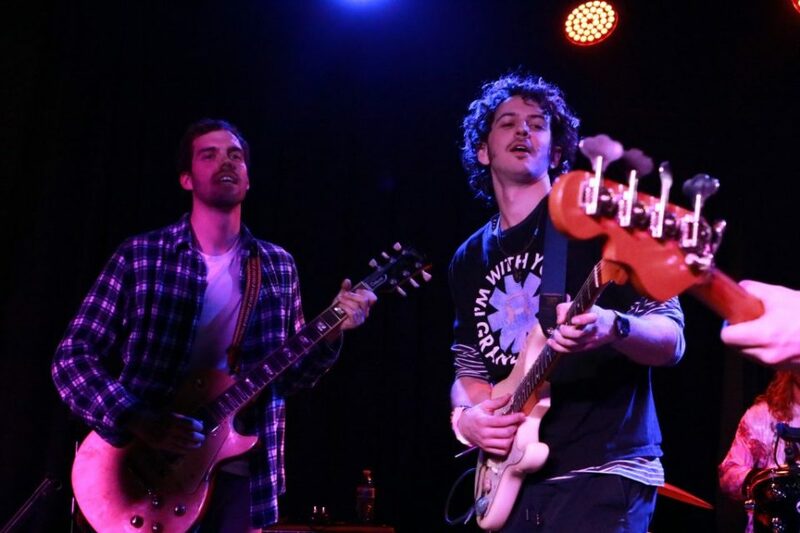 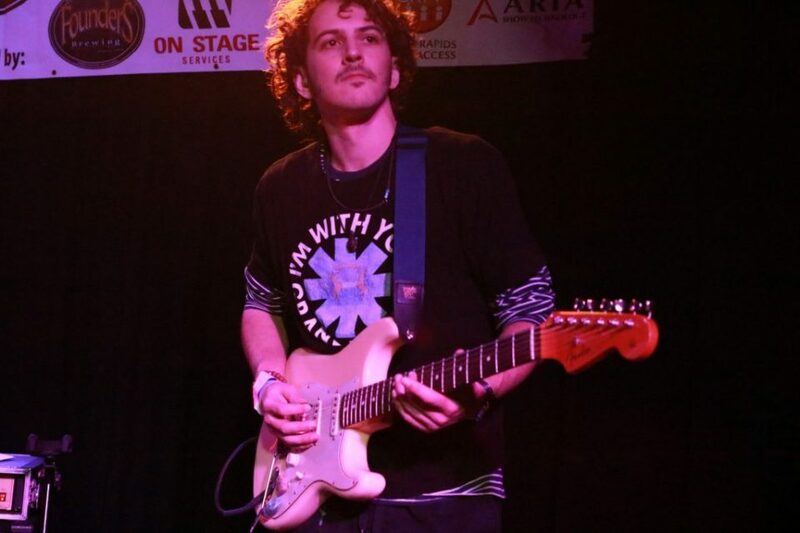 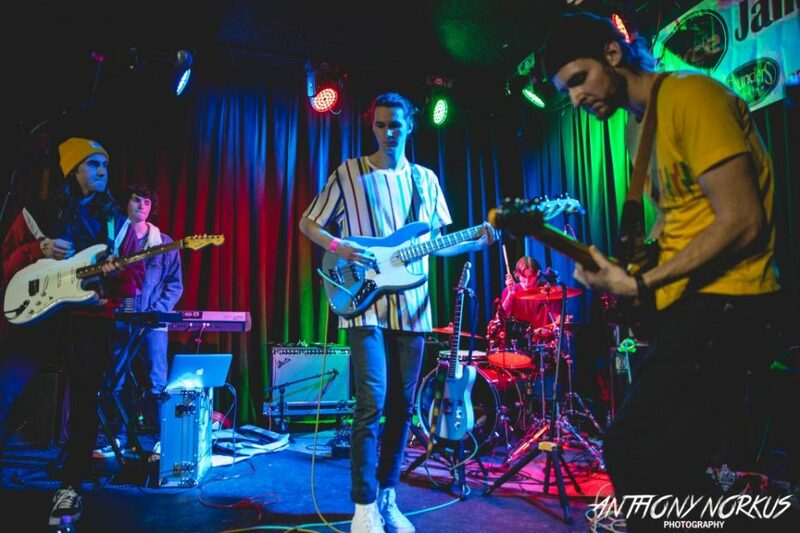 The band, which unfurls beach-inspired indie-rock, played two new singles “Colorway” and “Put You First” along with other singles released in the last two years. 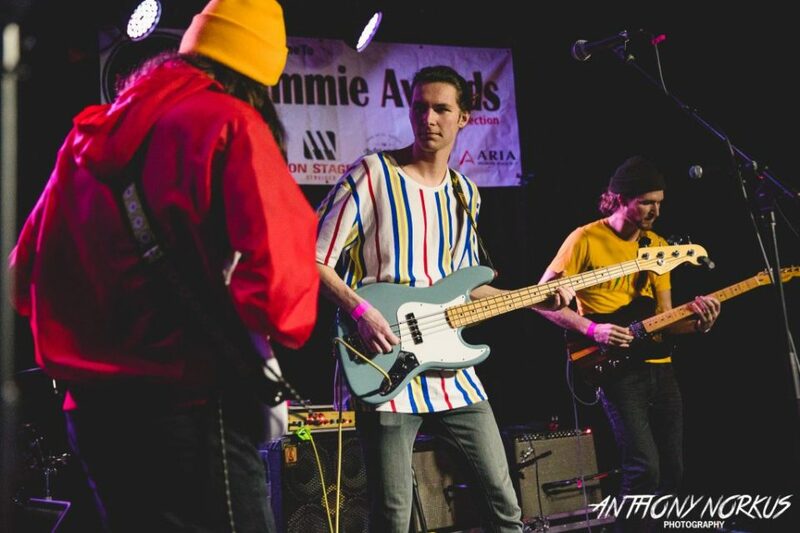 The band is in the process of recording an album that will be released sometime in summer 2019.